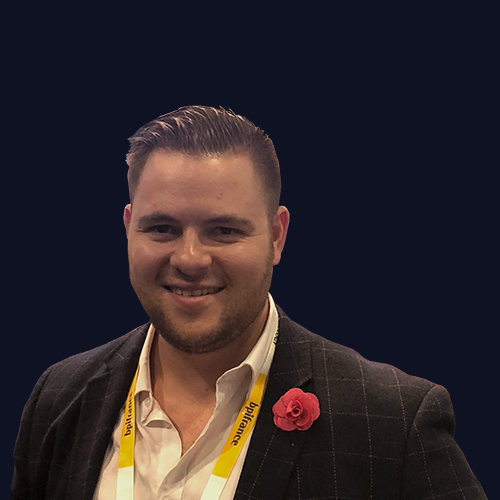 impact on their industry and community. 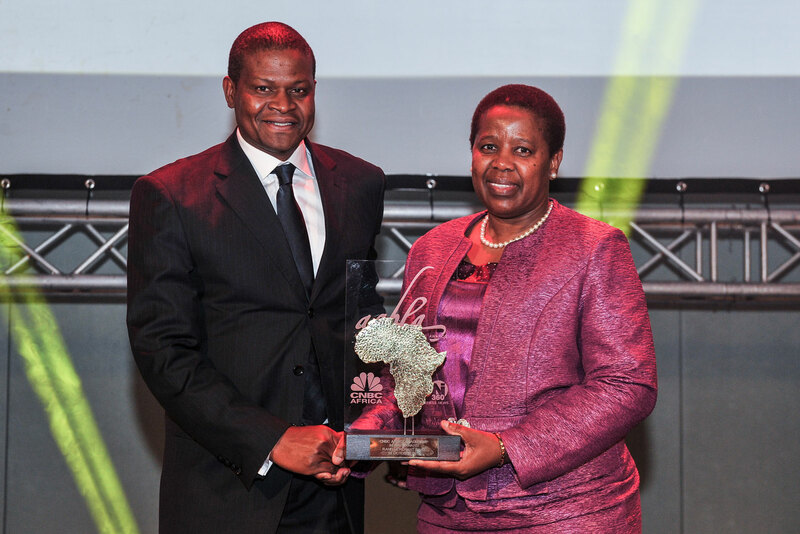 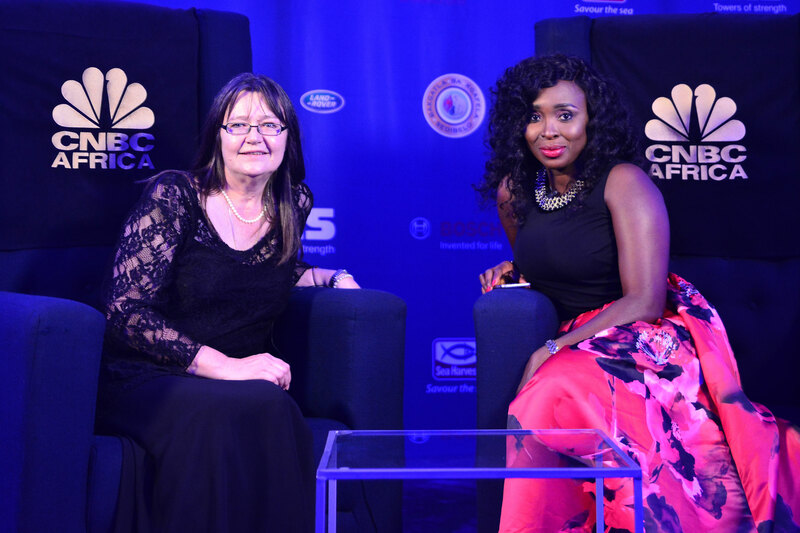 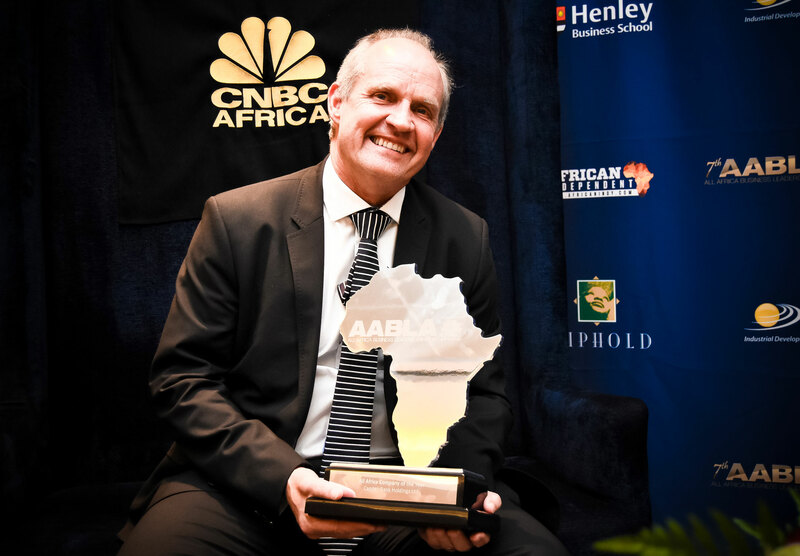 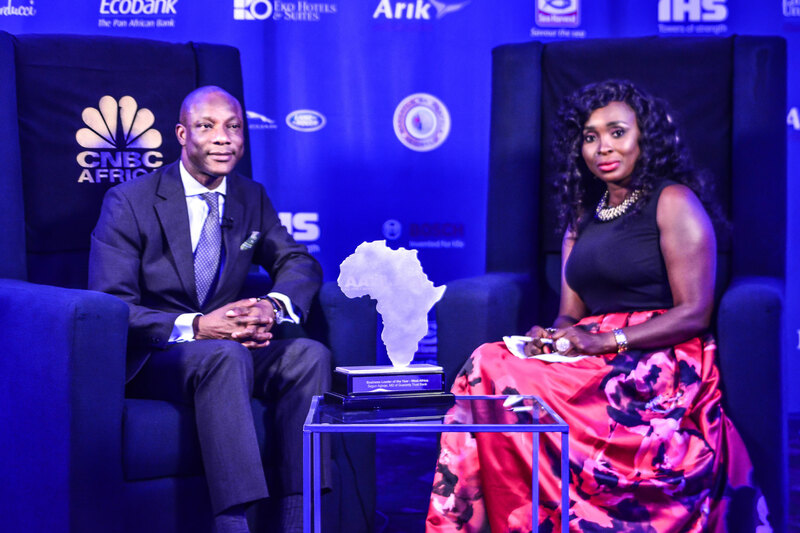 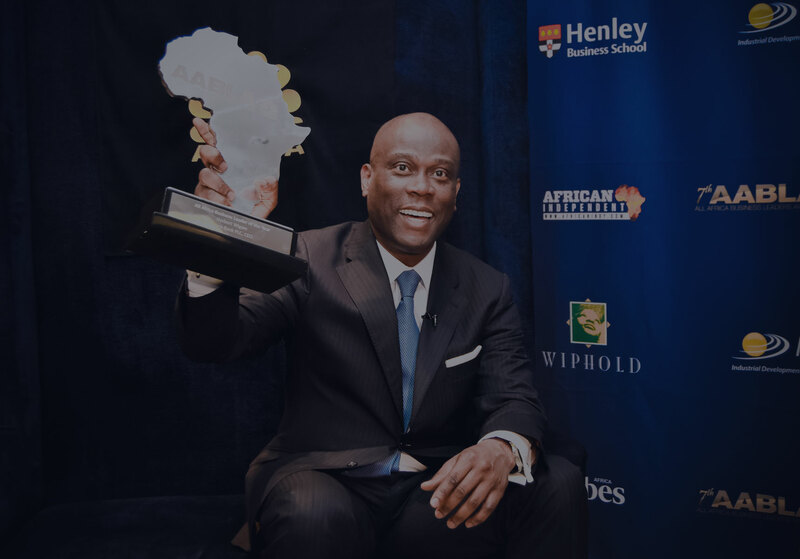 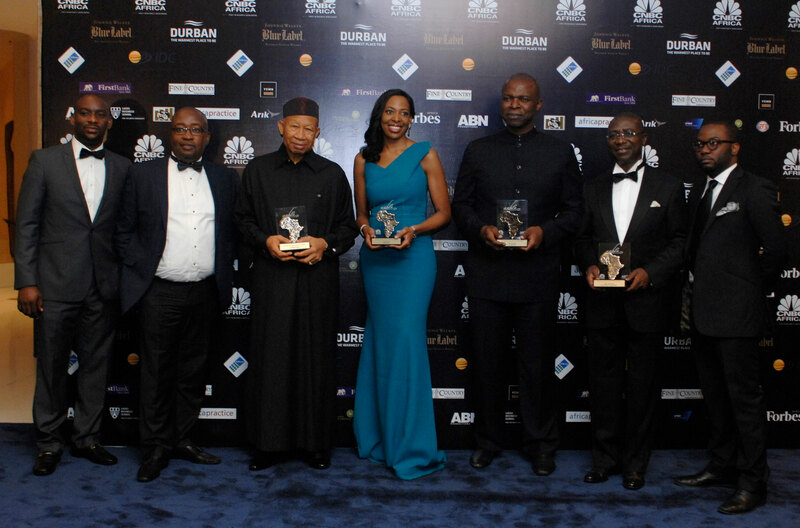 The annual All Africa Business Leaders Award is set to honour business excellence and leaders who have made a considerable impact on their industry and community.The All Africa Business Leaders Awards (AABLA™) in partnership with CNBC Africa honour remarkable leadership and salute game changers of business on the continent for their continuing commitment to excellence, developing best practices and innovative strategies. 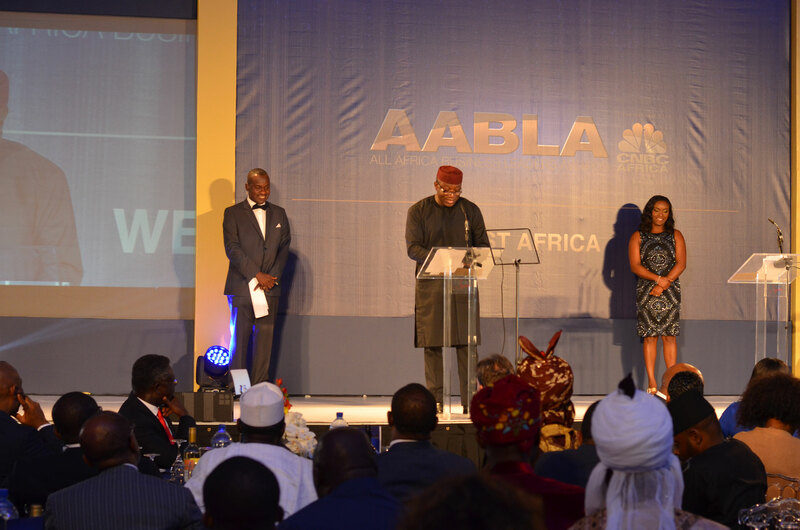 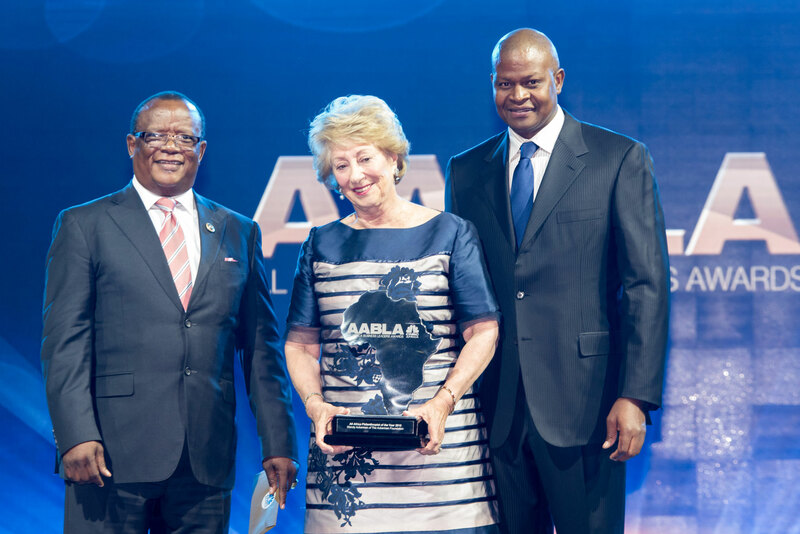 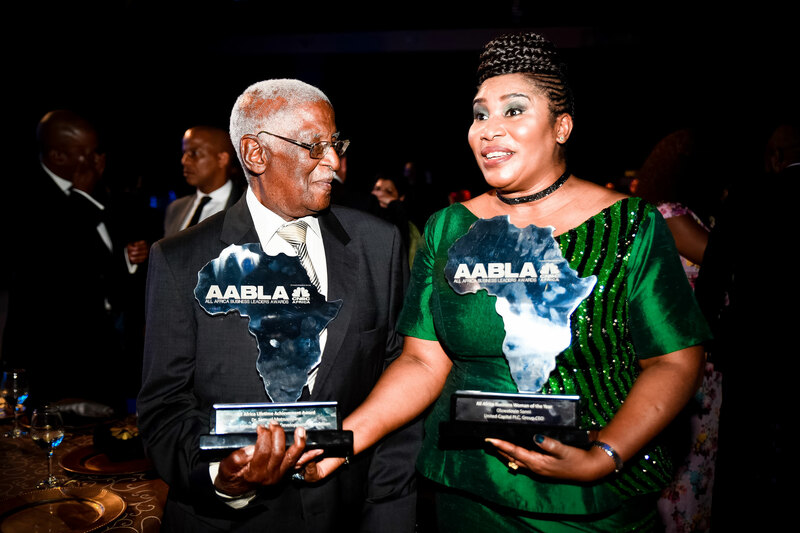 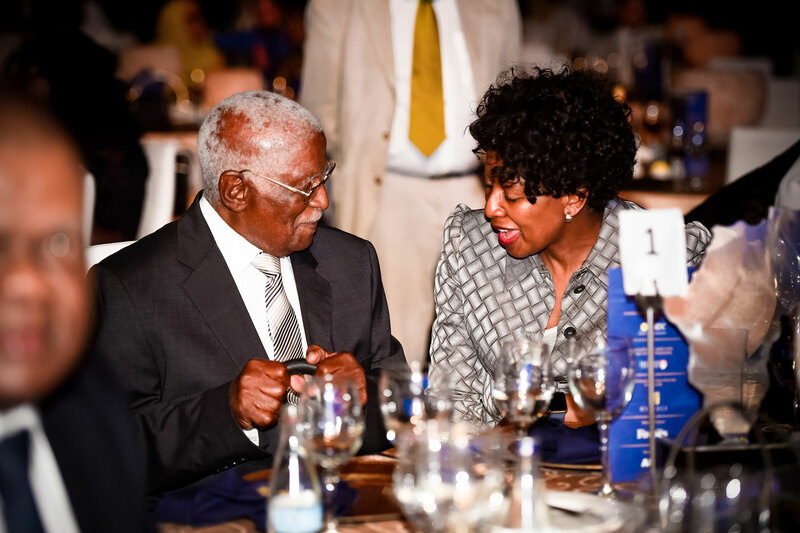 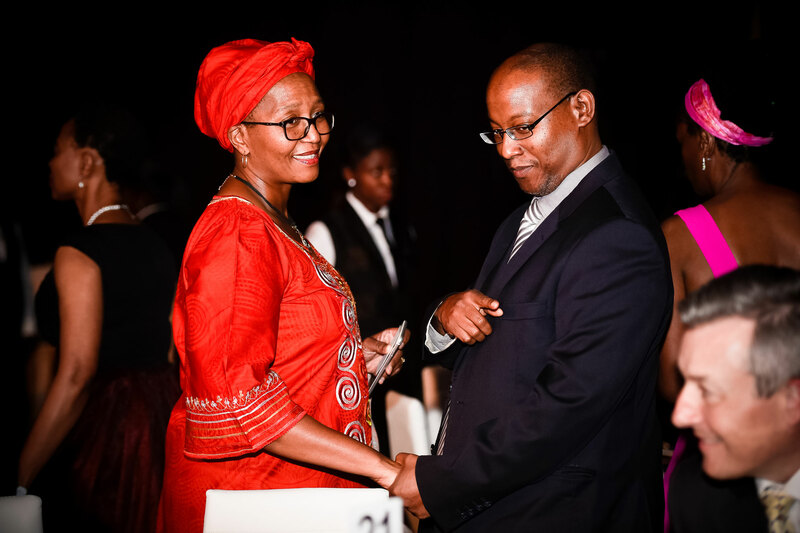 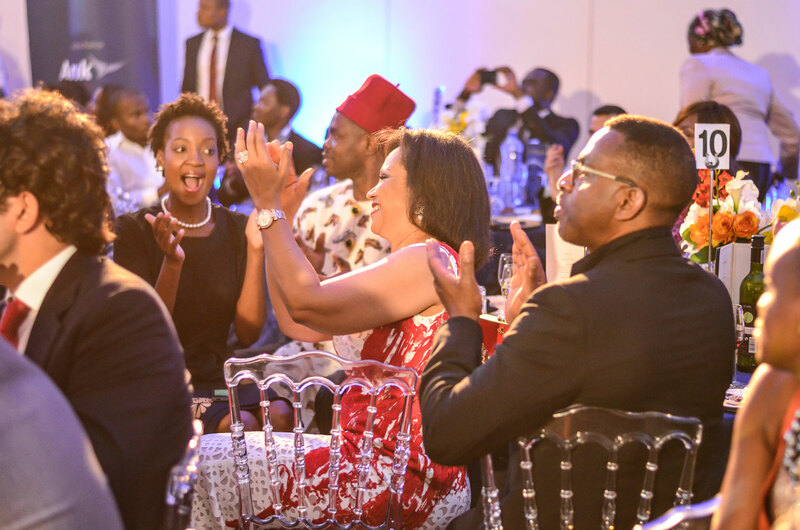 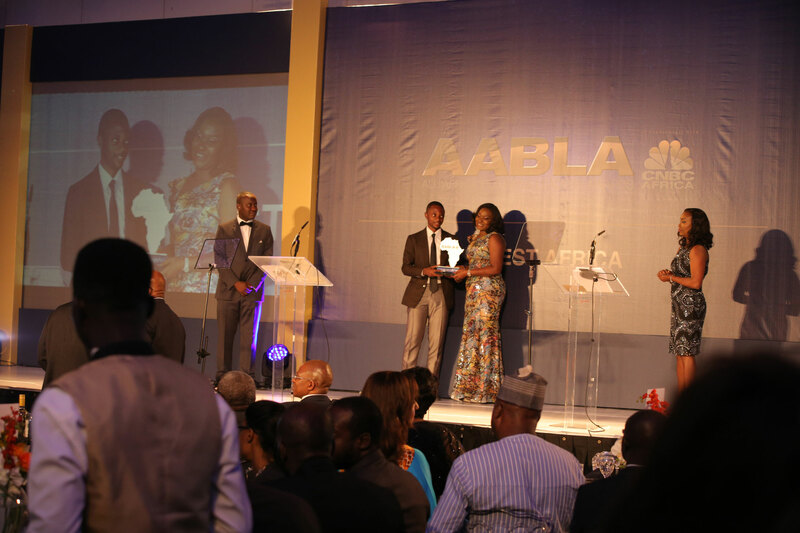 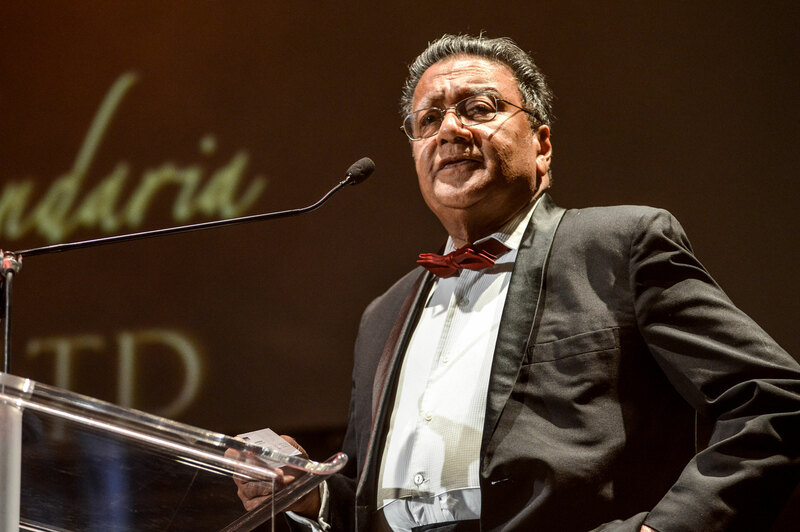 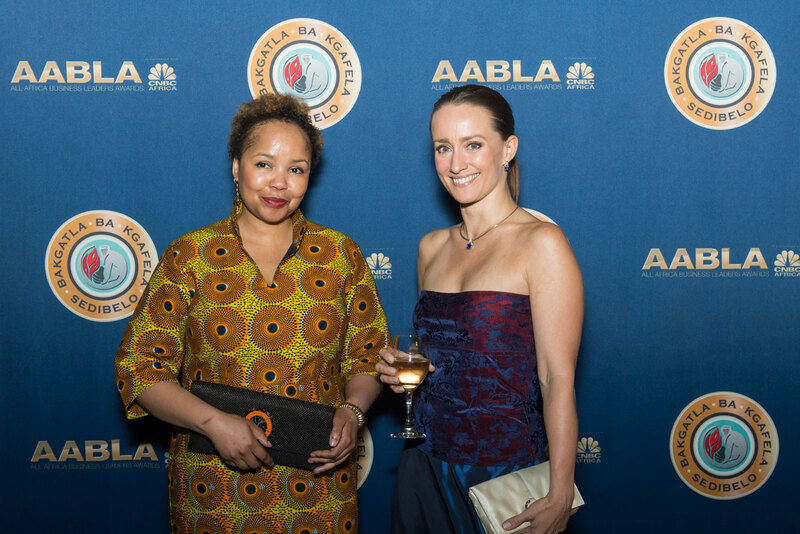 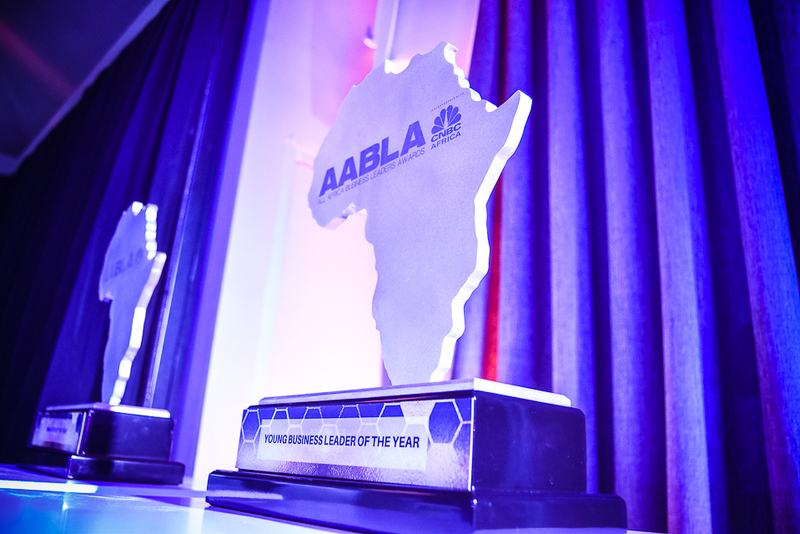 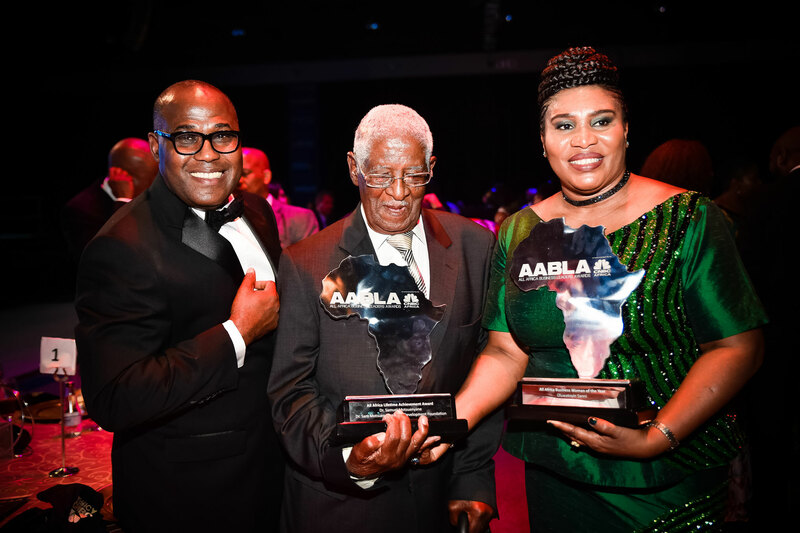 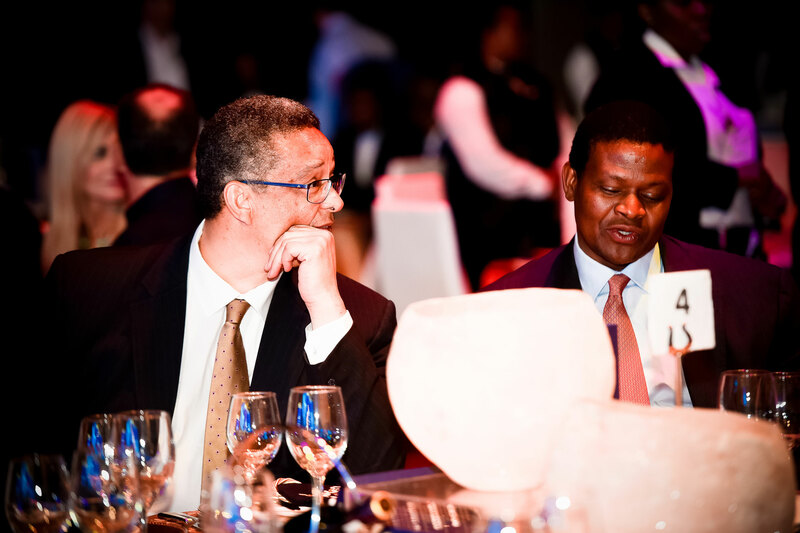 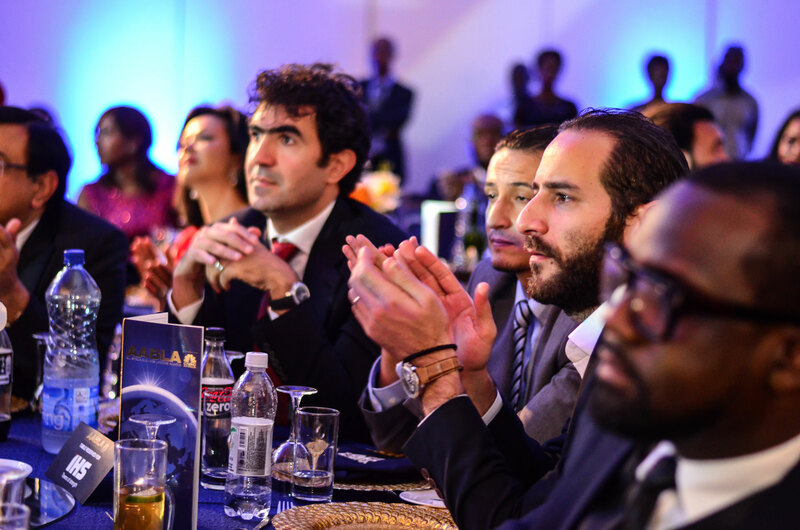 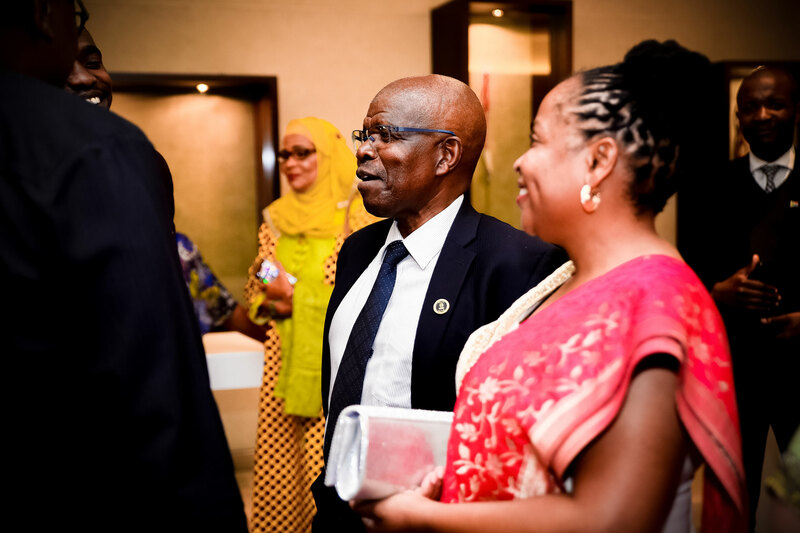 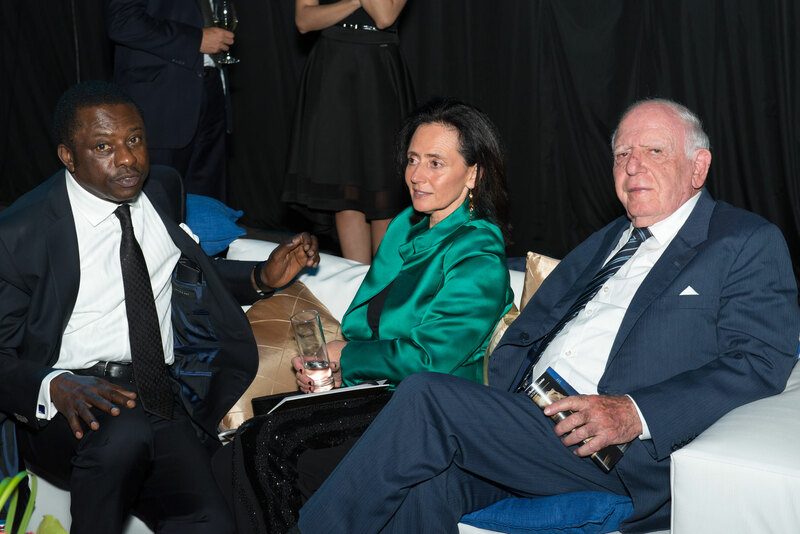 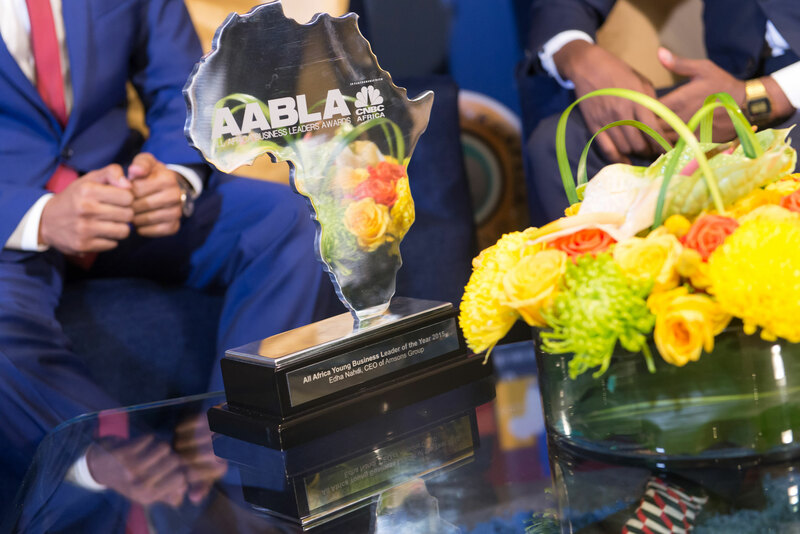 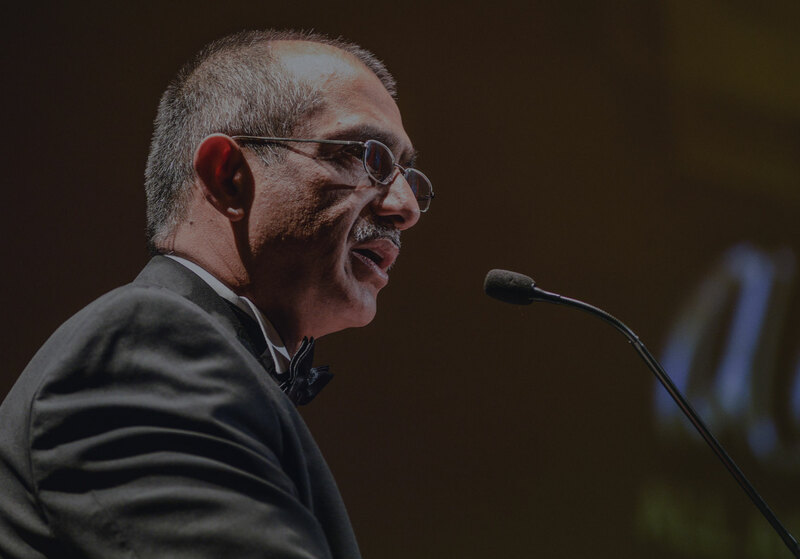 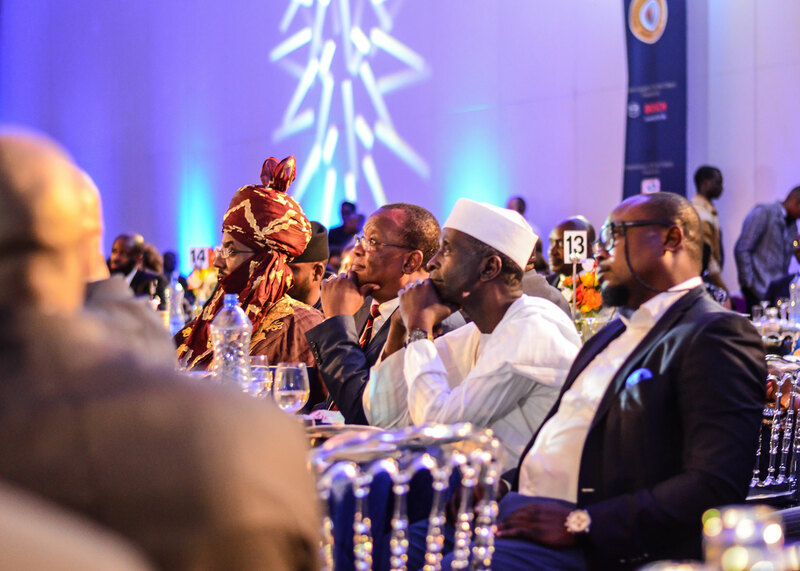 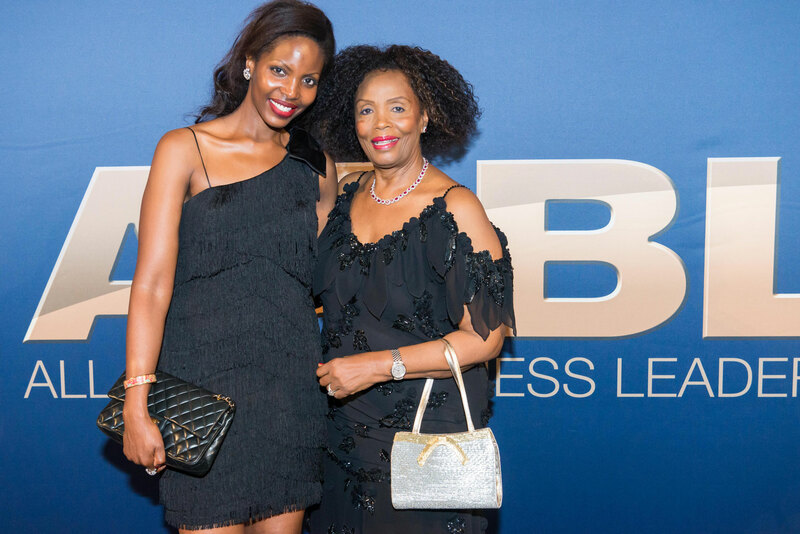 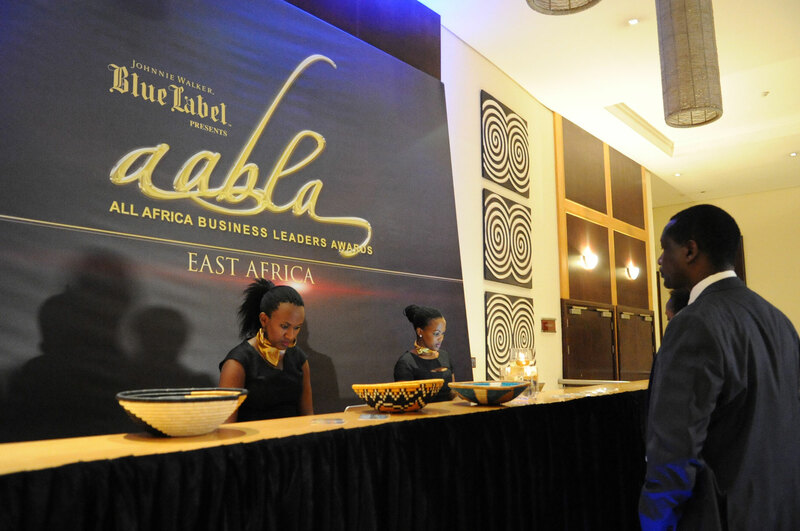 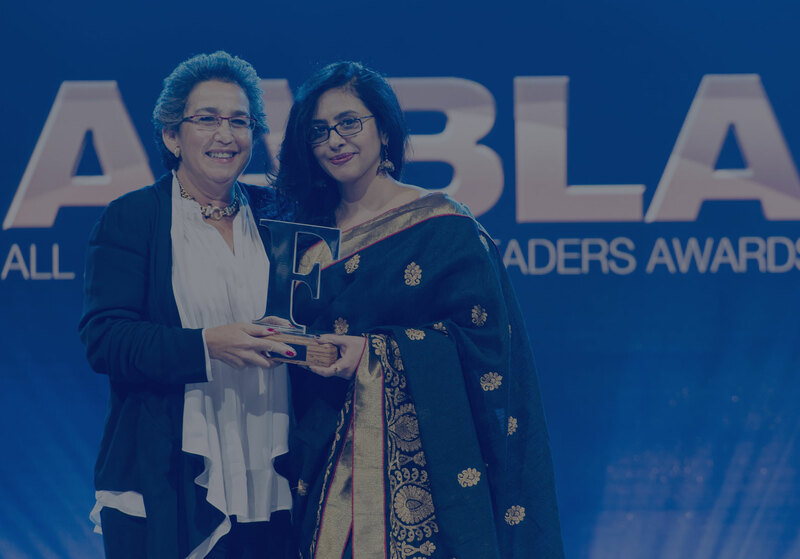 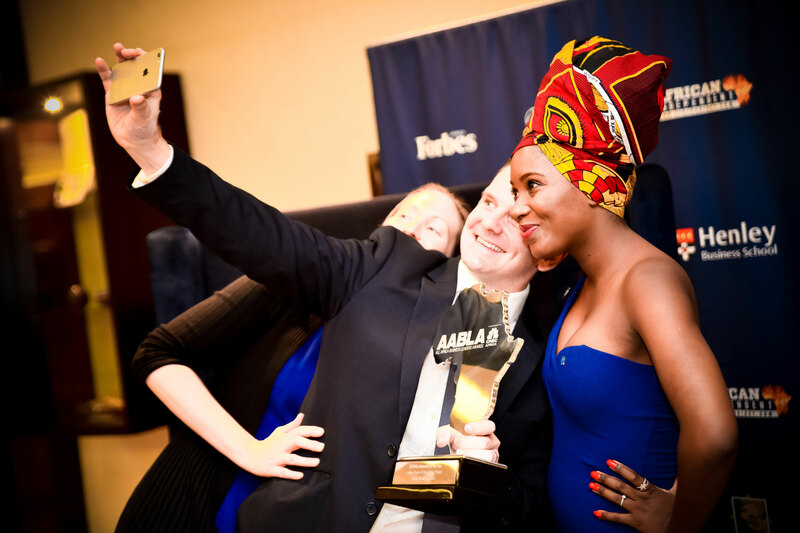 The AABLA™ distinguish and honour leaders who have contributed and shaped the African economy, and are visionaries behind today’s outstanding businesses. 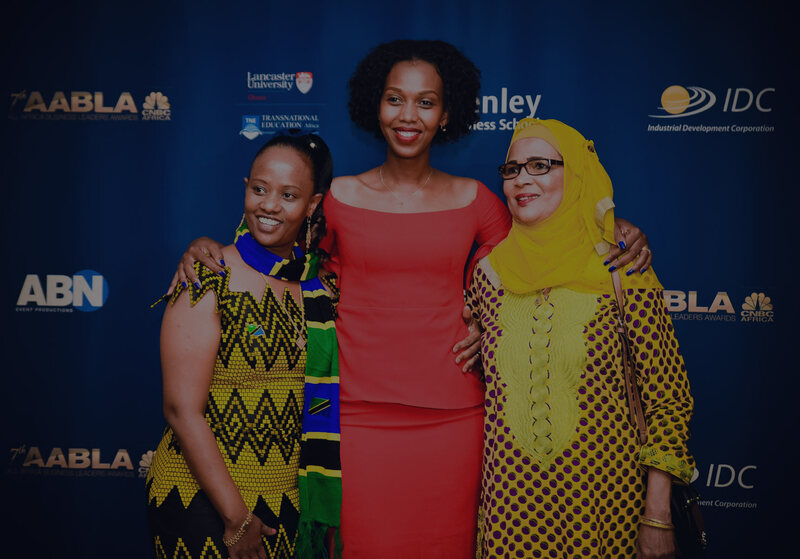 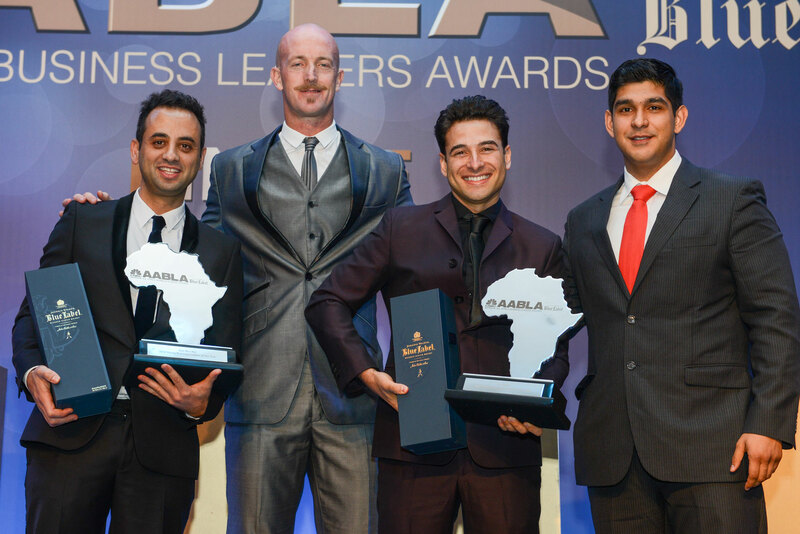 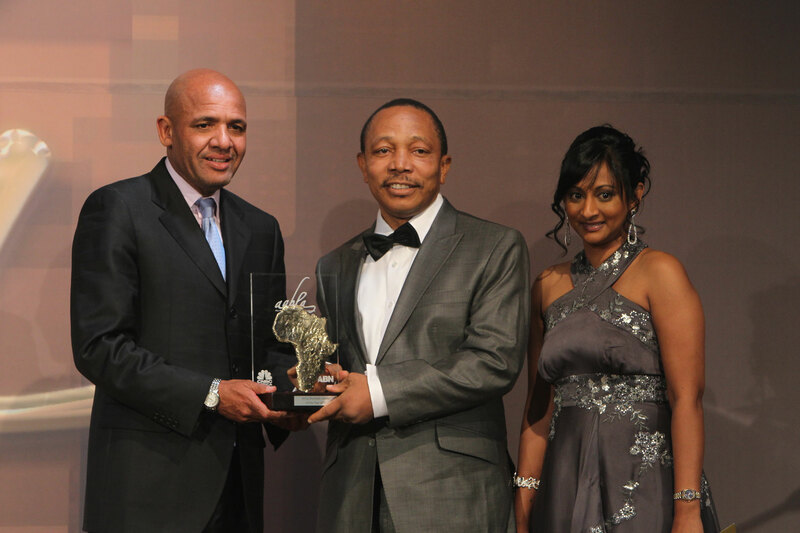 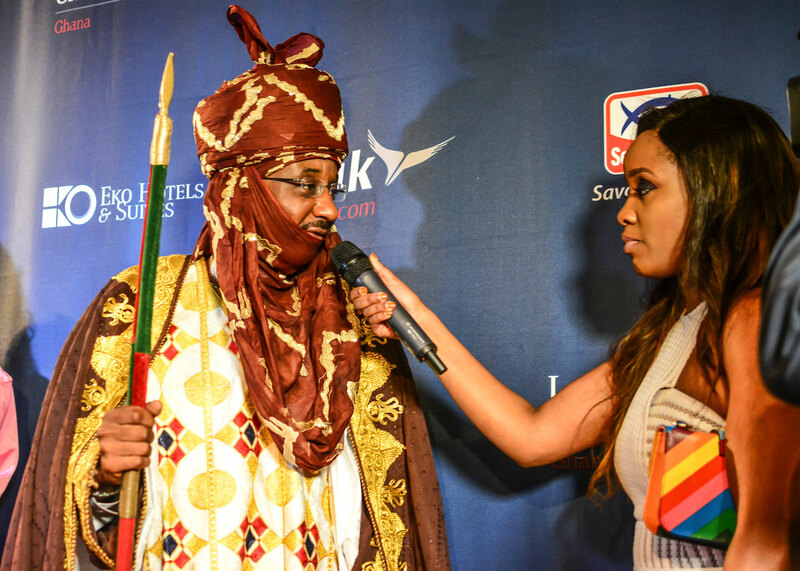 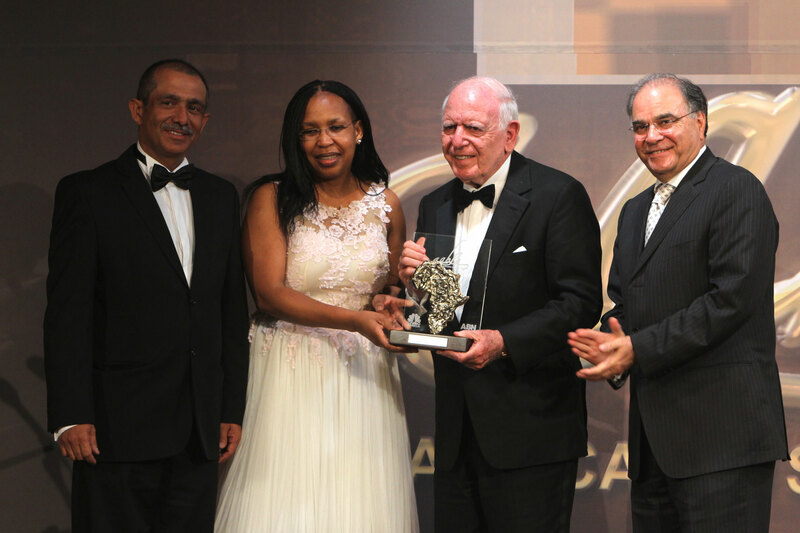 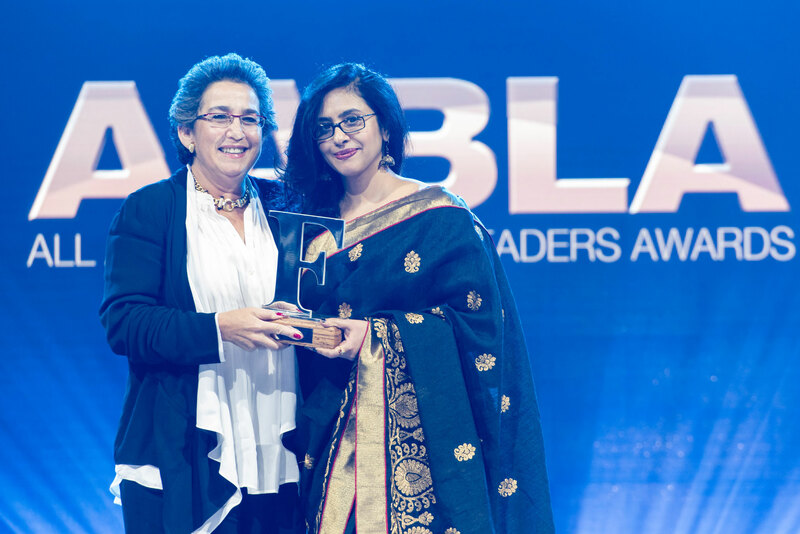 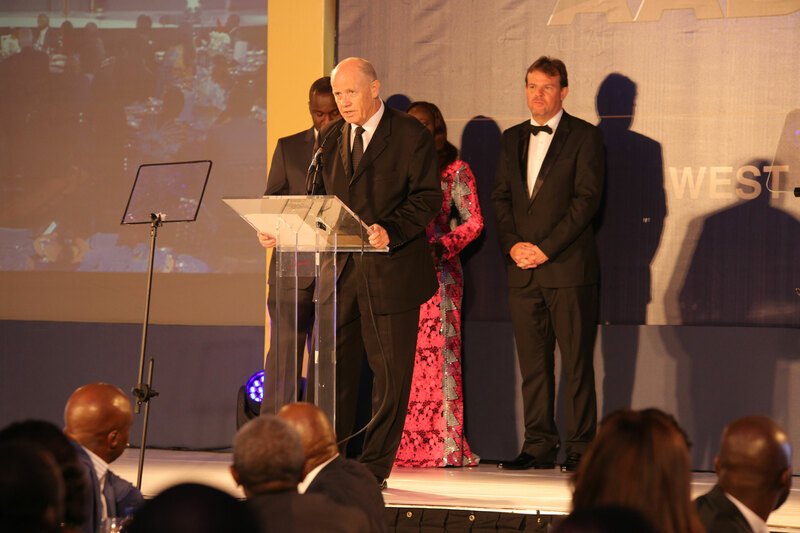 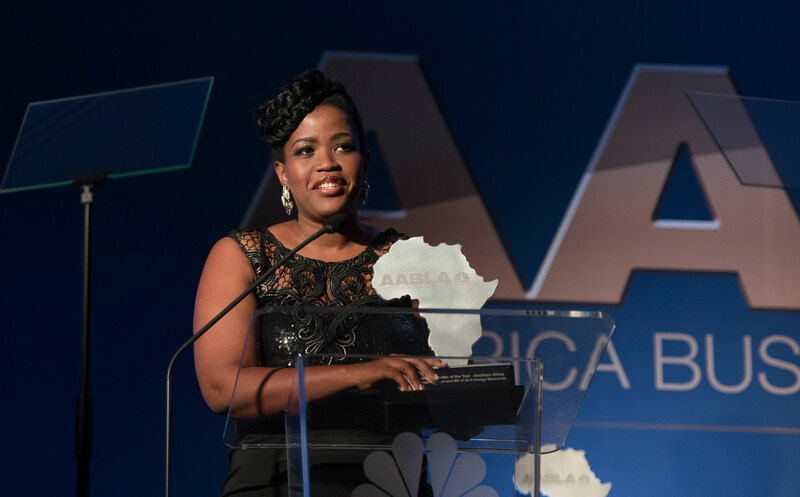 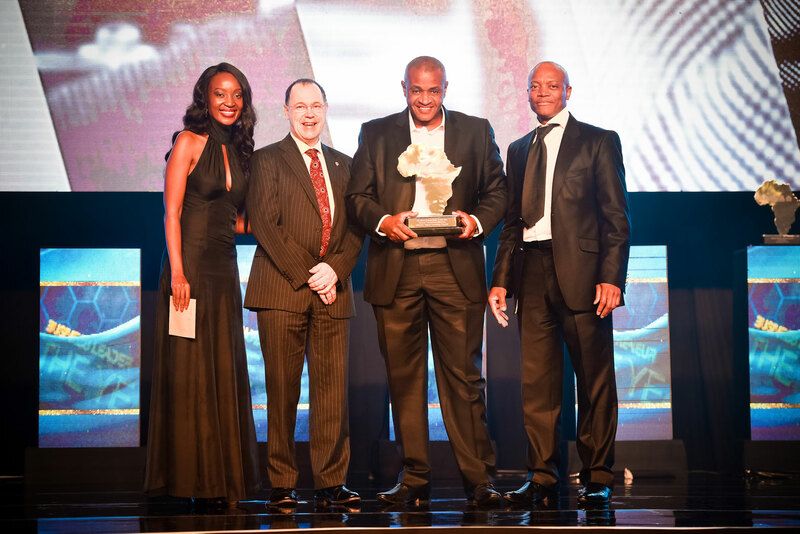 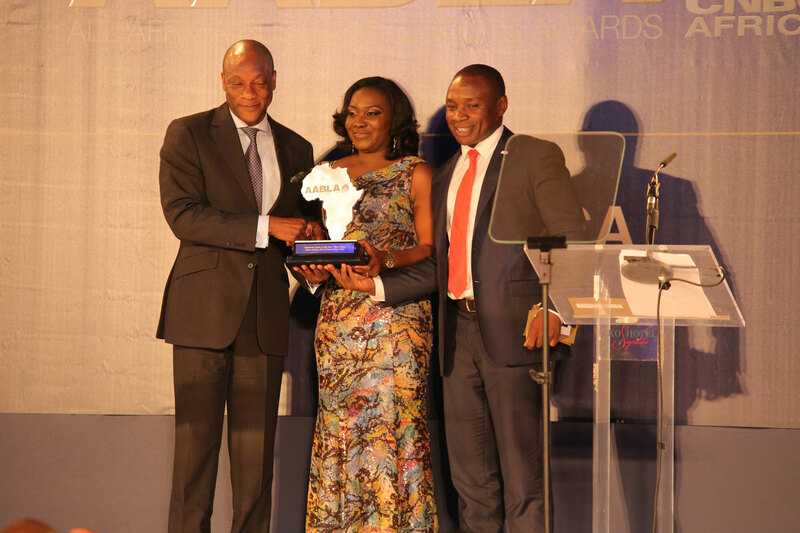 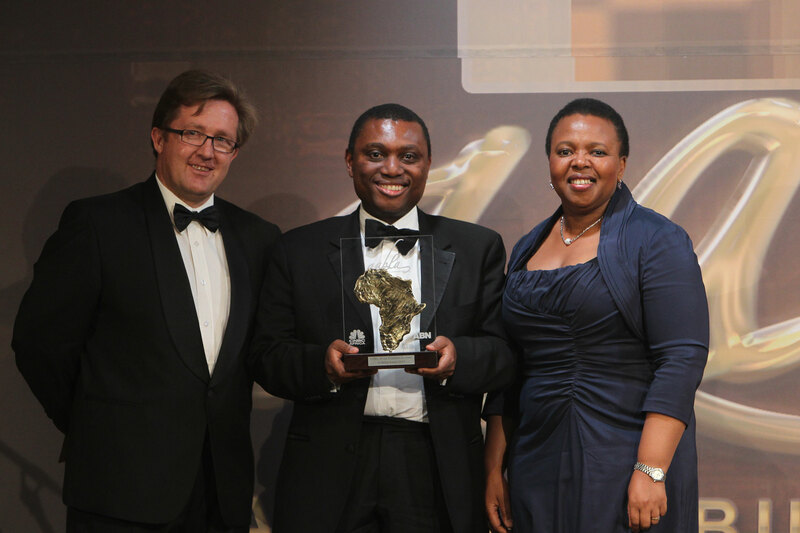 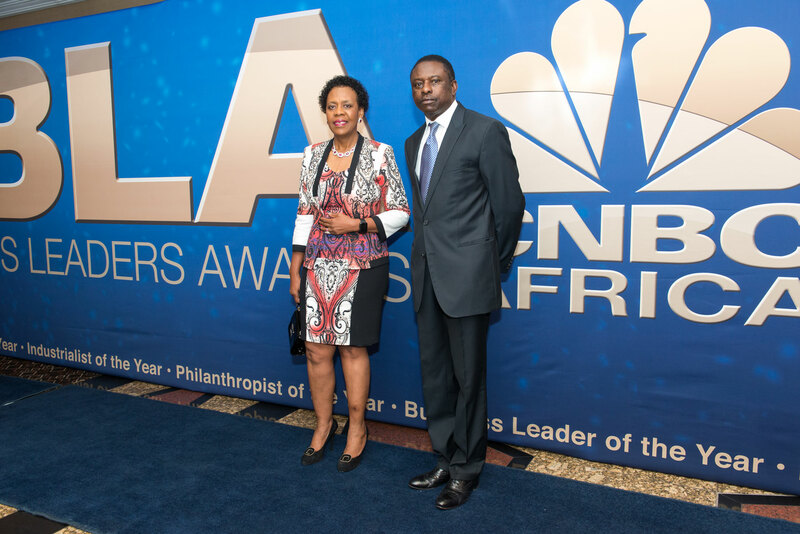 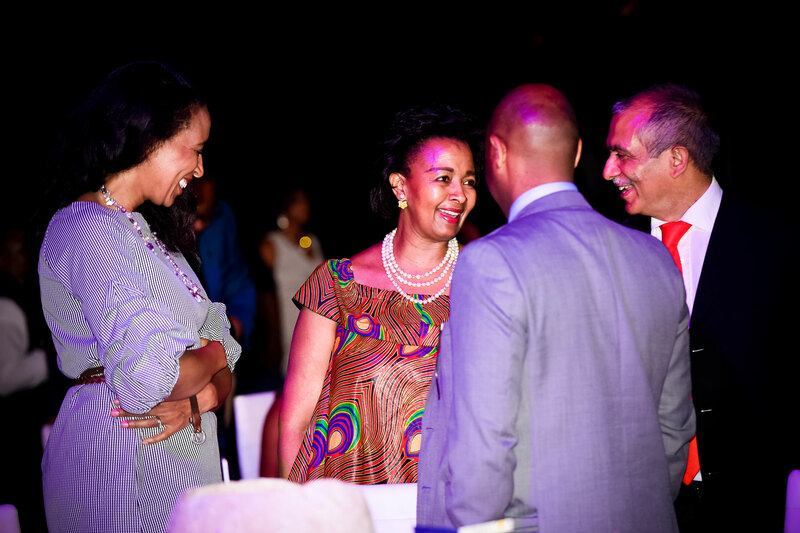 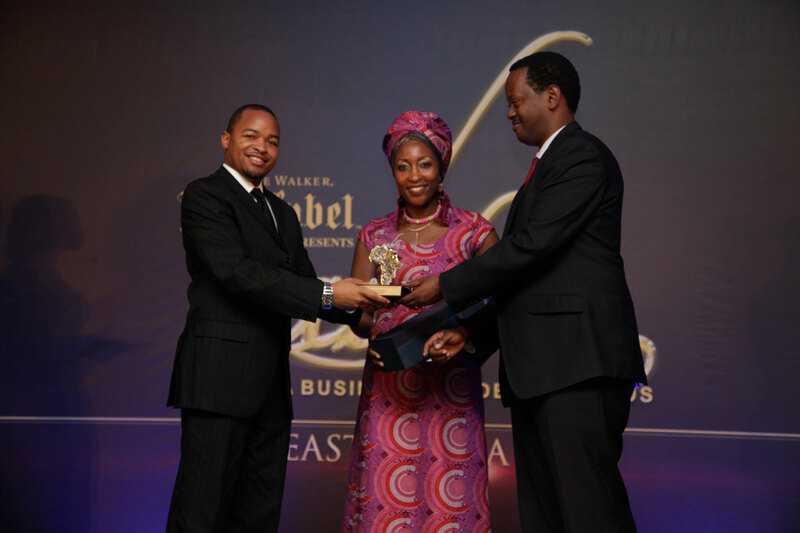 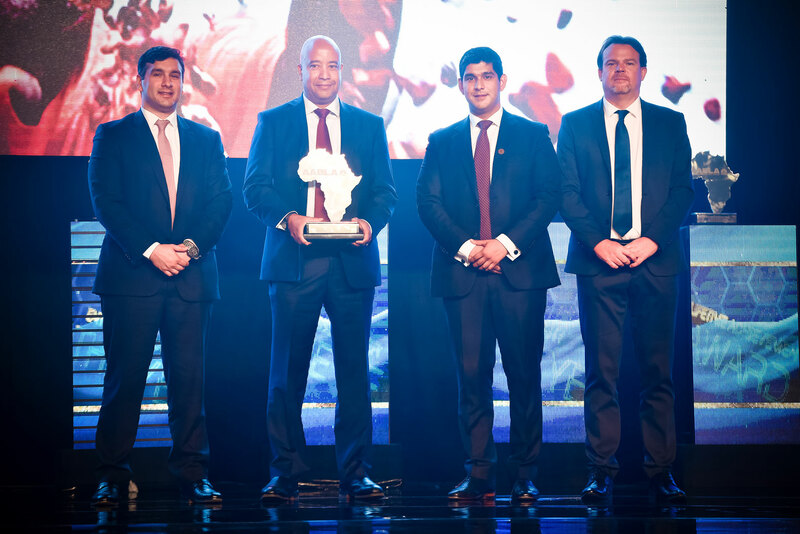 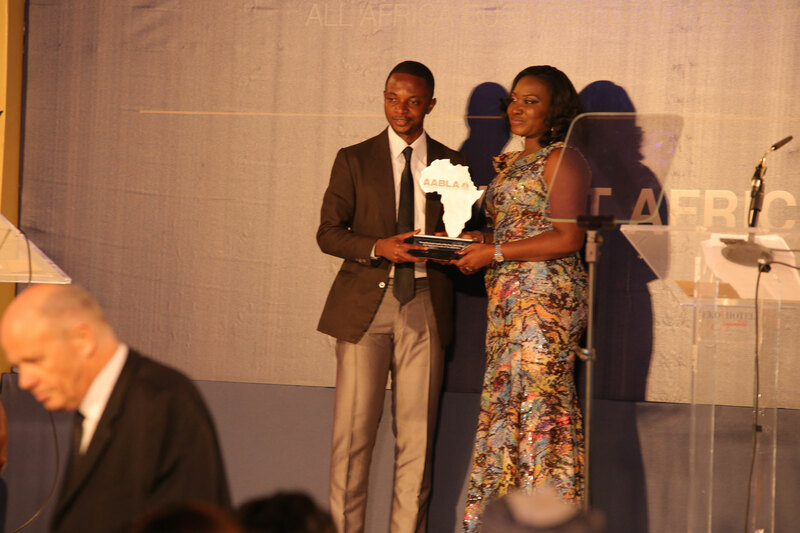 Winners of the Awards exemplify the best in African leadership. 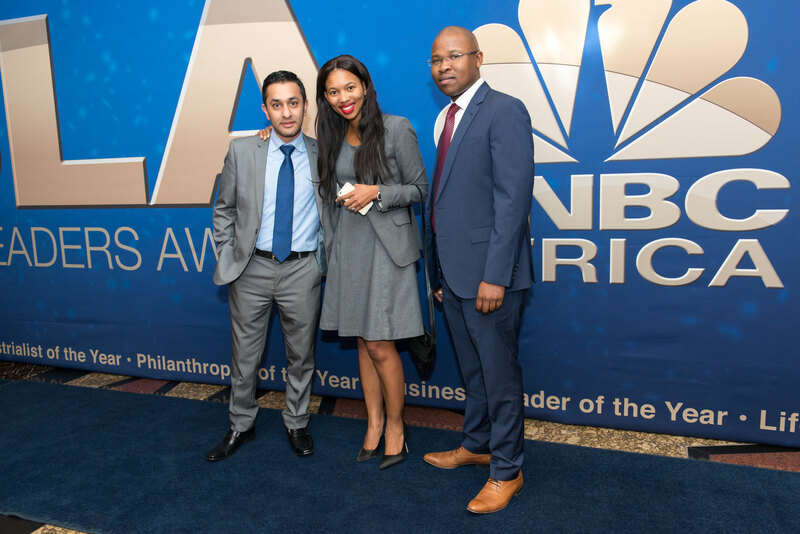 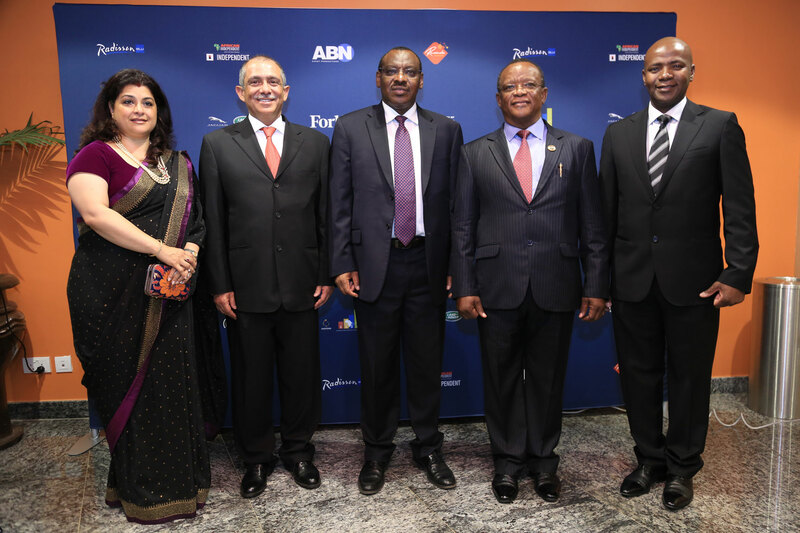 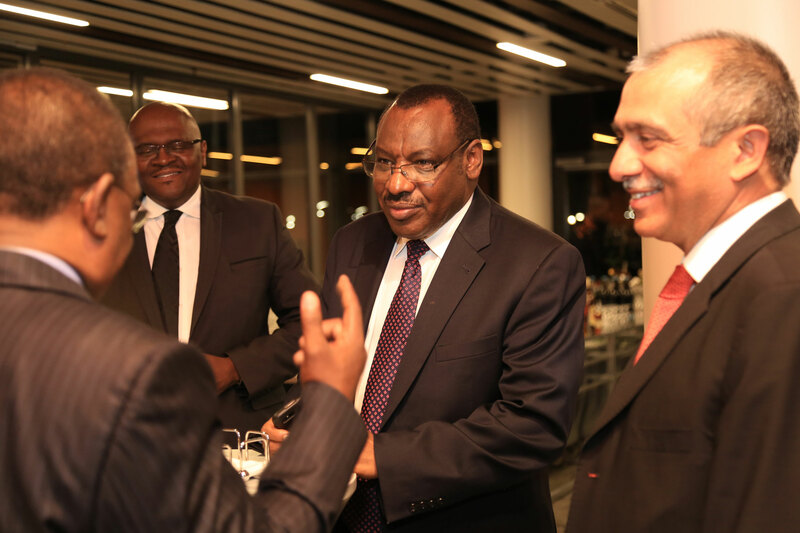 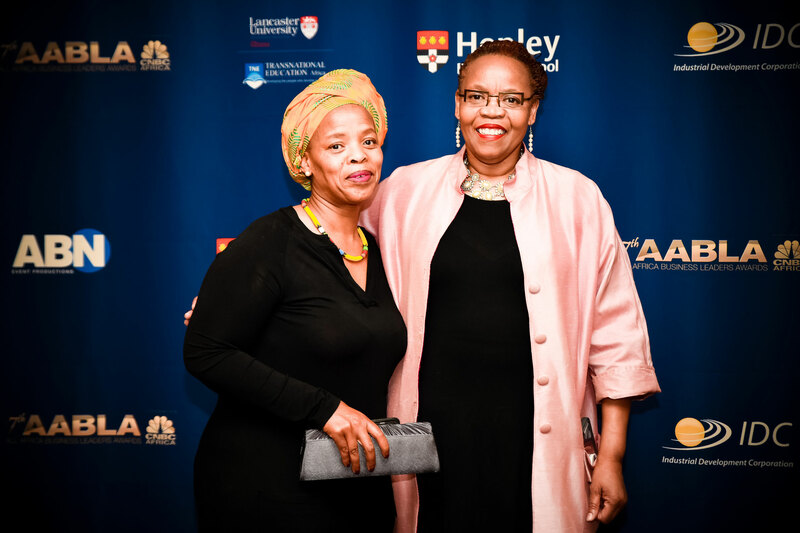 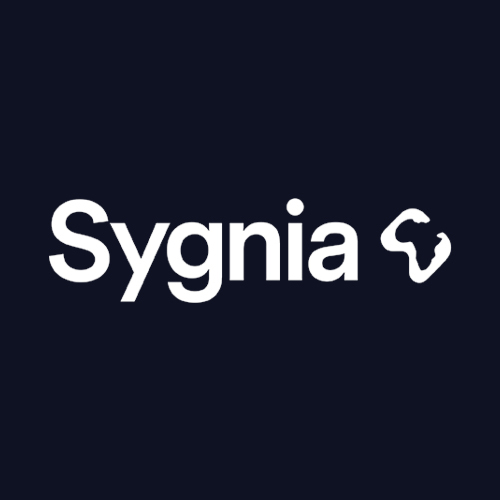 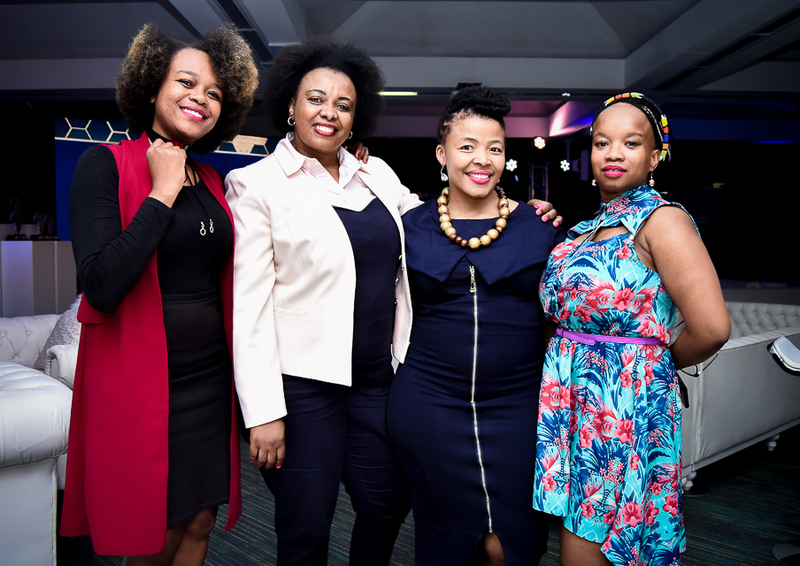 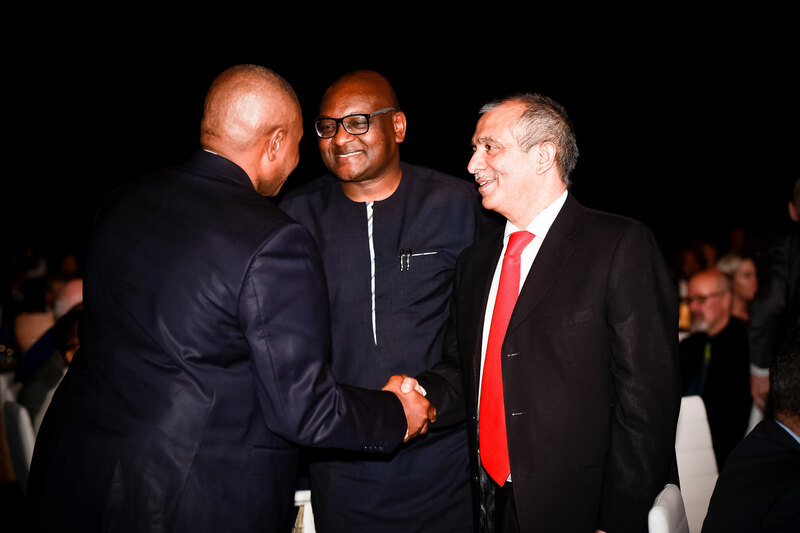 They epitomize the core values of a successful leader, strength, innovation, ingenuity, knowledge and foresight – values that are imperative to carving out powerful business in a Pan-African and global economy. 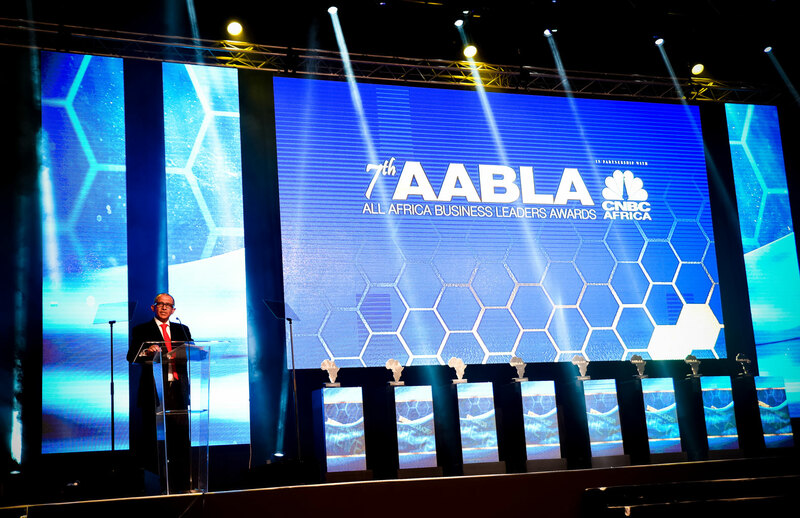 nominations from all regions, sectors and backgrounds to identify the innovative individuals and companies shaping the industry today. 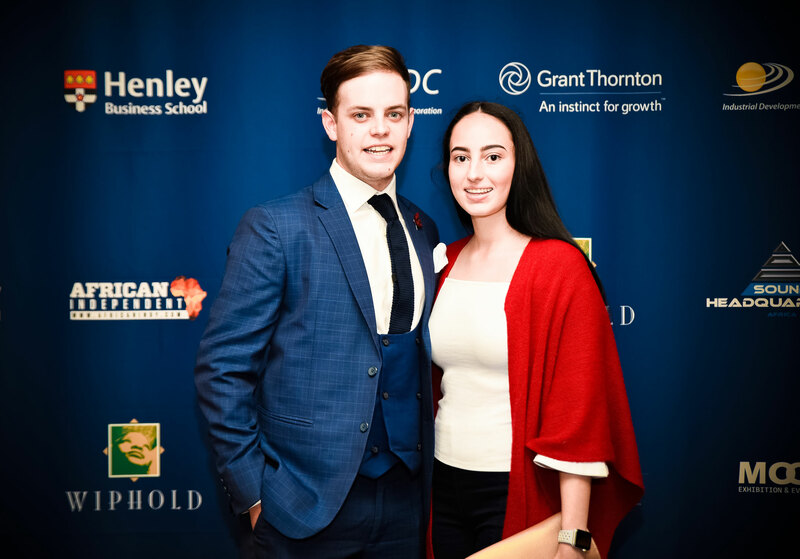 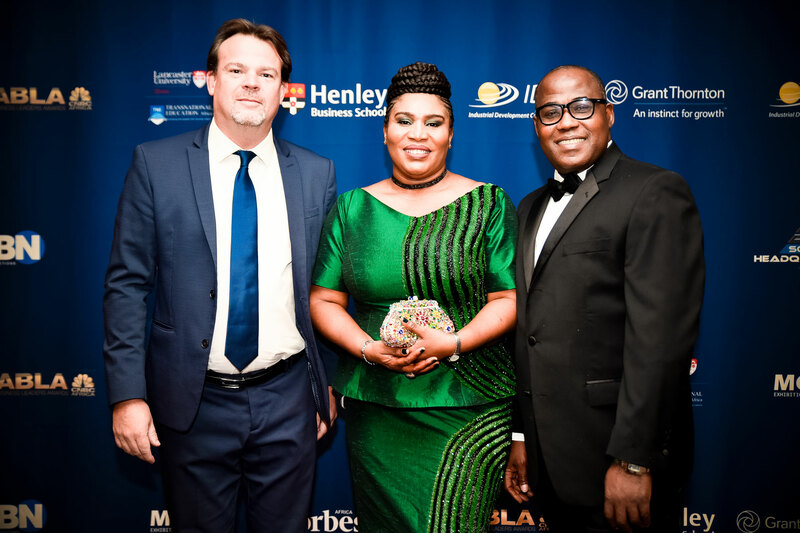 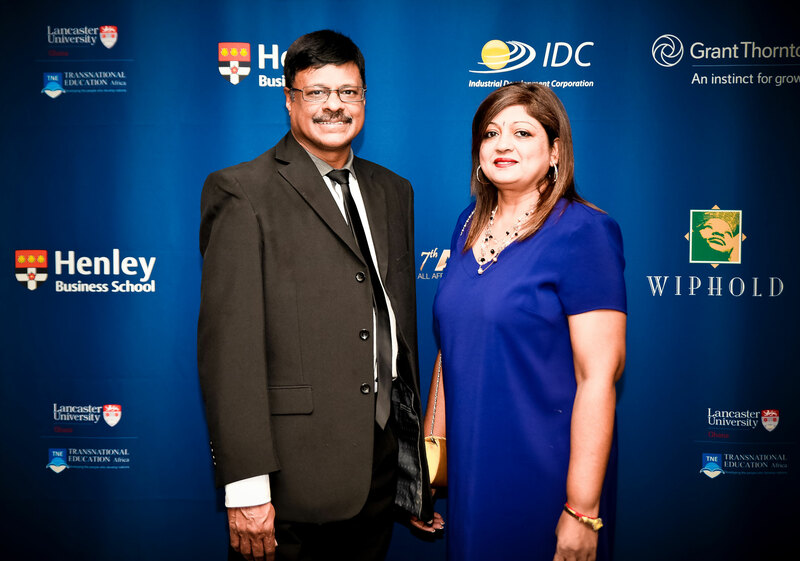 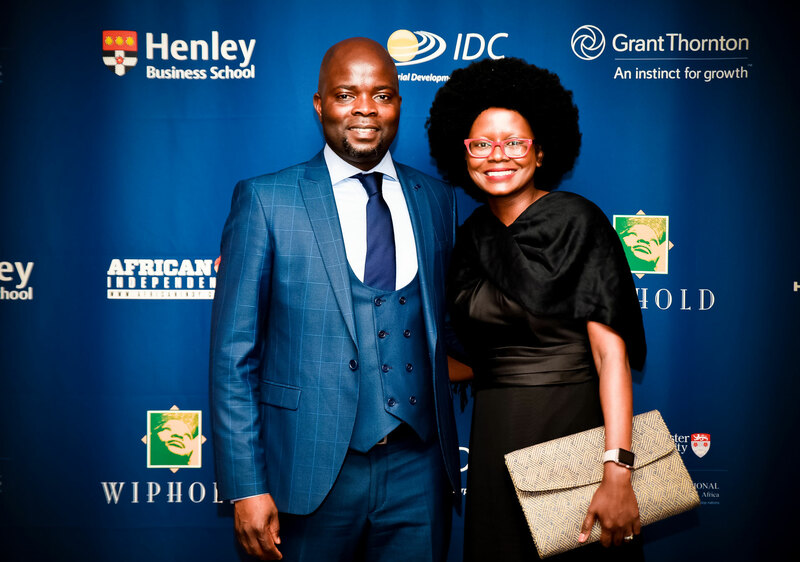 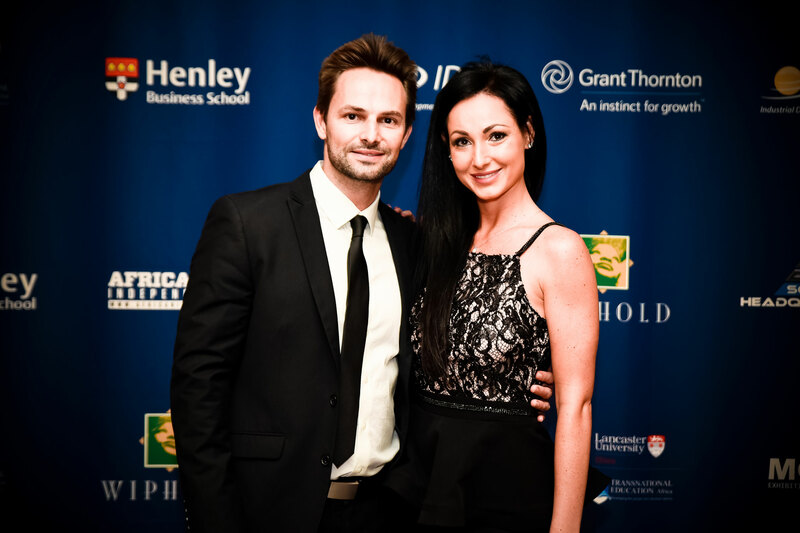 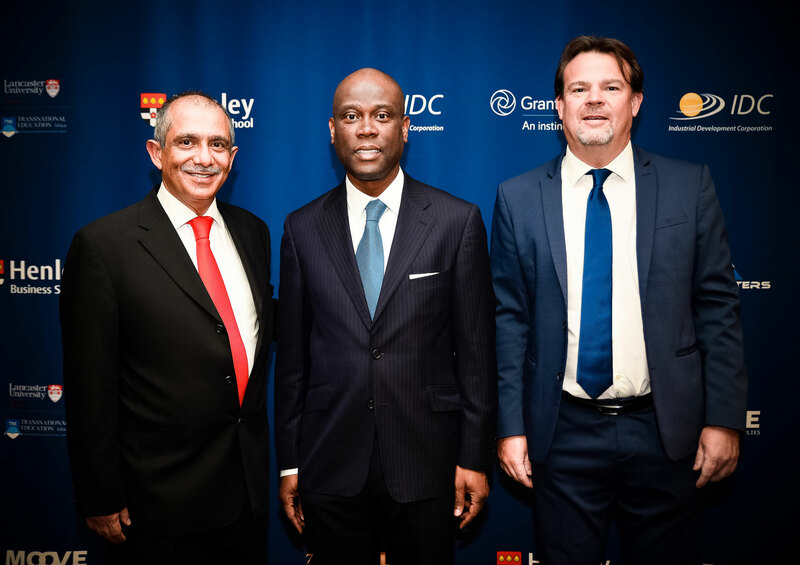 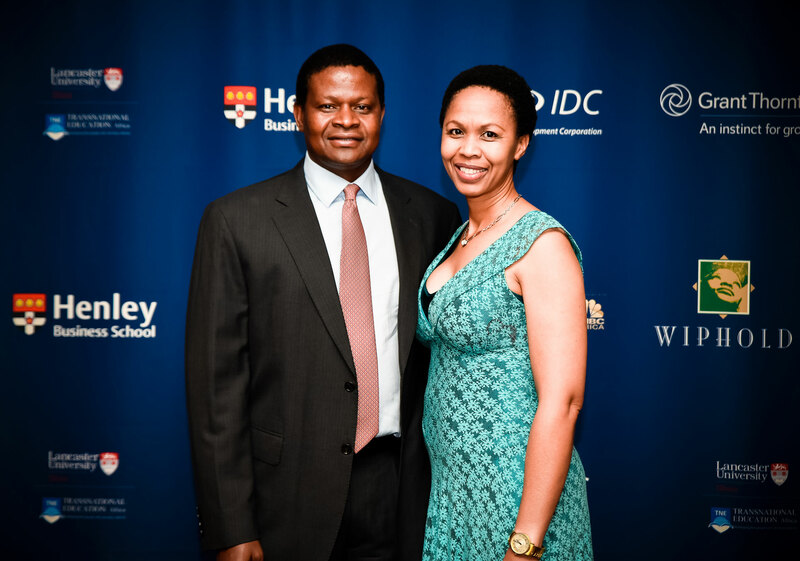 Henley Business School Africa and Grant Thornton. 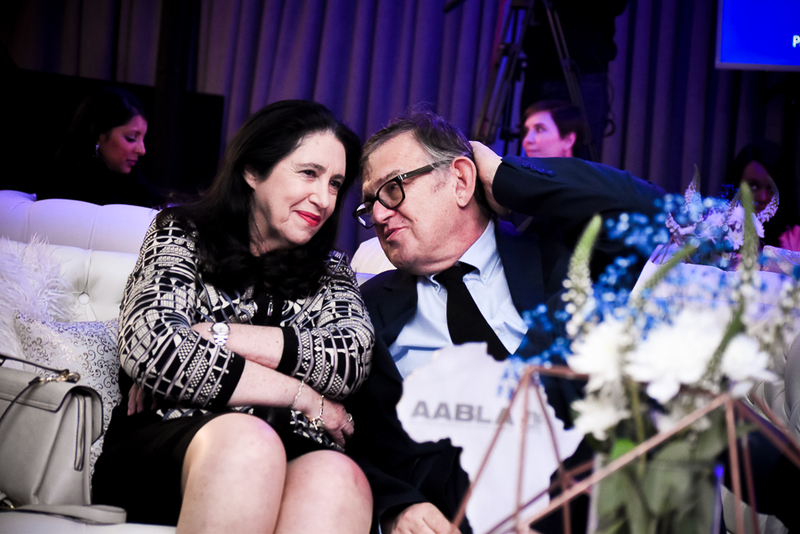 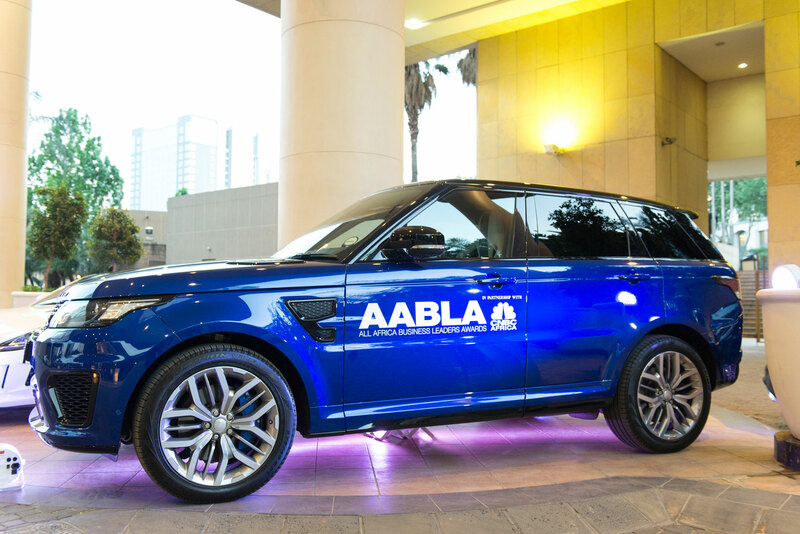 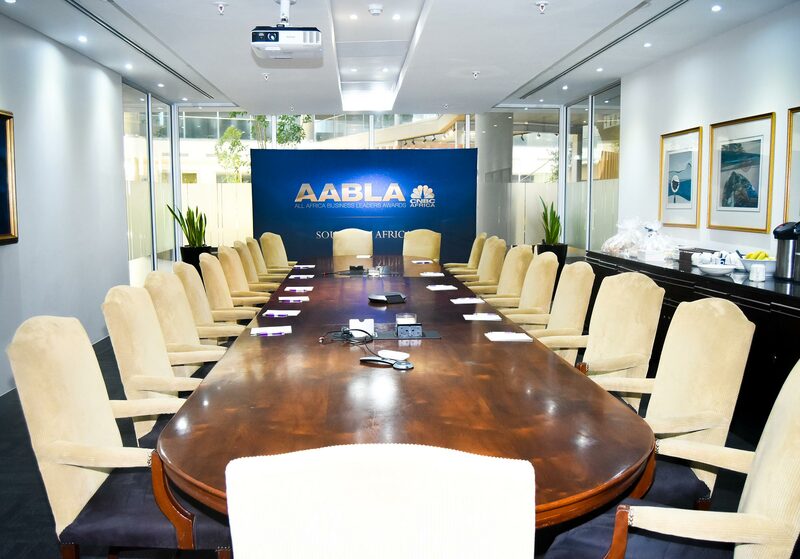 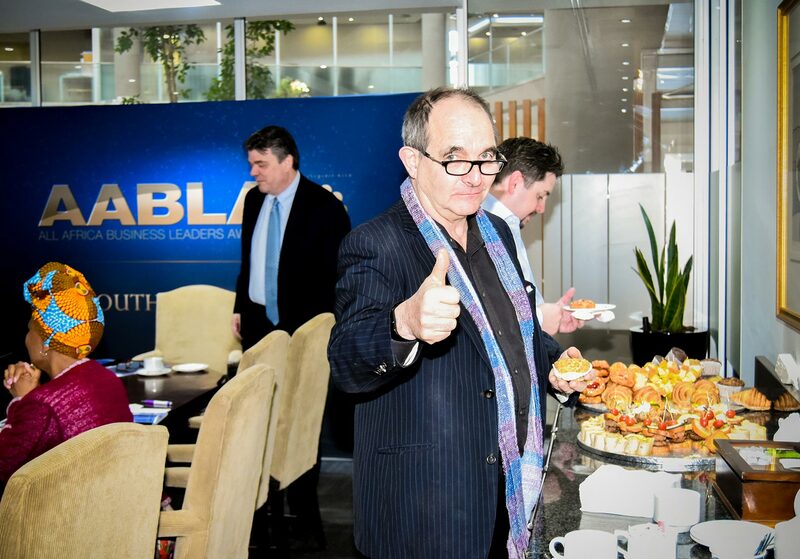 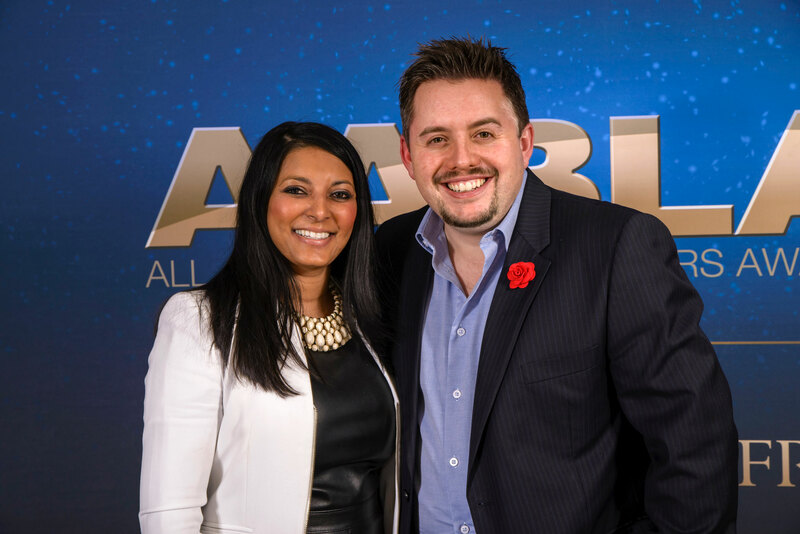 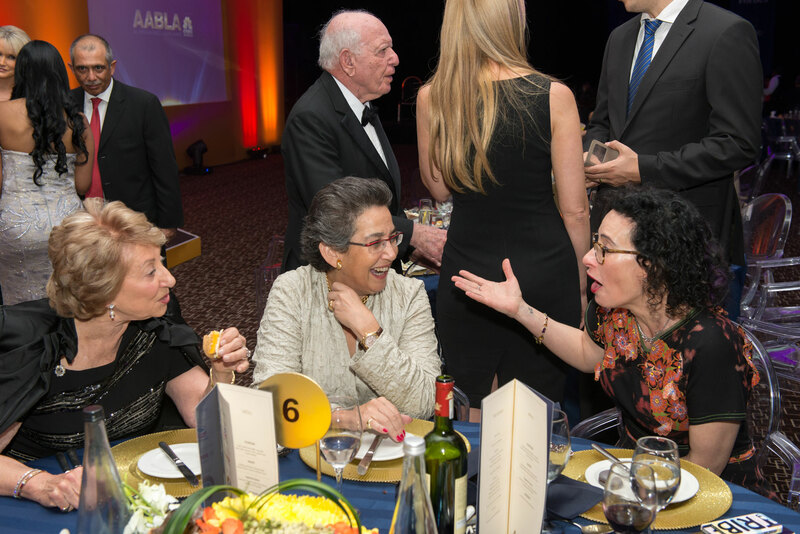 The 3-5 highest scoring nominations for each category will create the AABLA Shortlist for the Judges consideration. 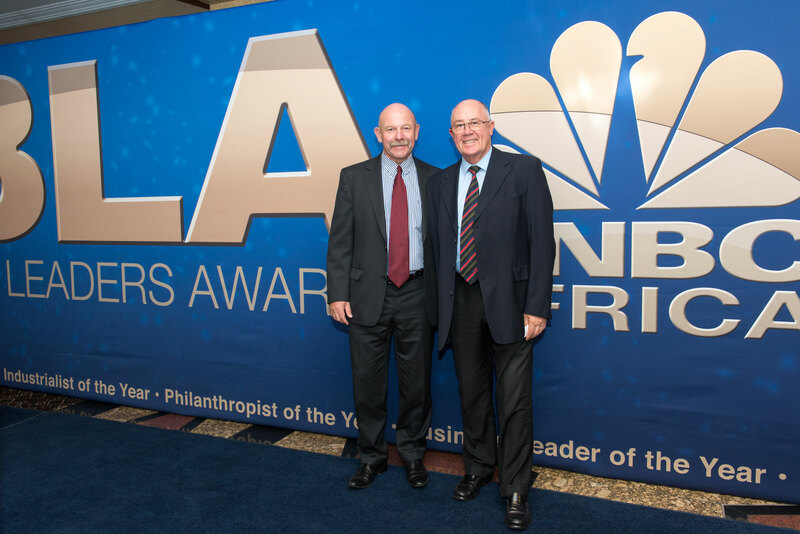 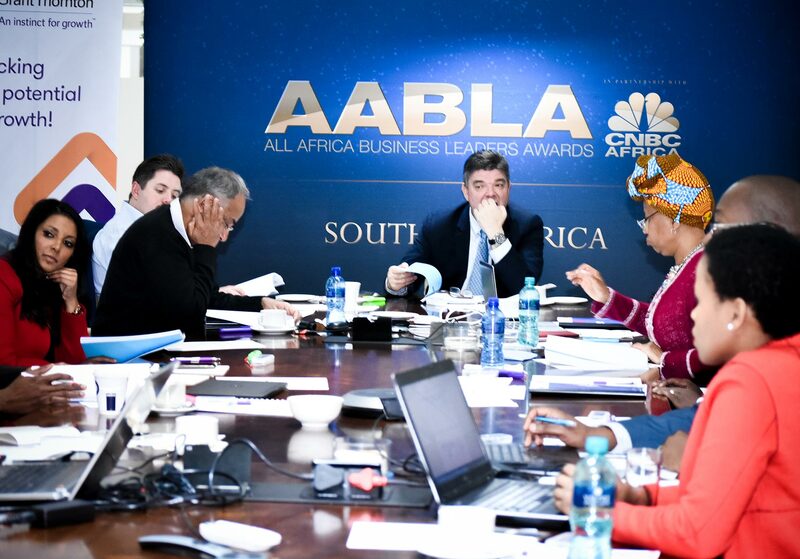 for their industry knowledge and experience, meet to review all shortlisted nominations. 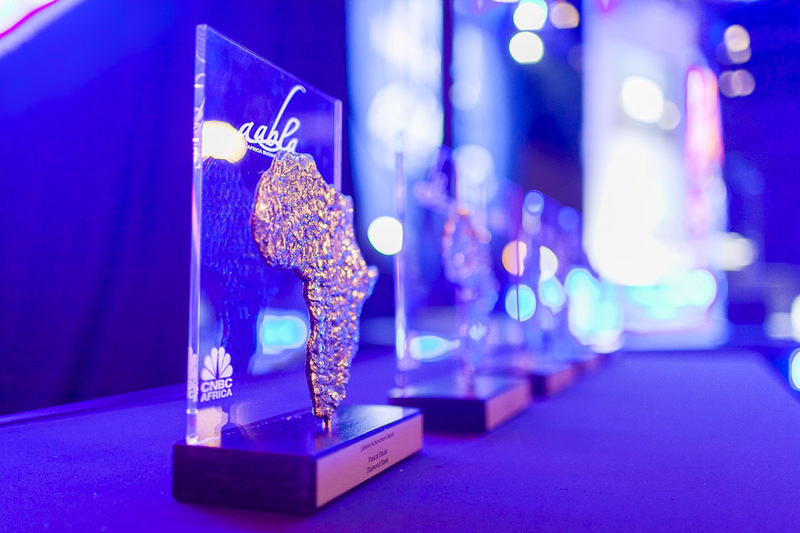 A detailed analysis of every application is discussed to choose a winner for each category. 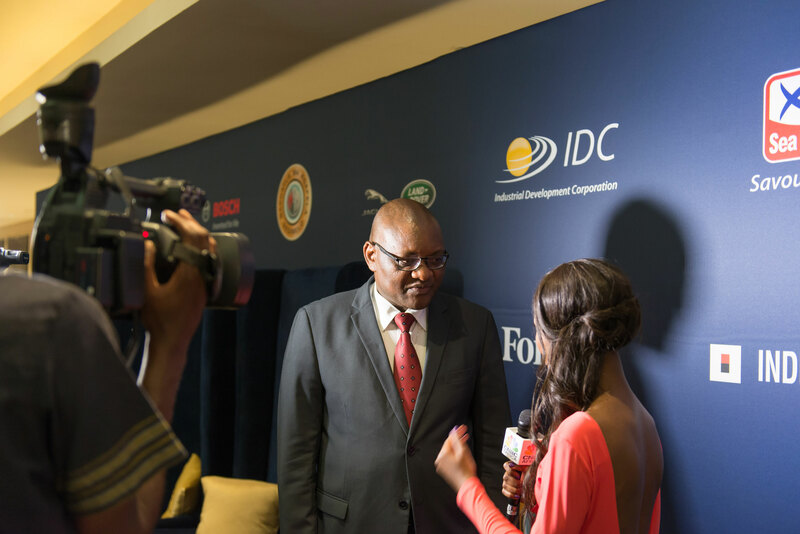 The independent scoring is confidentially validated by the Chairman of the Judges. 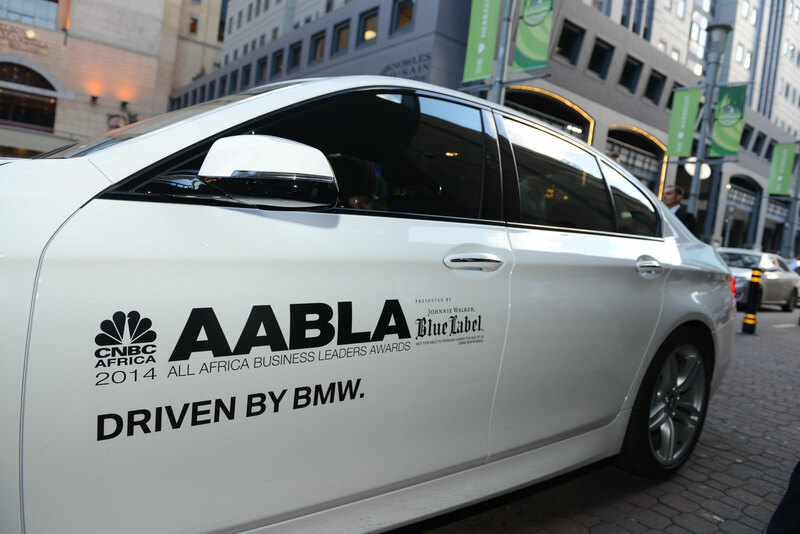 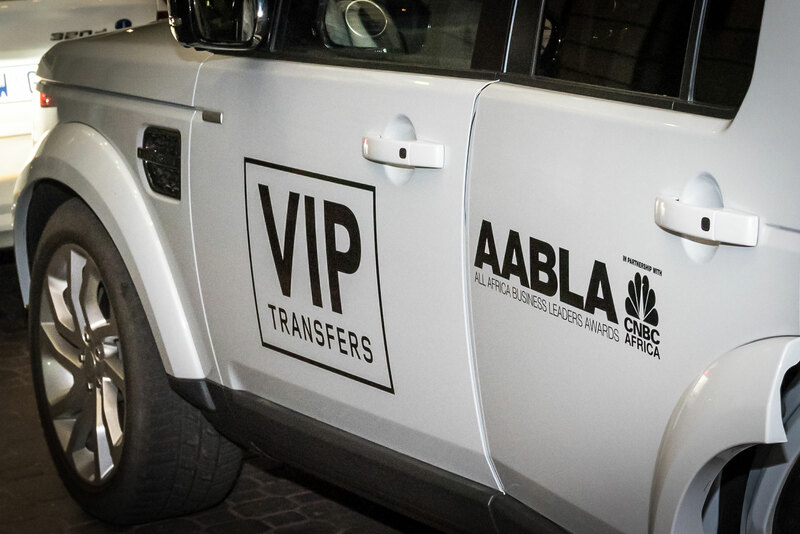 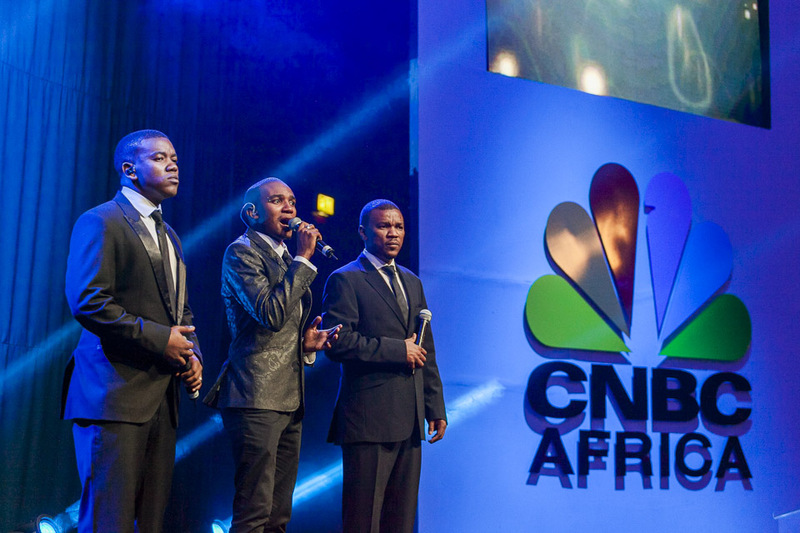 following a press campaign profiling the finalists on CNBC Africa, Kaya FM and other media partner outlets. 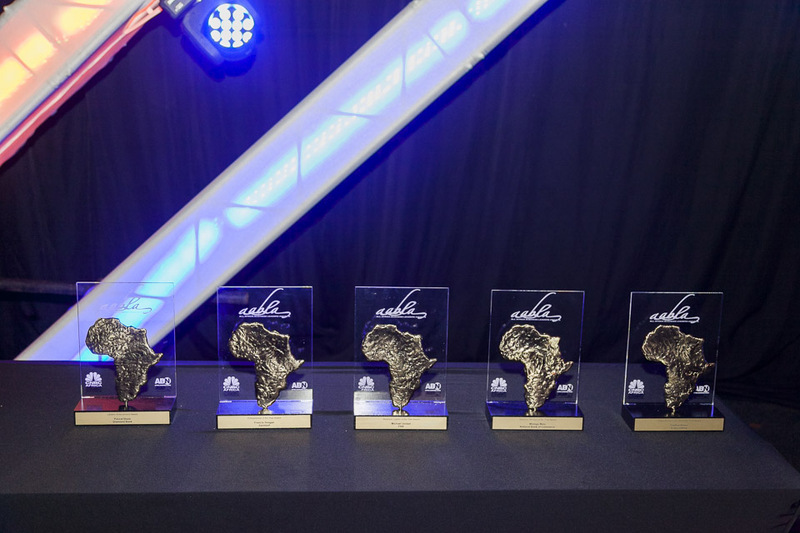 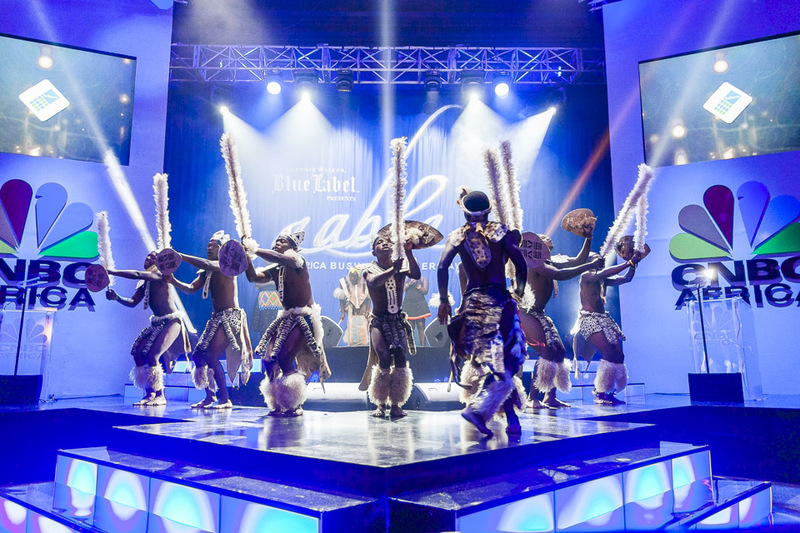 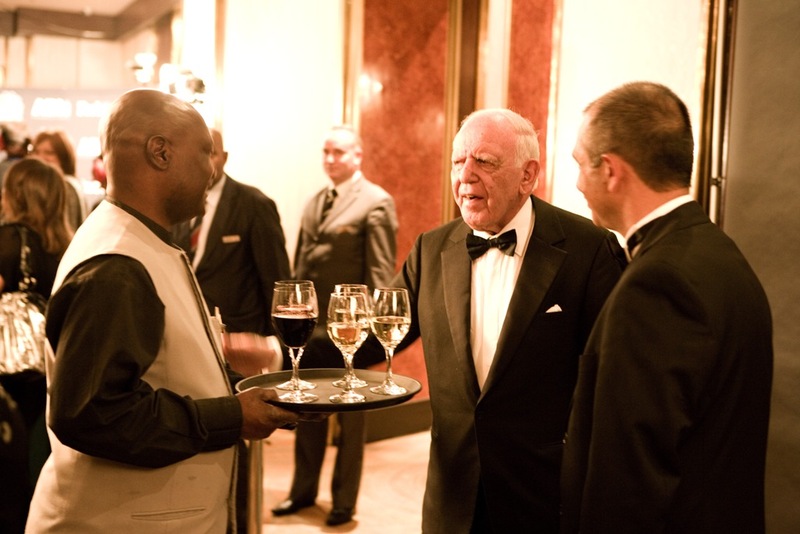 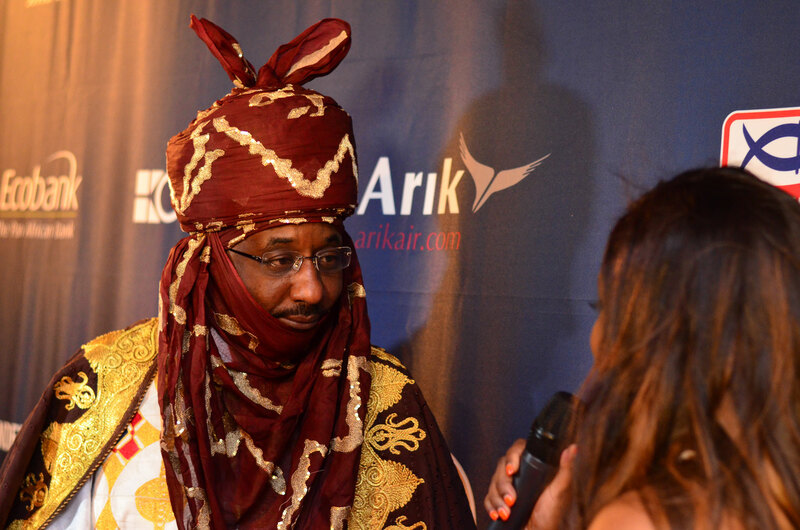 to crown the All Africa winners at an exclusive gala dinner. 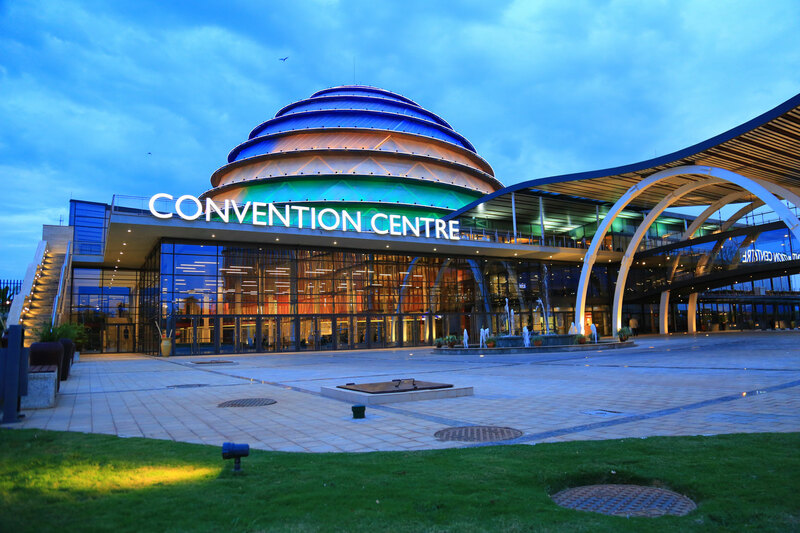 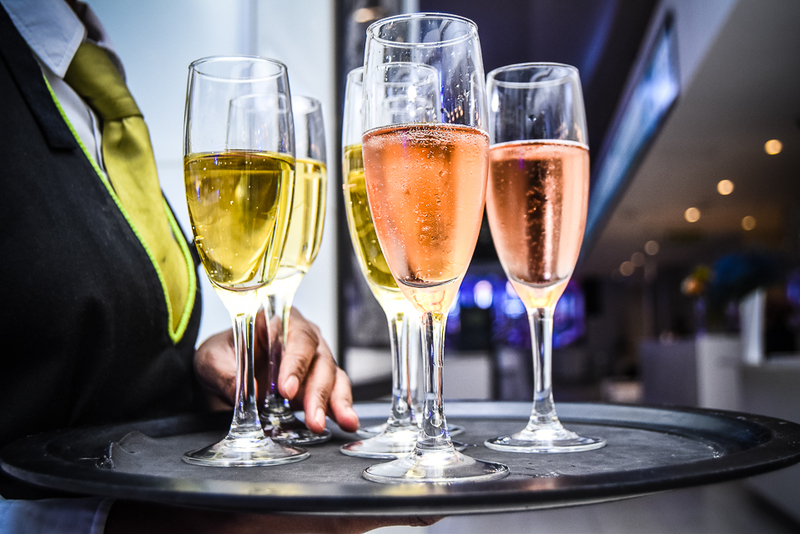 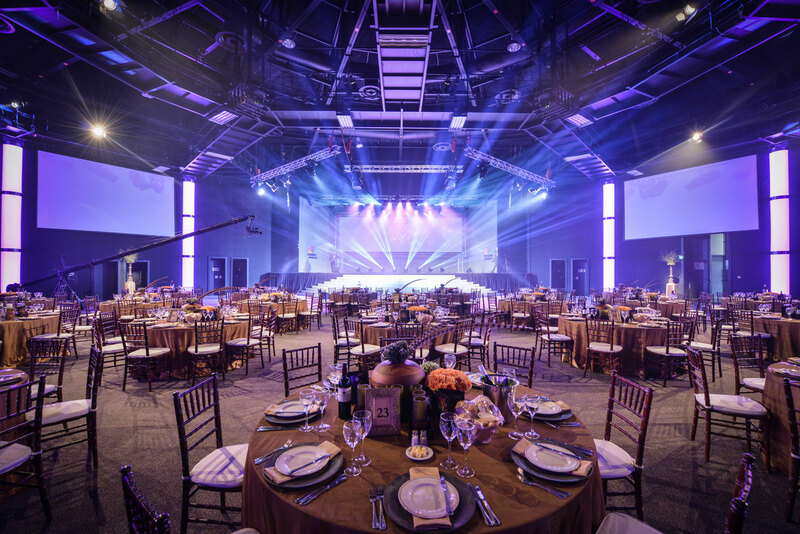 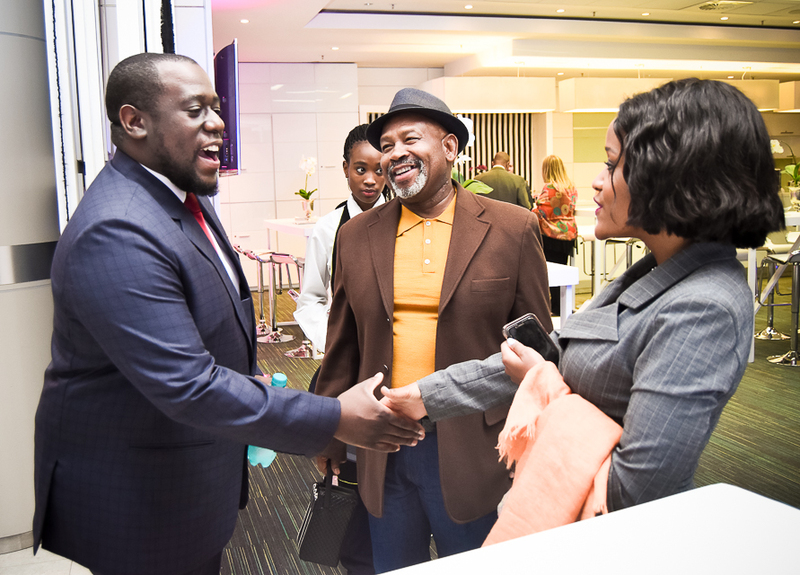 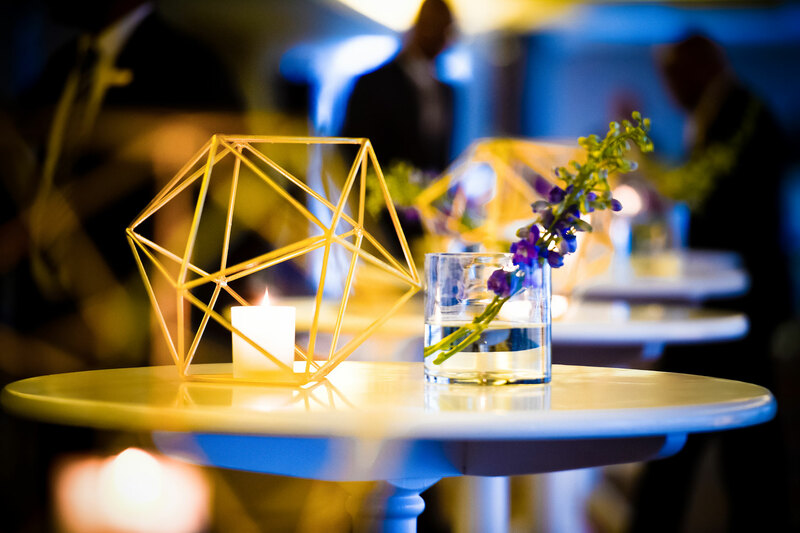 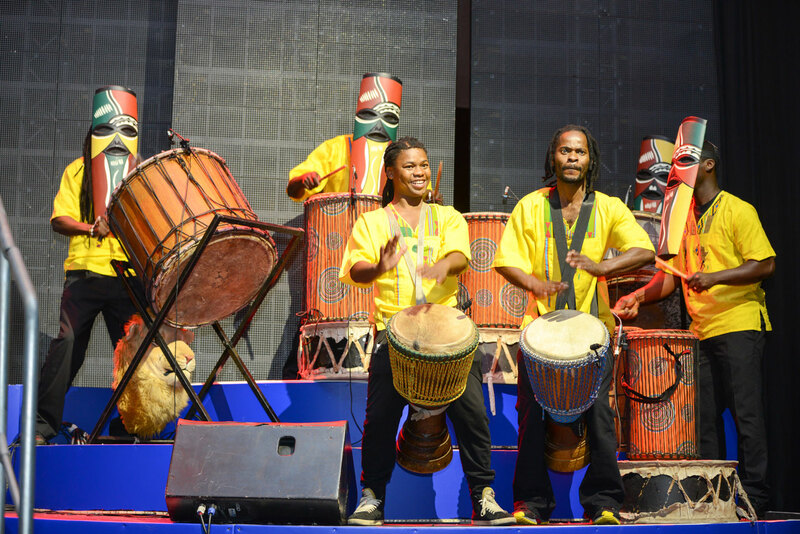 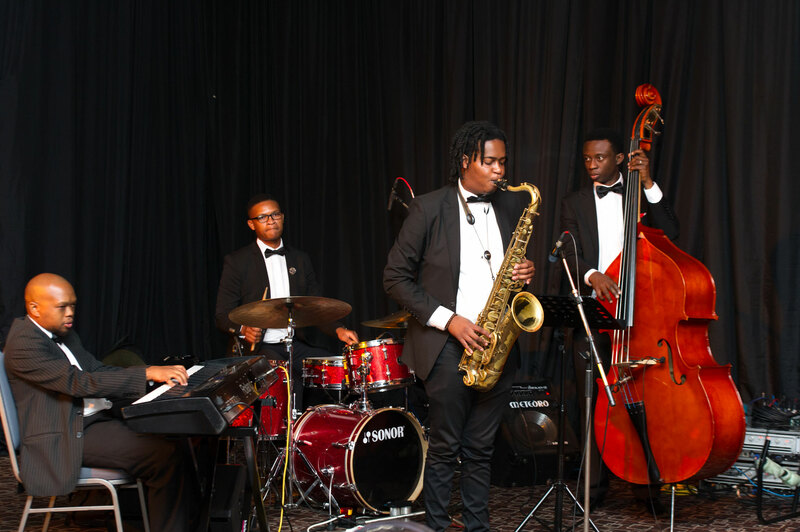 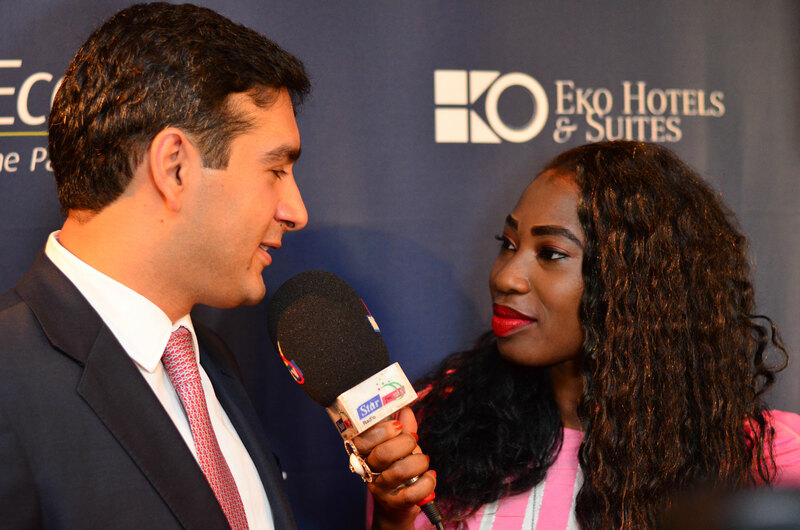 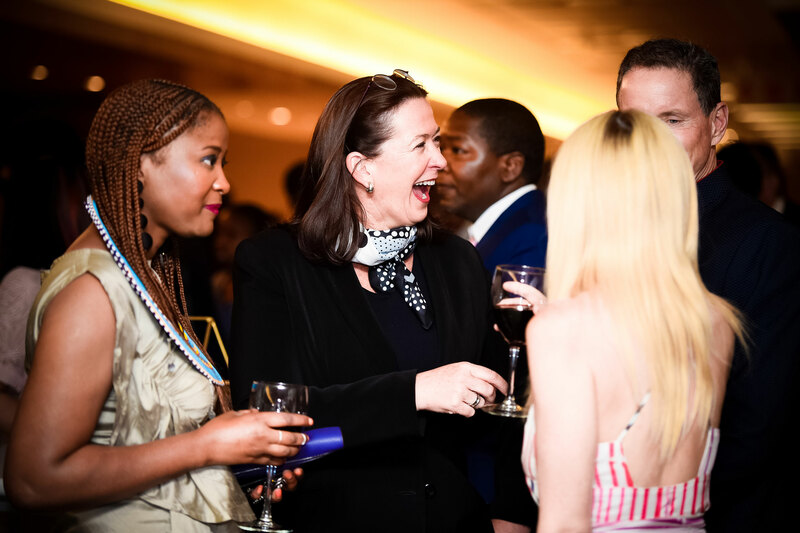 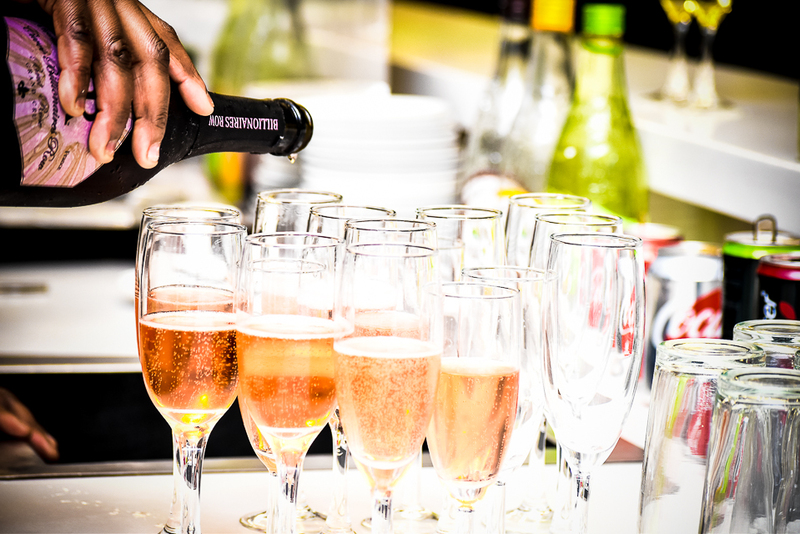 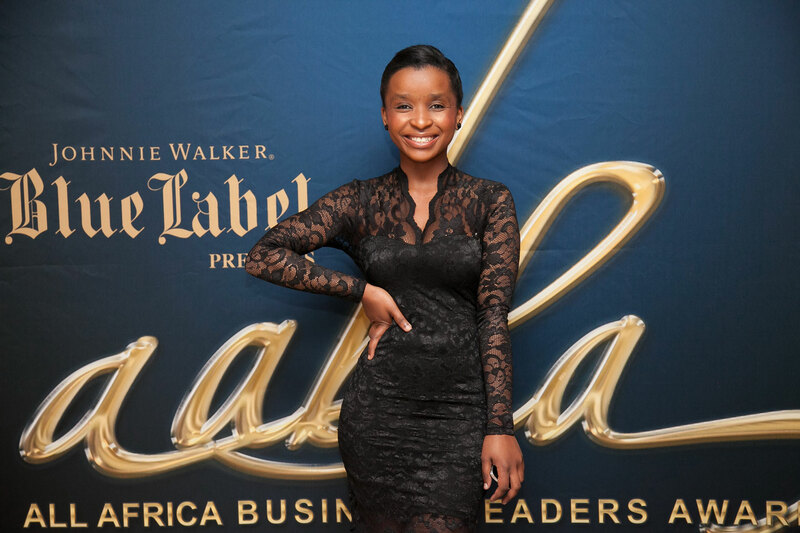 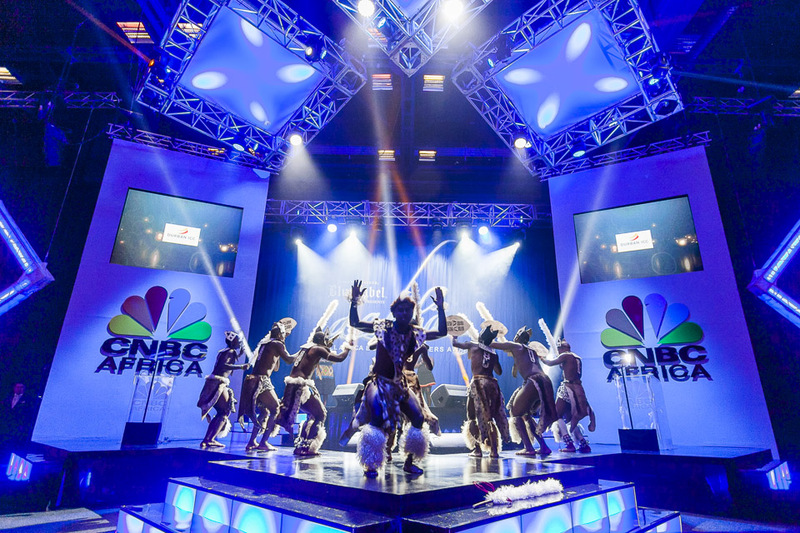 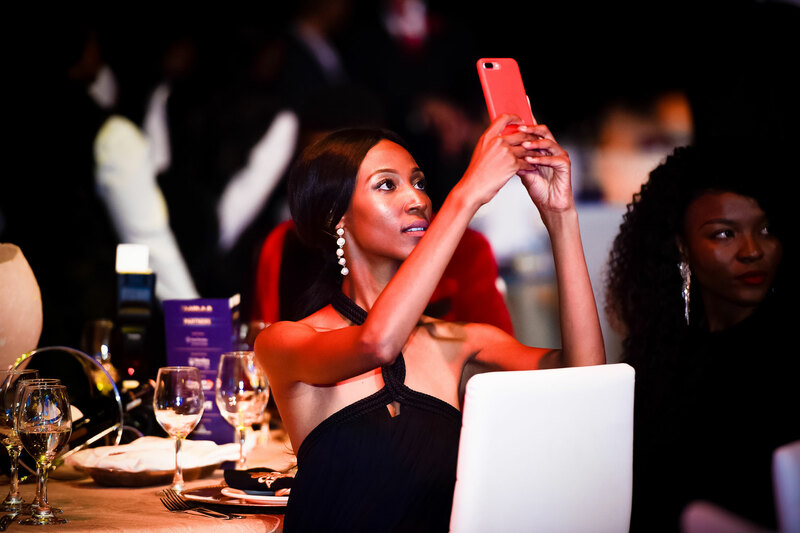 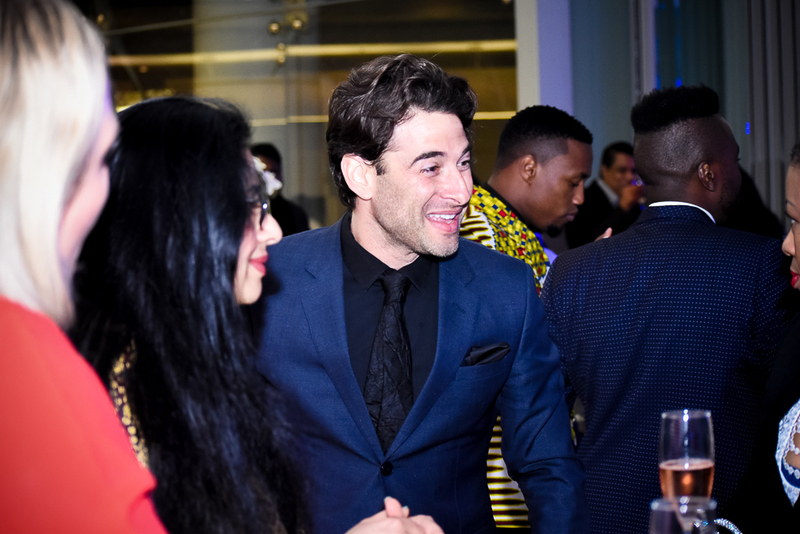 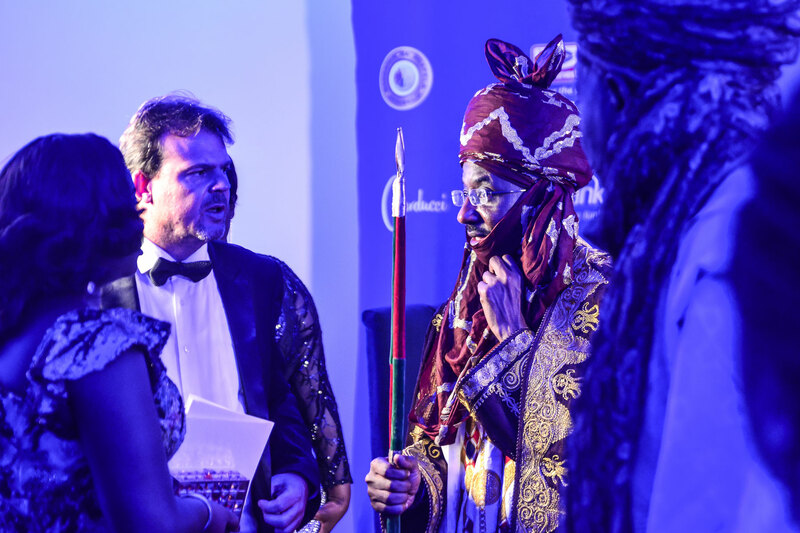 The invitation-only networking event will bring together members of the media c-suite executives and will feature a line-up of African entertainment. 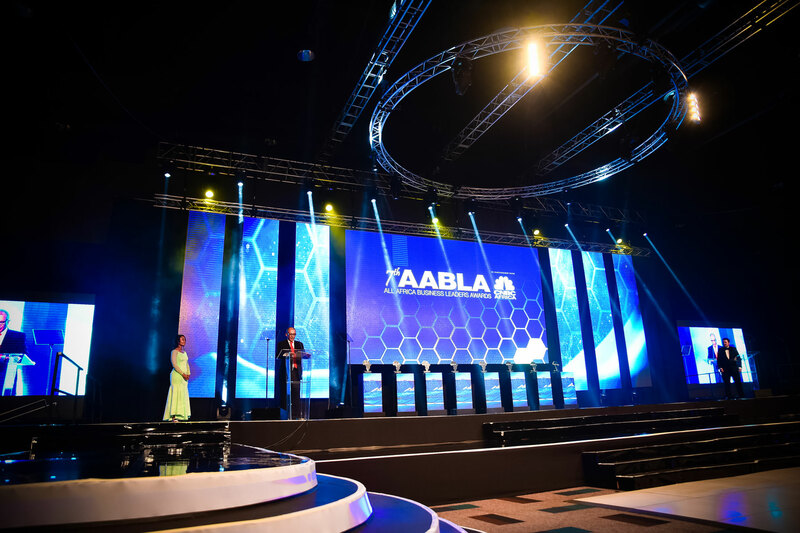 The “In Memoriam” segment is the most moving part of the AABLA™ Finale but is also the toughest to produce. 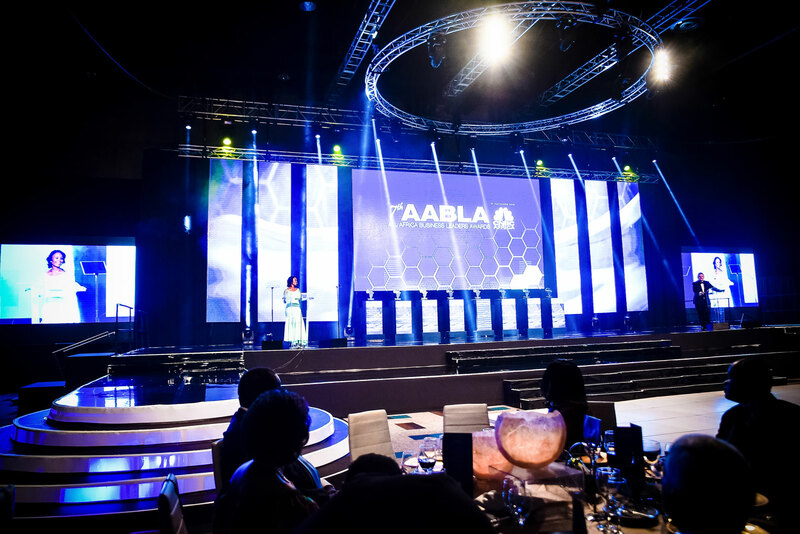 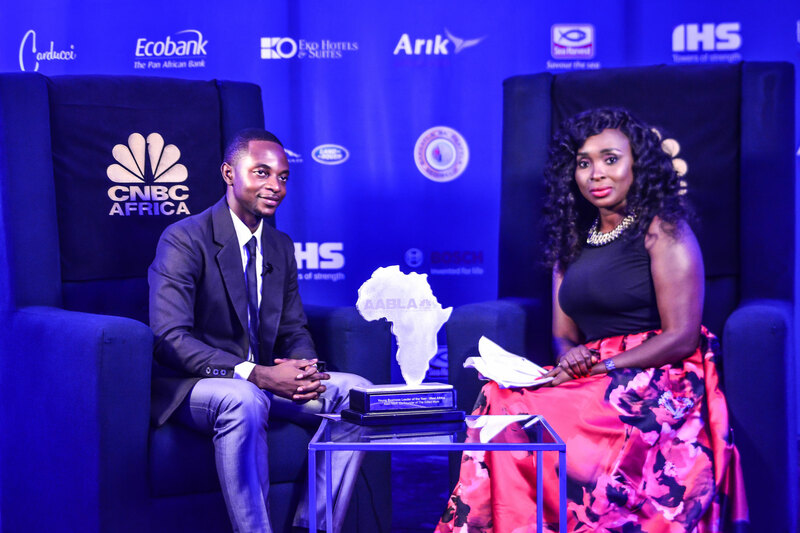 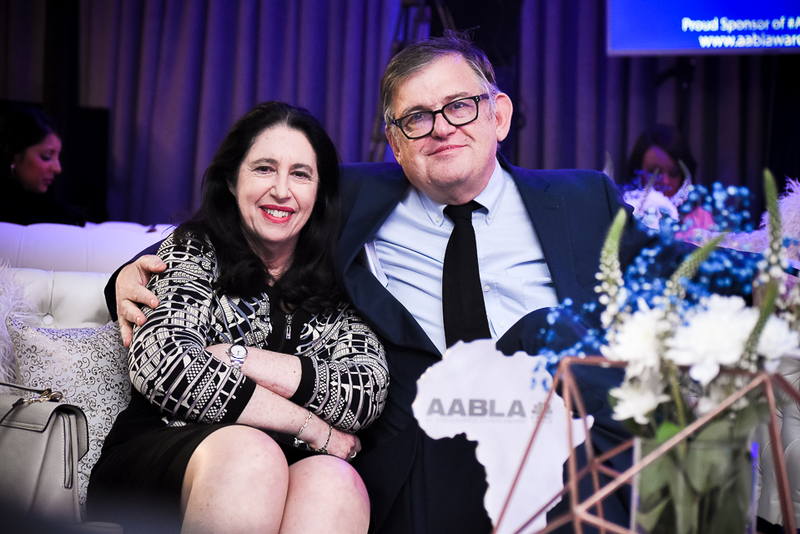 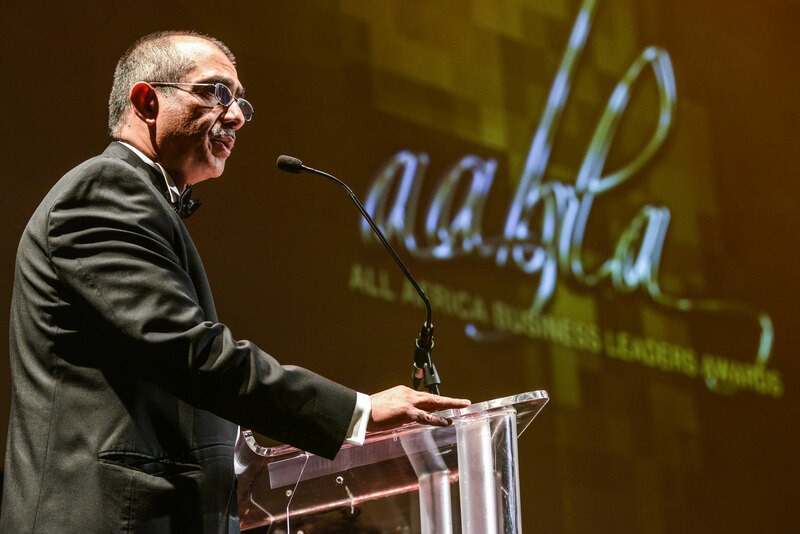 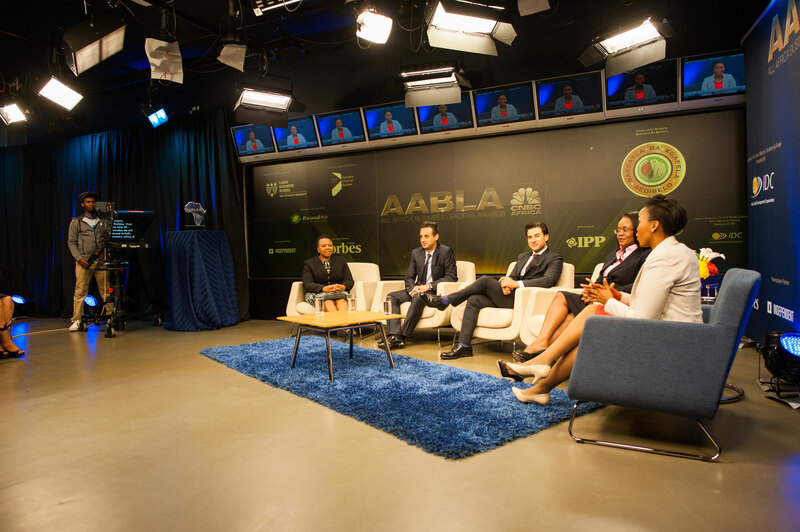 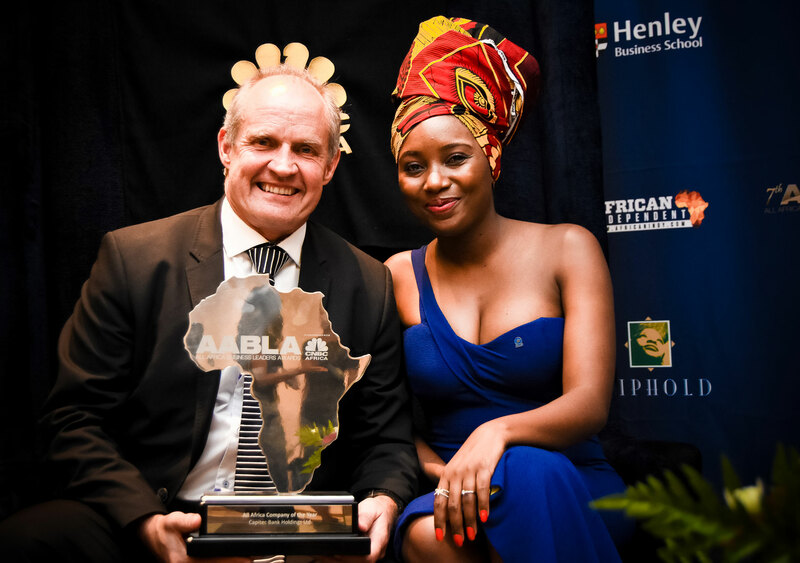 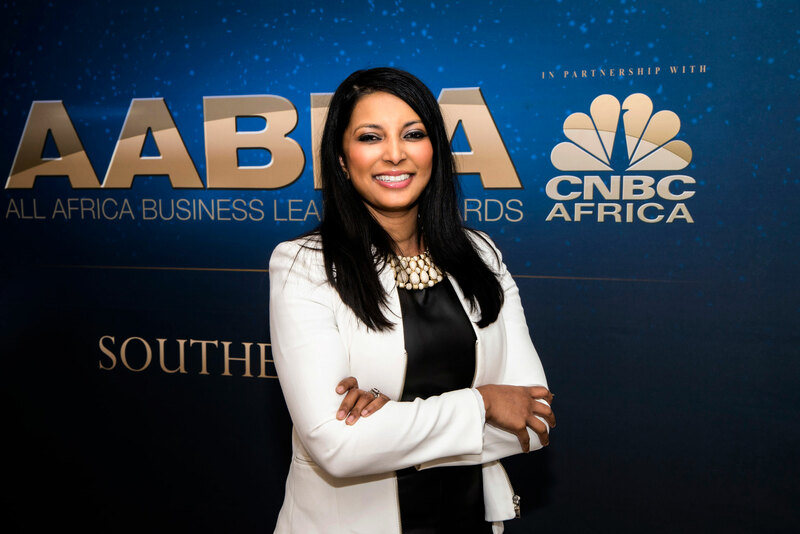 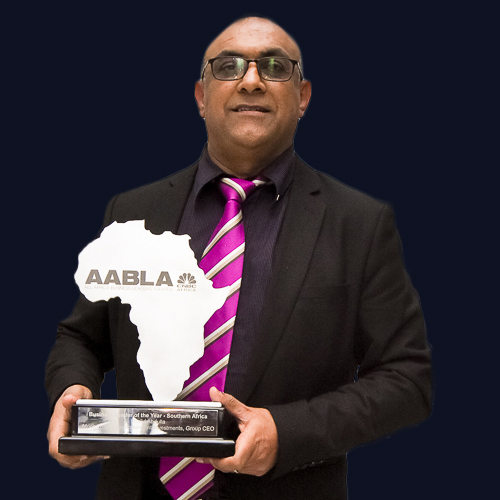 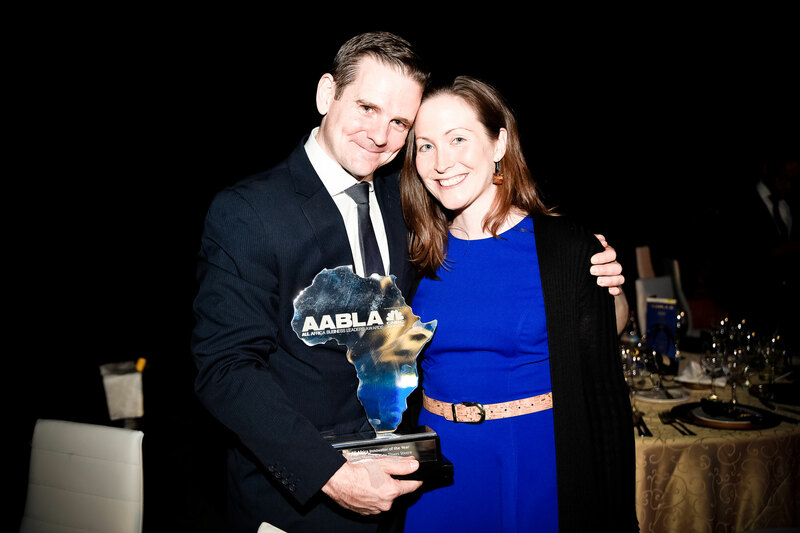 Business Leaders who would make it into the AABLA™ Finale “In Memoriam” segment, who have been from an African country and have been the Founder, Chairman or CEO of an organization that was notable in a country or multiple territories. 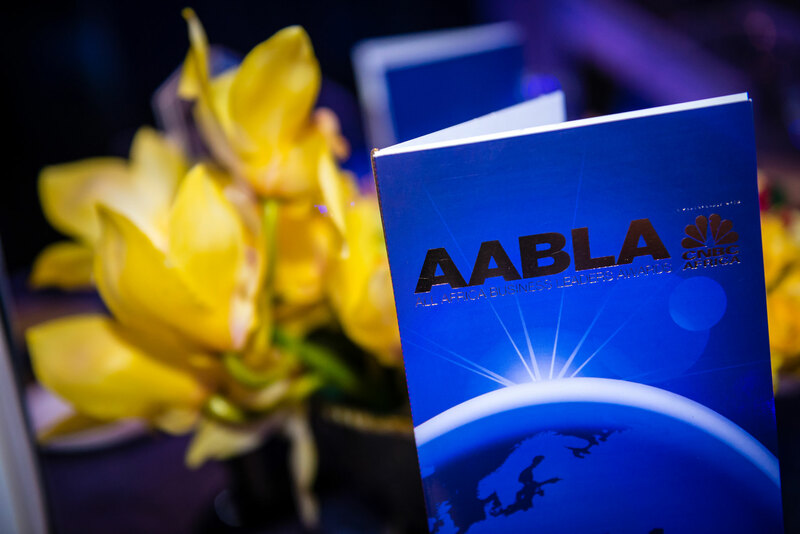 The AABLA™ welcomes submissions to the “In Memoriam” segment of the Finale. 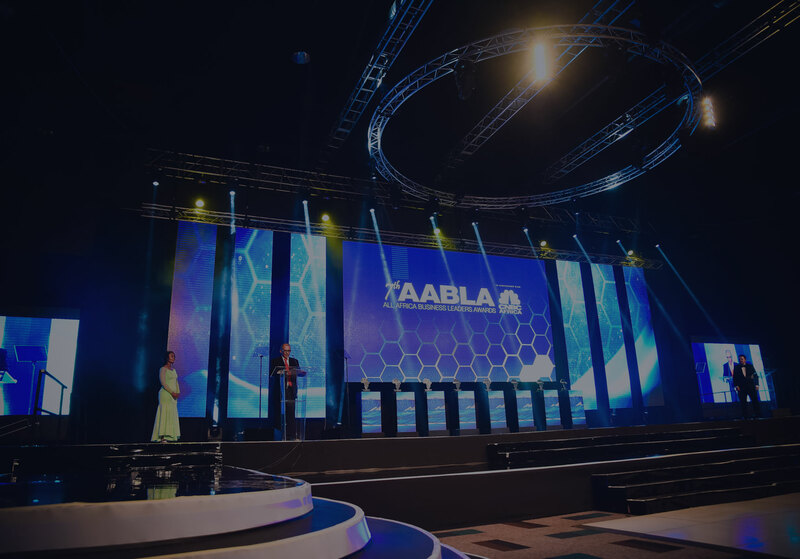 Please take a moment to fill out the form and one of the AABLA™ production team will contact you to assist you further with your submission. 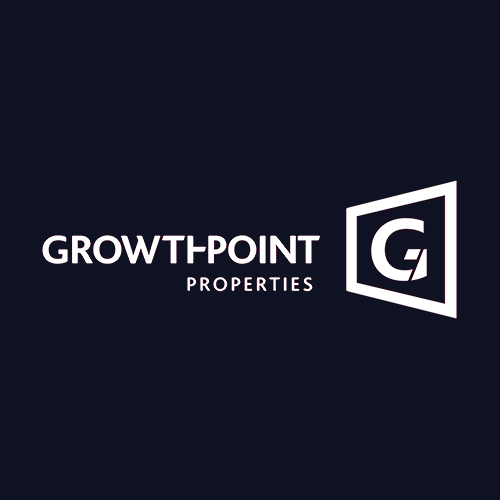 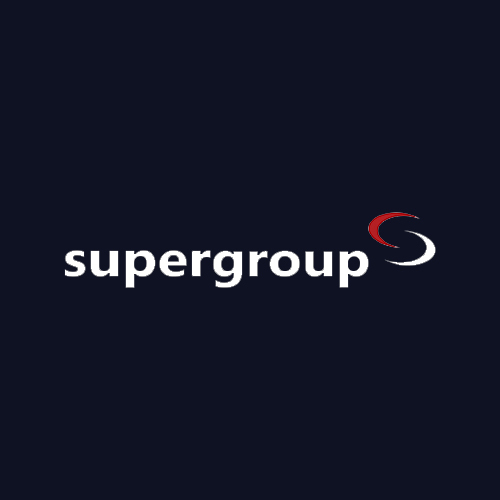 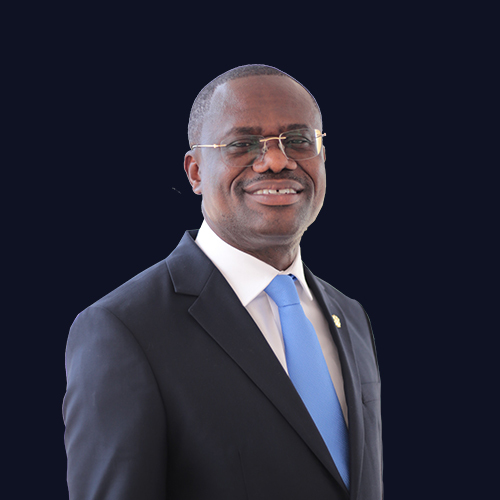 Group Managing Director, Afrinvest (West Africa) Limited. 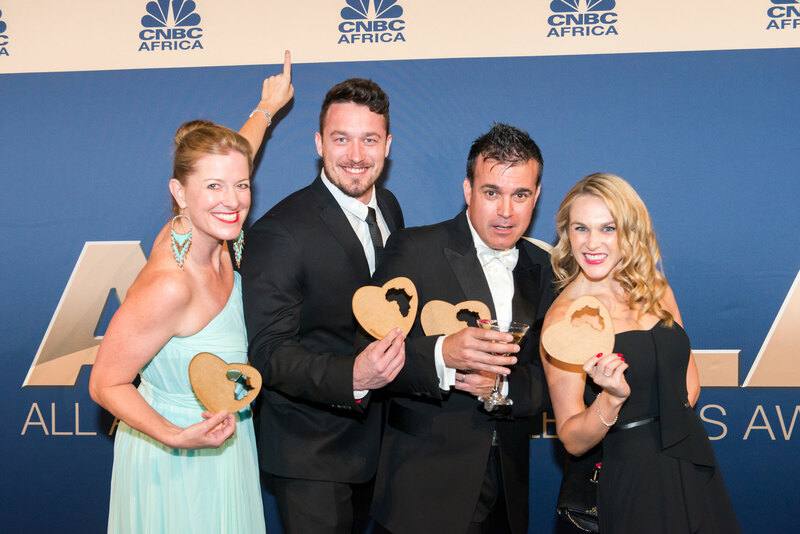 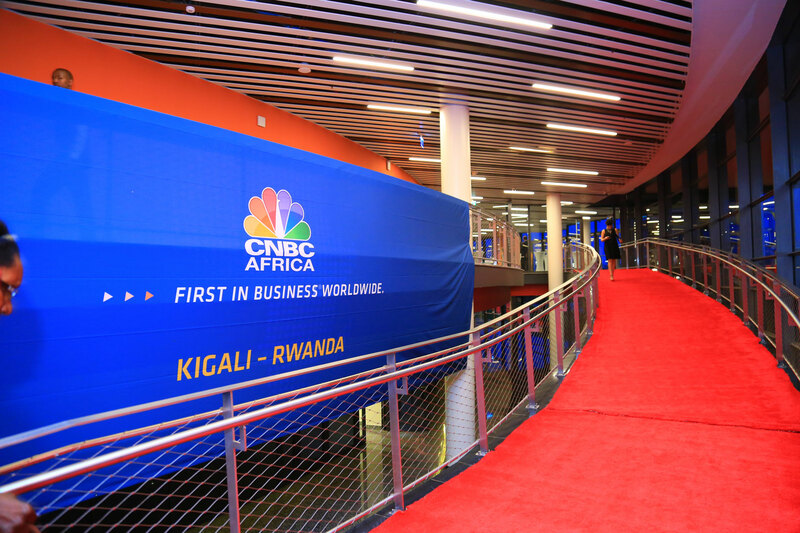 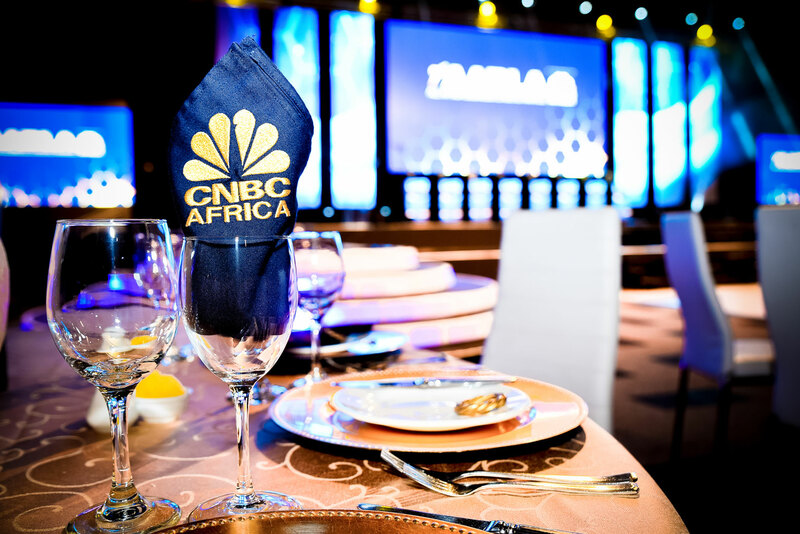 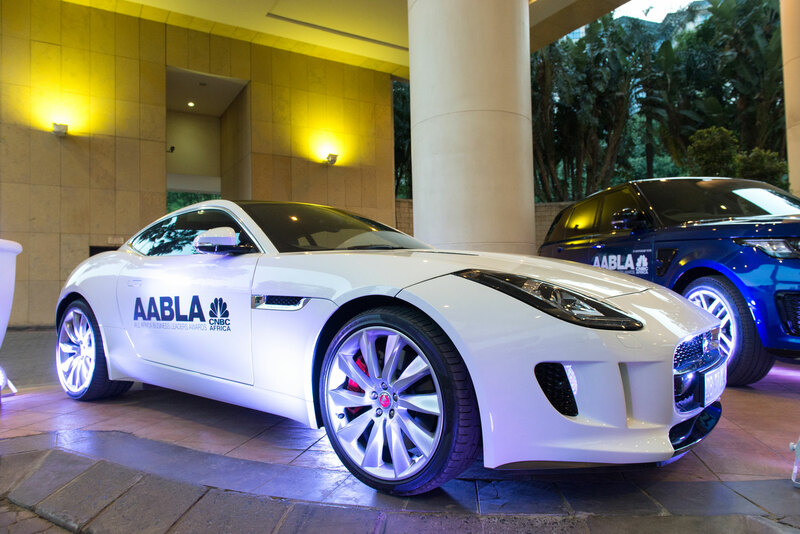 CNBC AFRICA, 4th floor, West Tower, Sandown Mews, 88 Stella Street, Sandton. 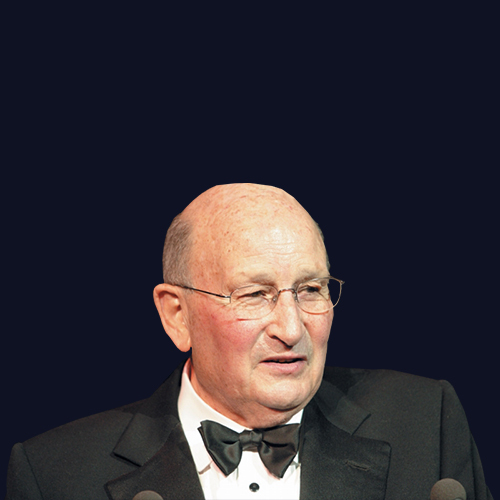 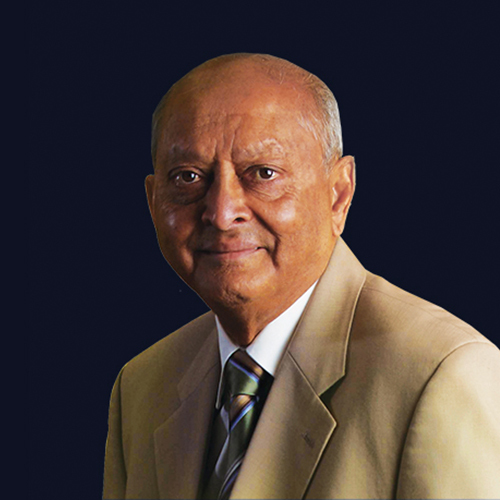 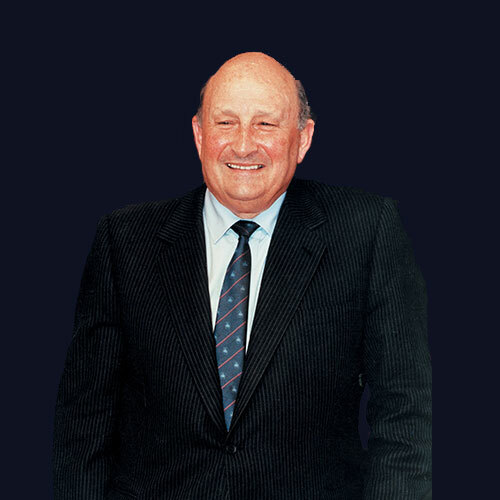 Sam is one of the founding Non-Executive Directors of the ABN 360 Group. 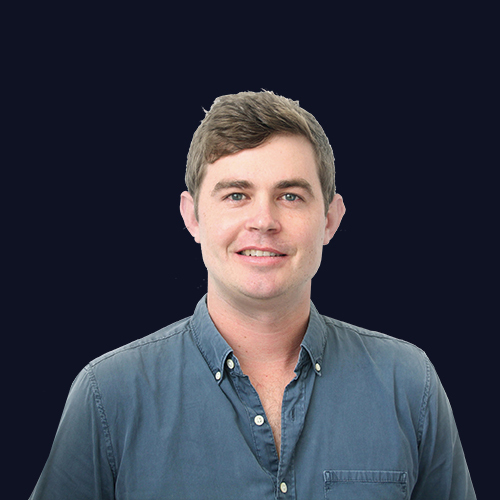 Sam started his career as a teacher of Economics and Business Economics. 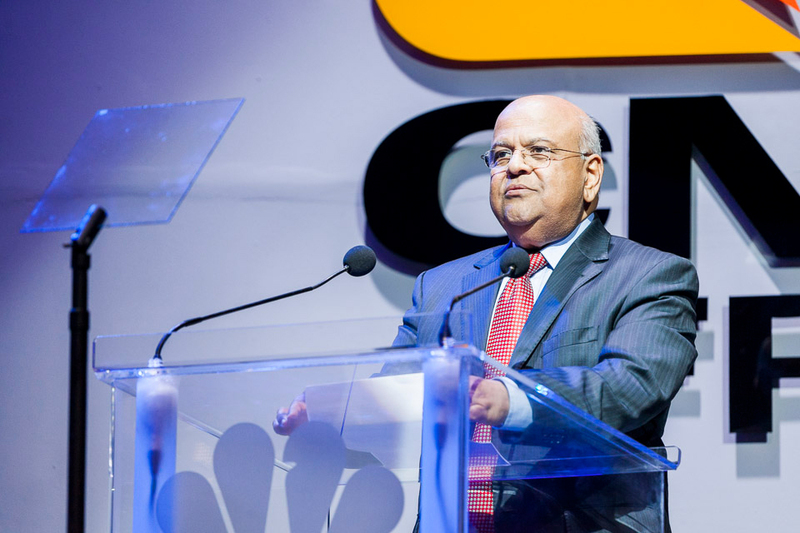 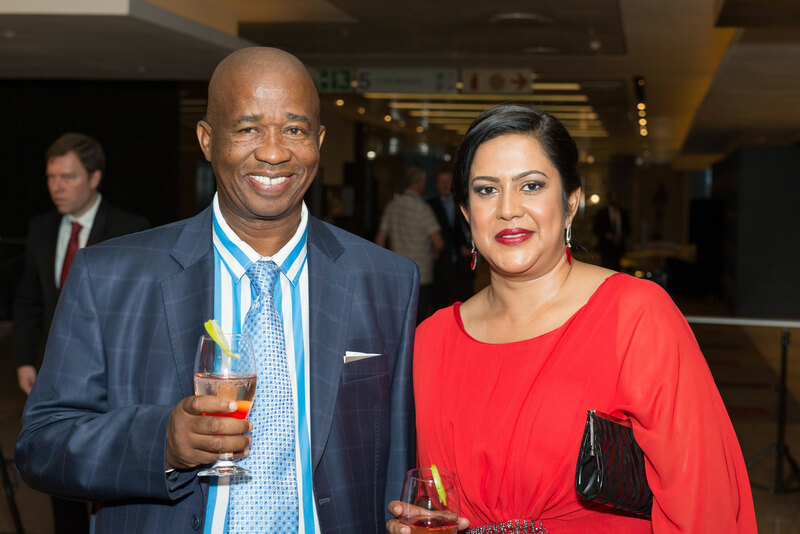 He ended being the Managing Executive of Nedbank charged with the responsibilities of managing all businesses in the continent outside of South Africa. 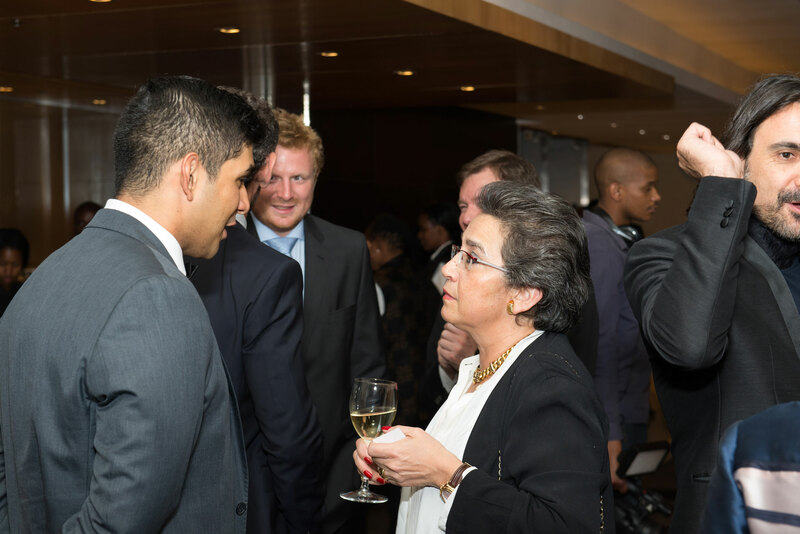 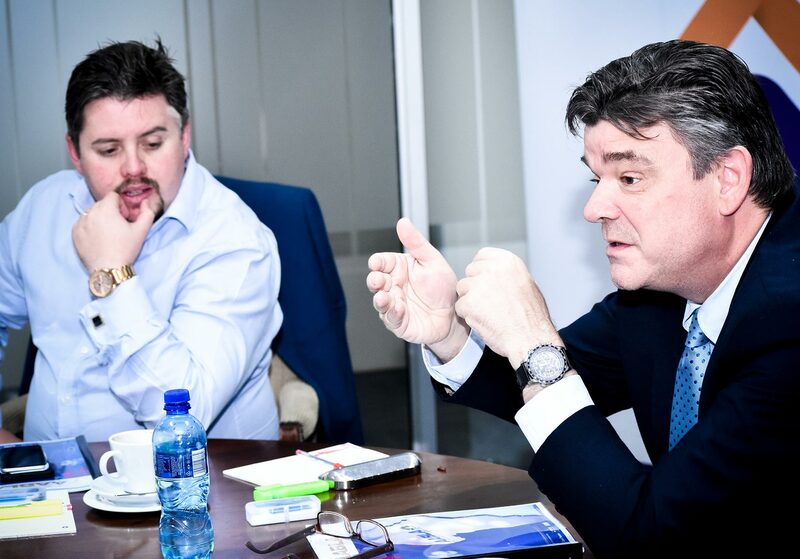 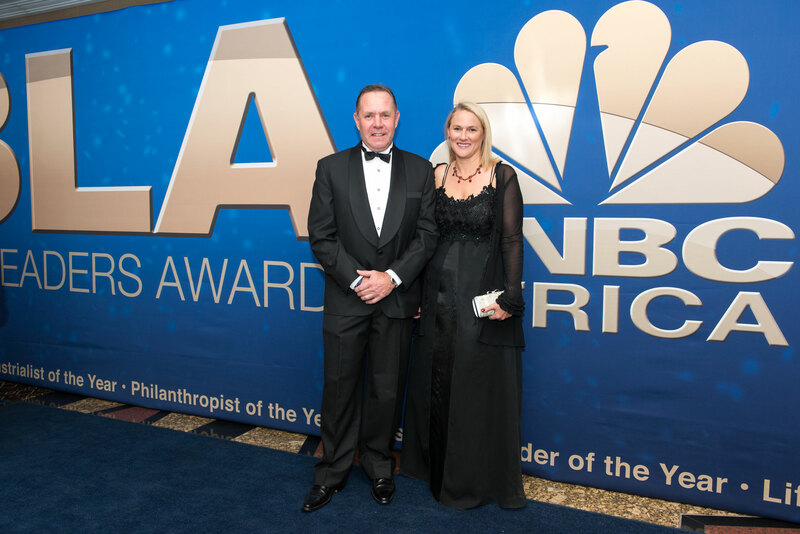 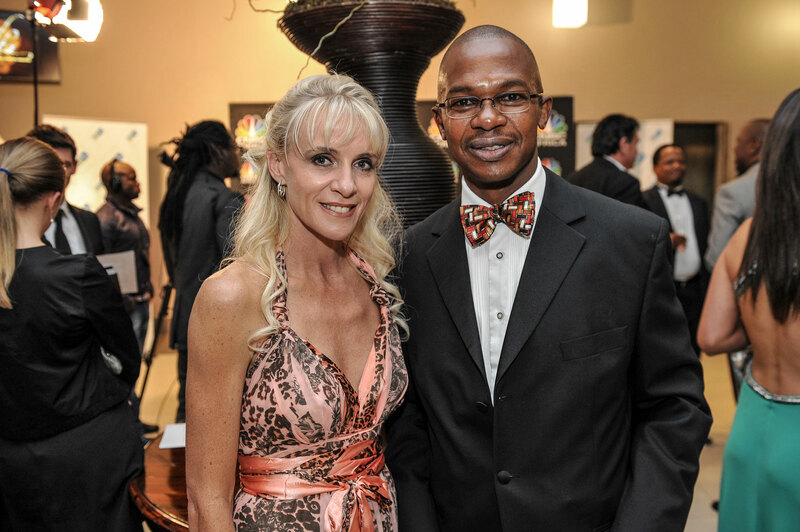 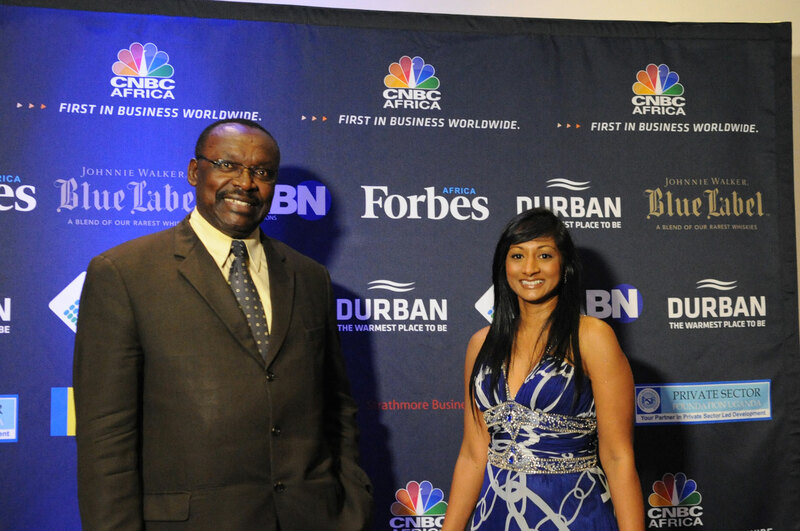 Before that, Sam looked after the public sector banking and the strategy portfolio of Nedbank Corporate. 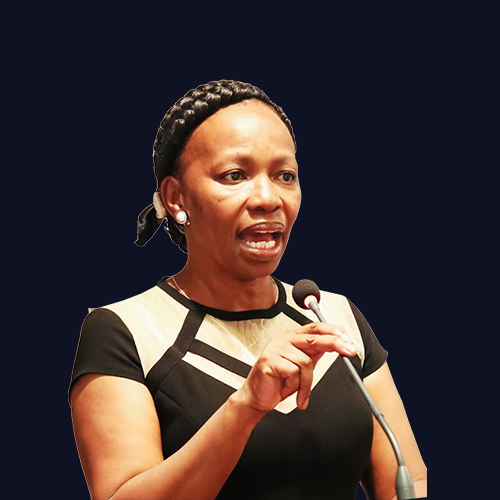 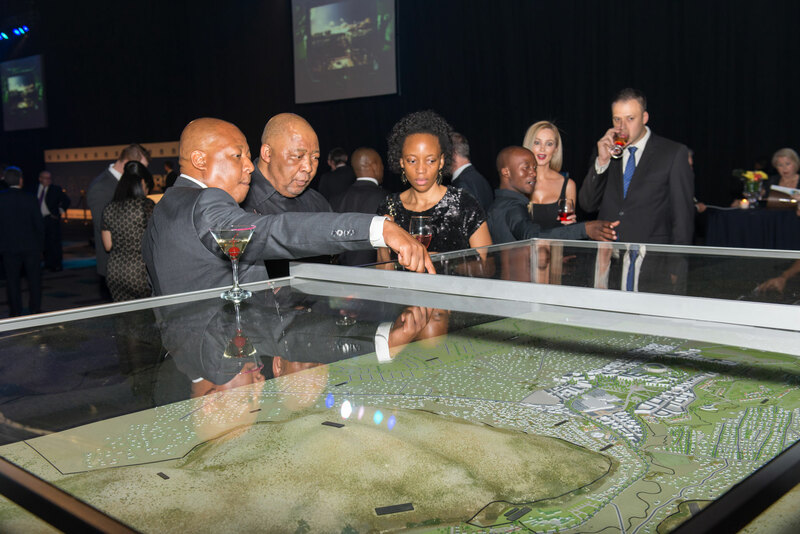 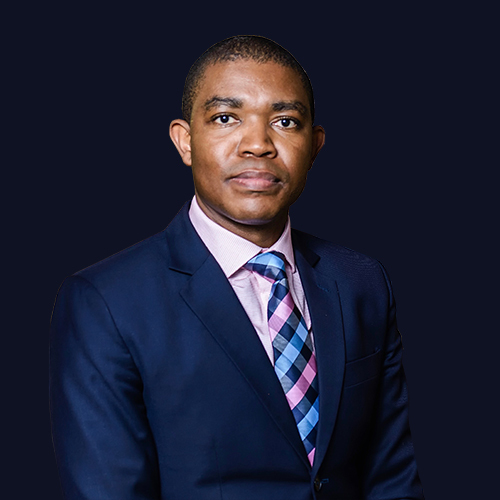 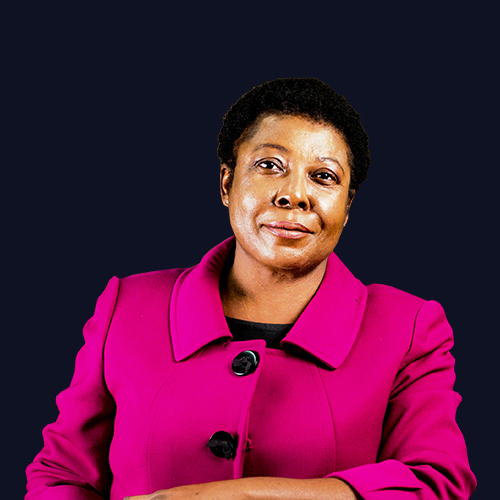 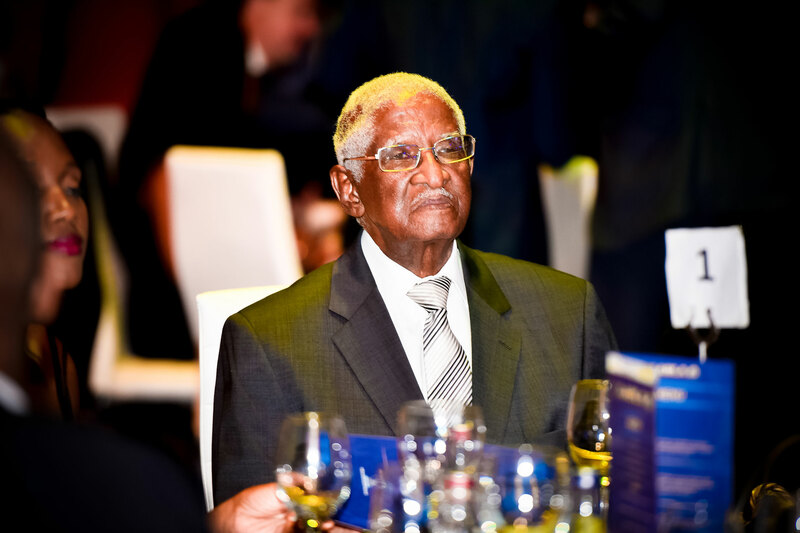 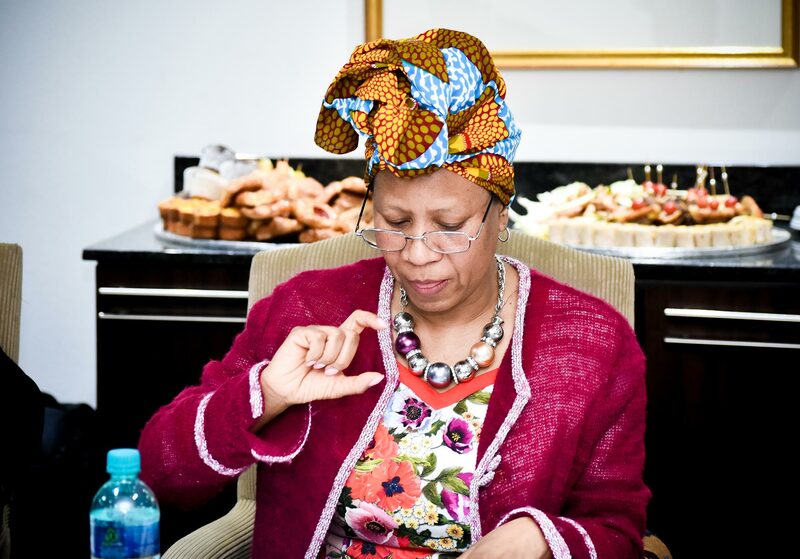 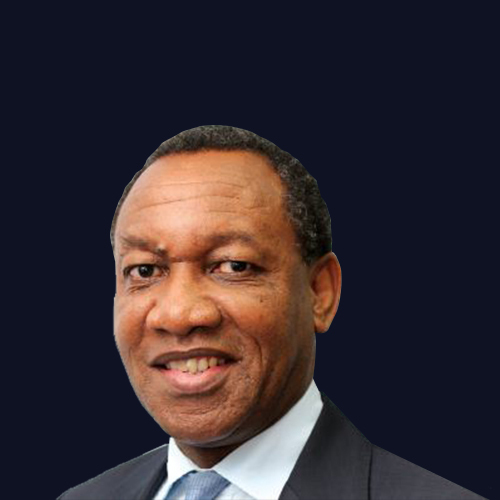 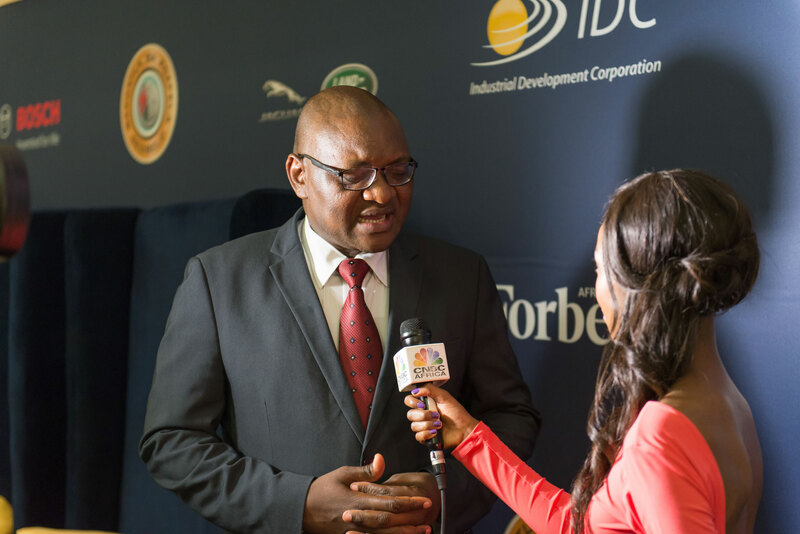 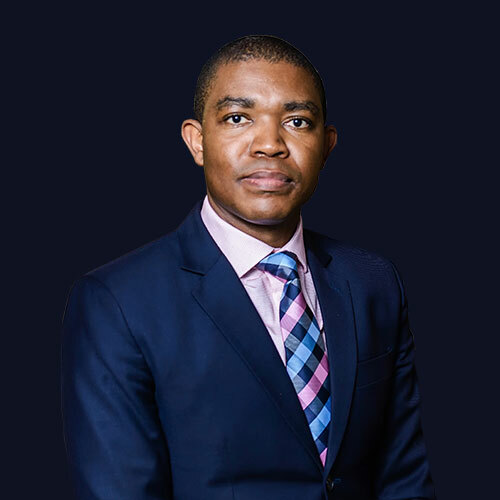 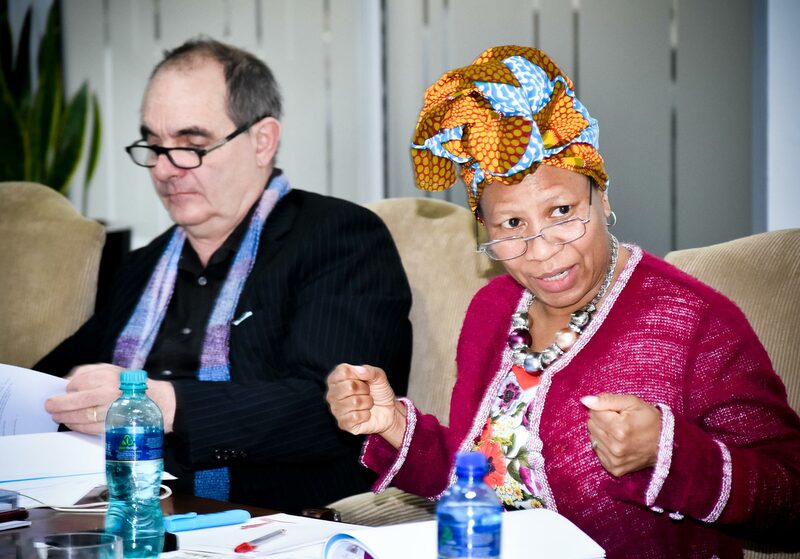 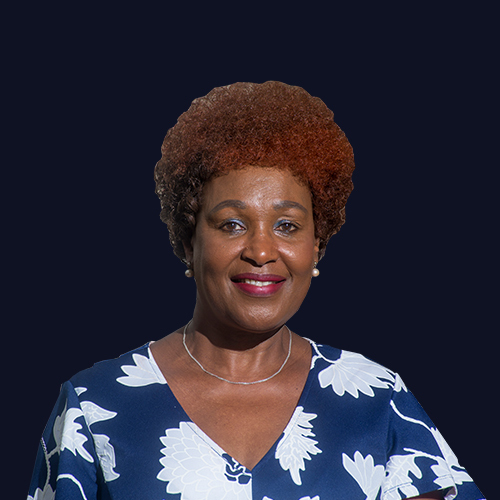 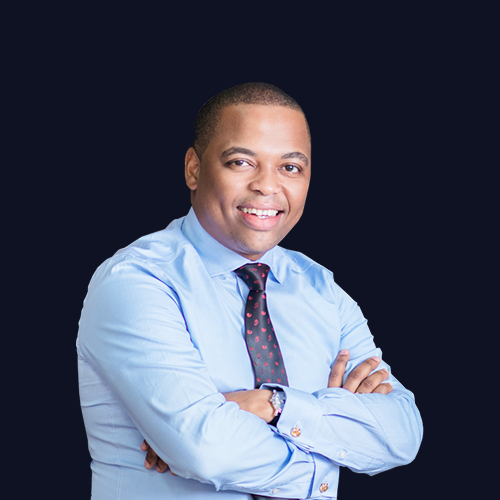 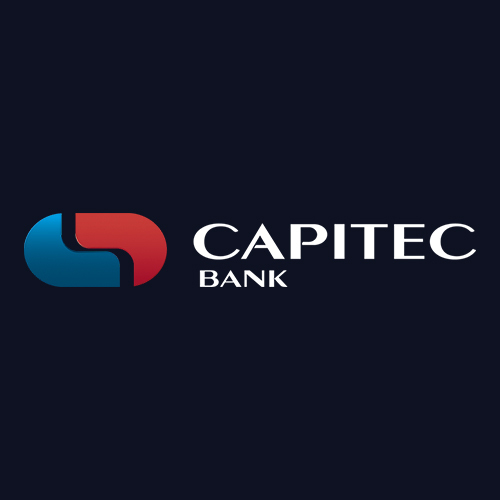 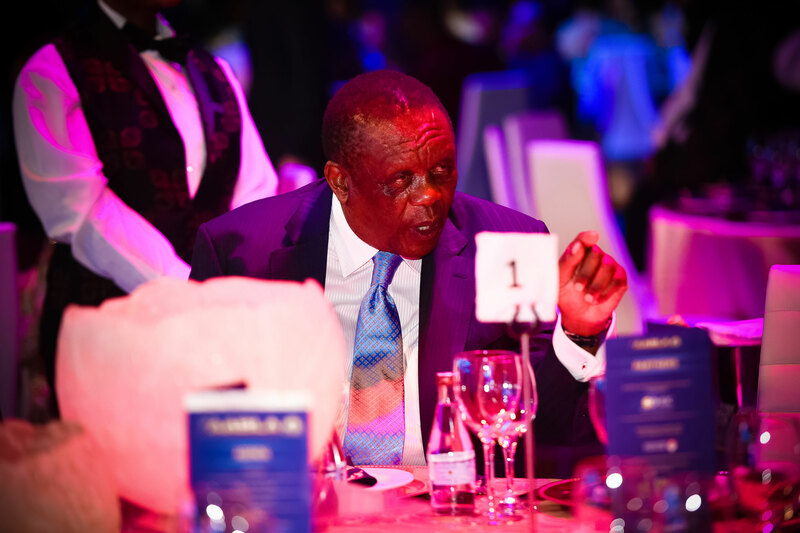 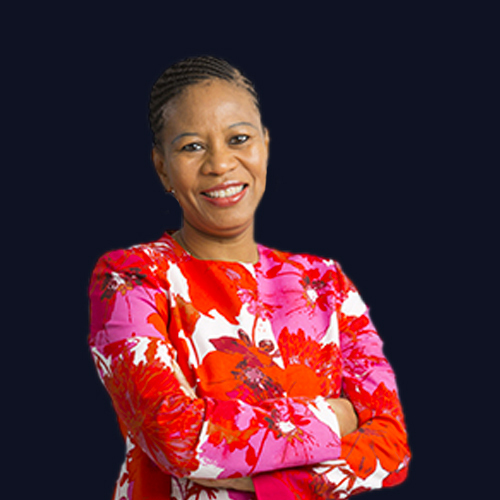 Before joining the bank, Sam was the Executive Vice President at the Industrial Development Corporation of South Africa, responsible for investment and facilities into the services-based industrial sectors. 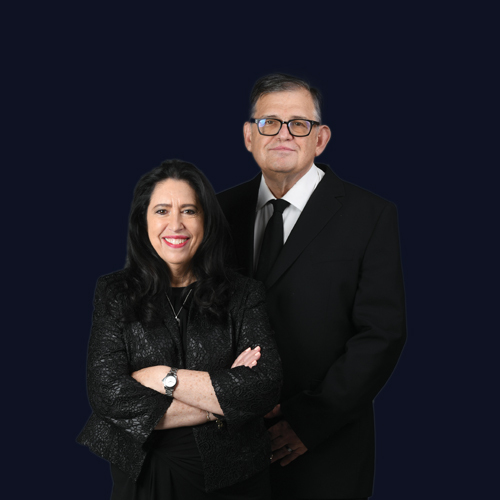 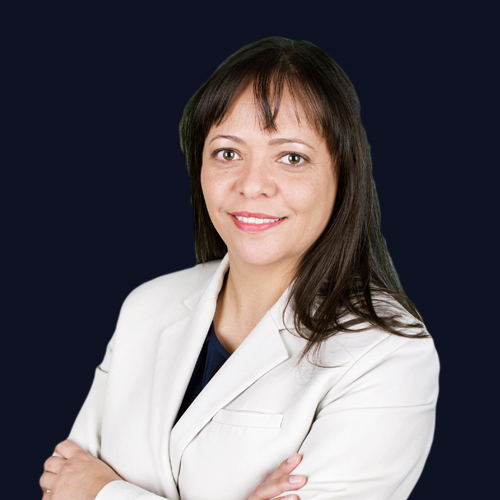 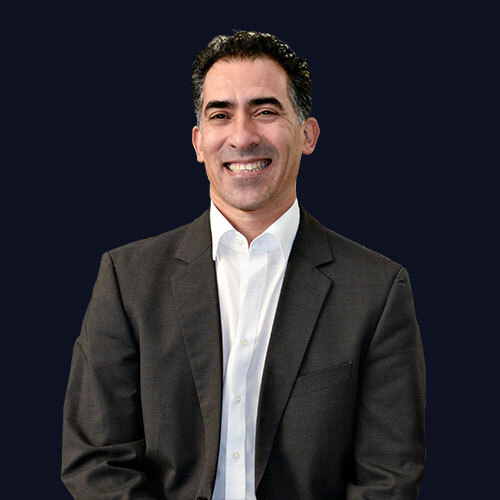 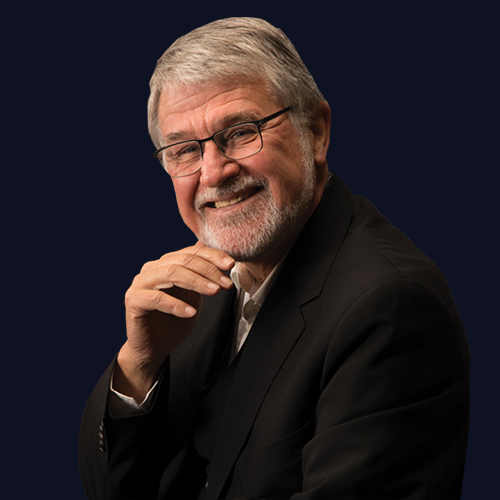 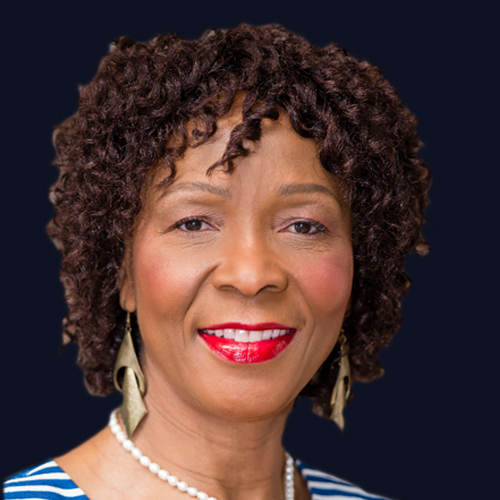 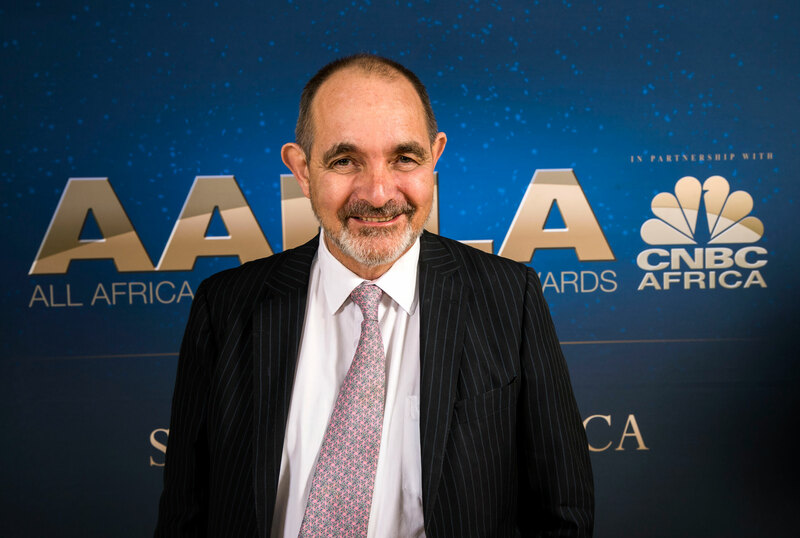 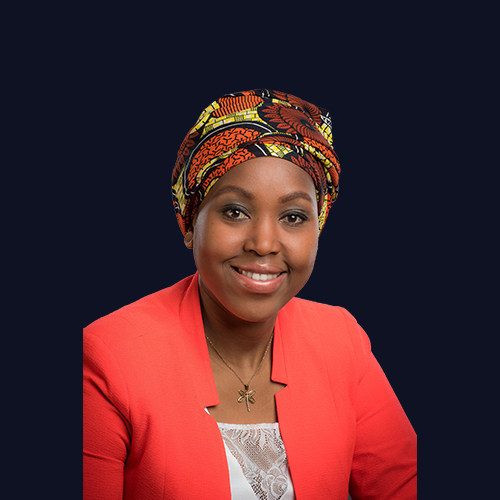 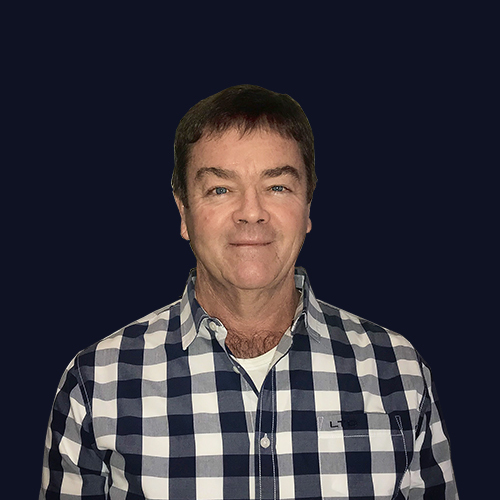 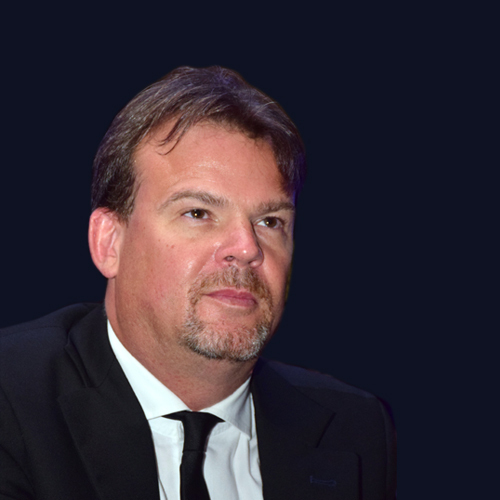 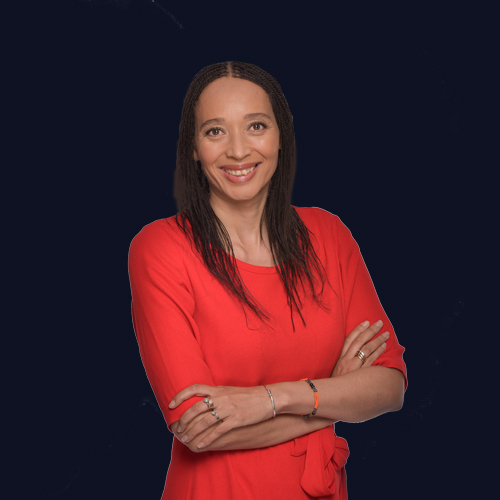 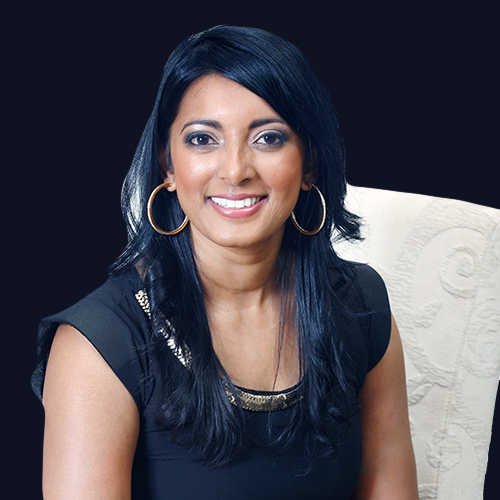 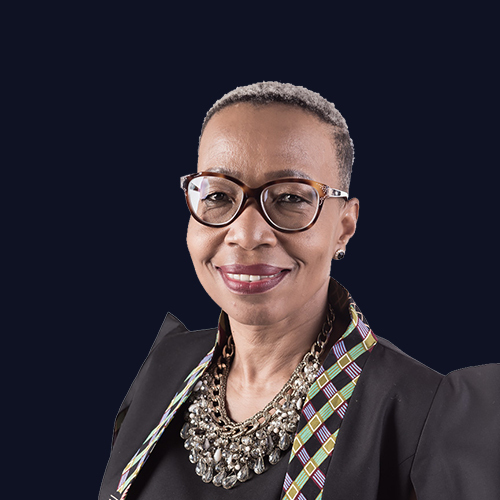 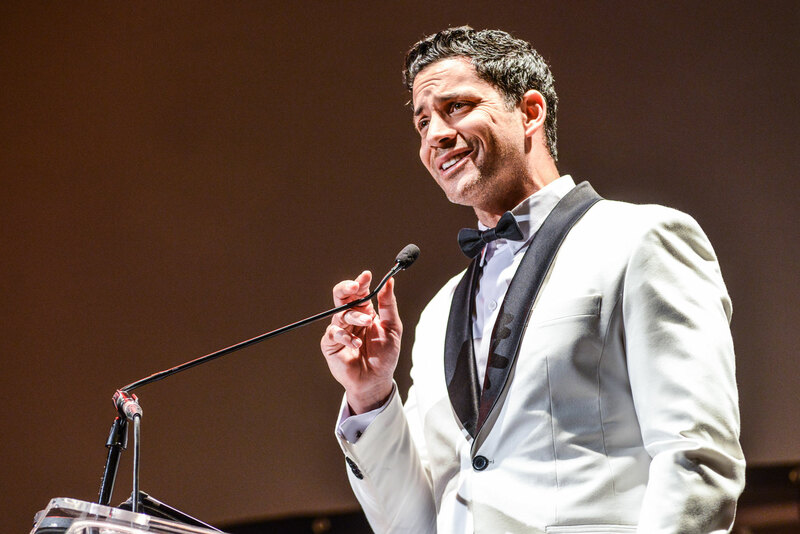 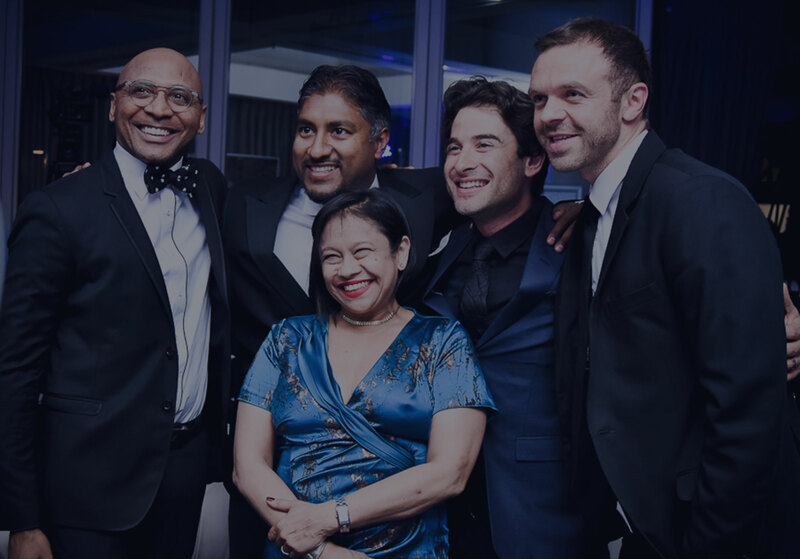 Sam has been a Non-Executive Director in numerous entities including Kimberly Clark South Africa, Hans Merensky, Nedbank Foundation and National Film & Video Foundation of South Africa. 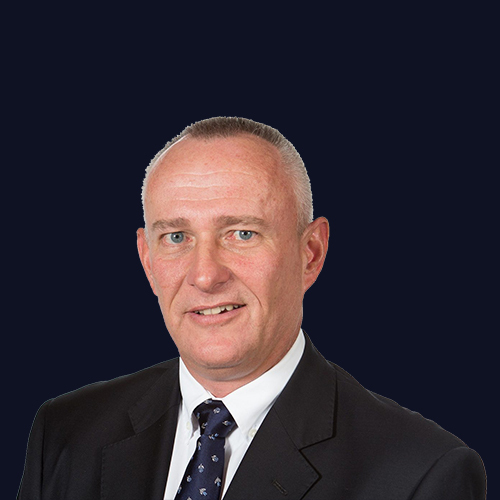 He is currently a director at the St Davids Marist College in Inanda, Sandton. 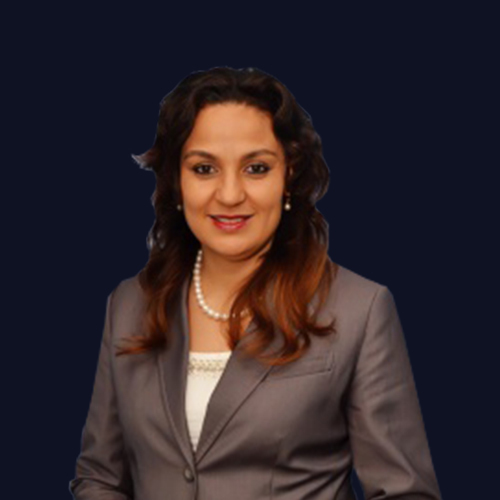 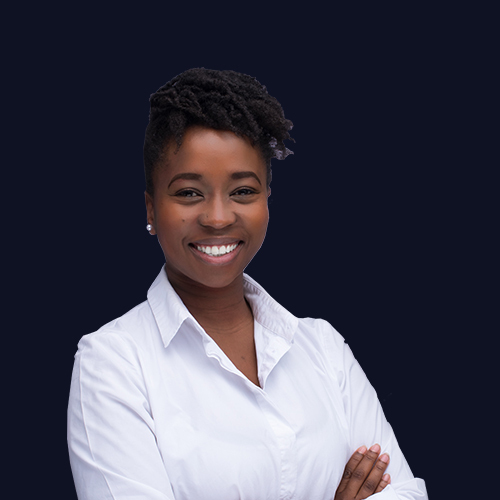 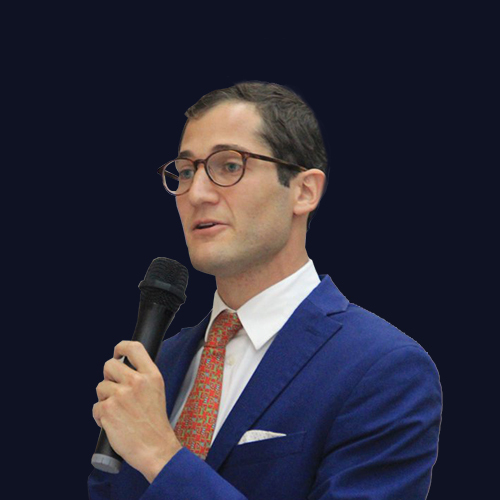 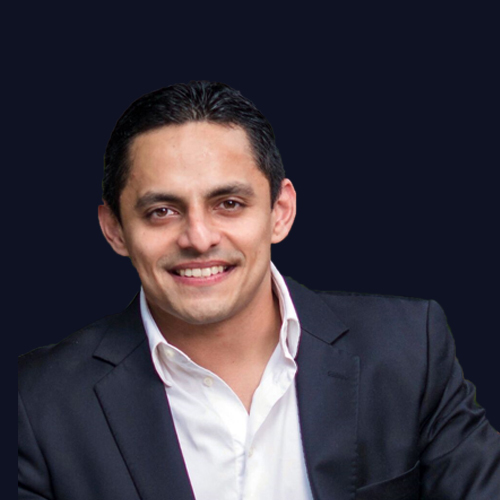 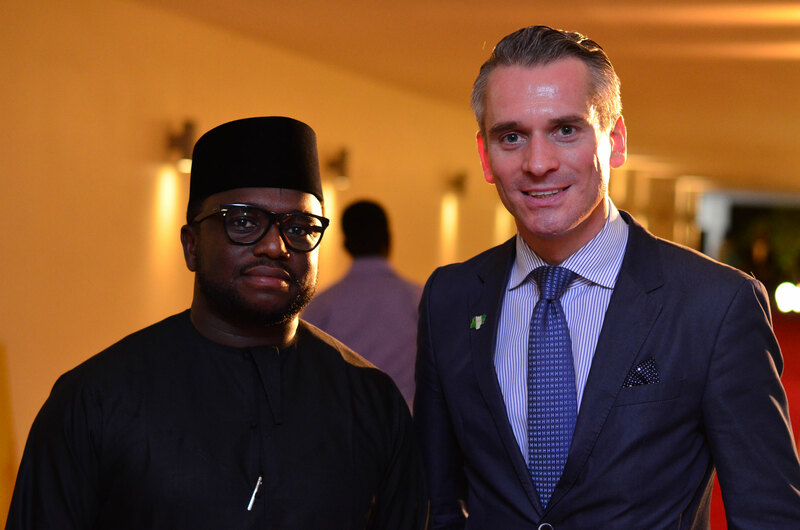 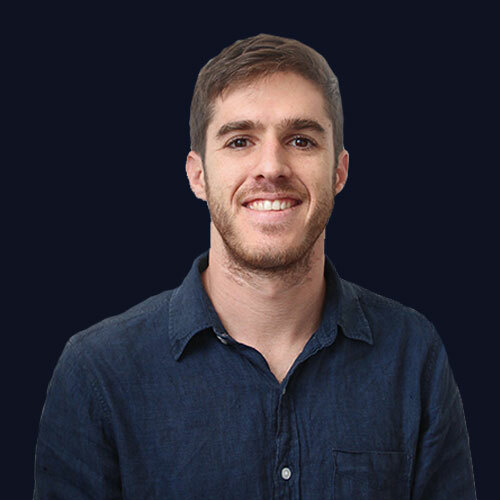 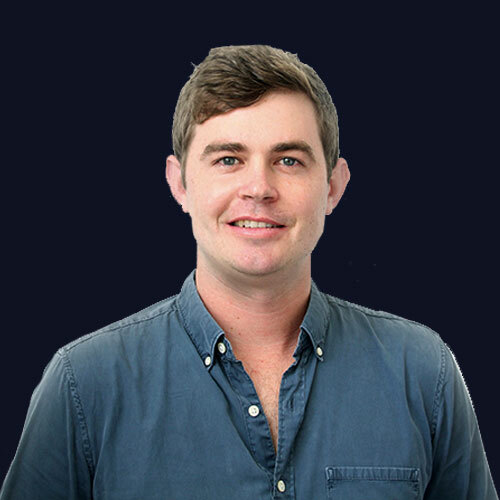 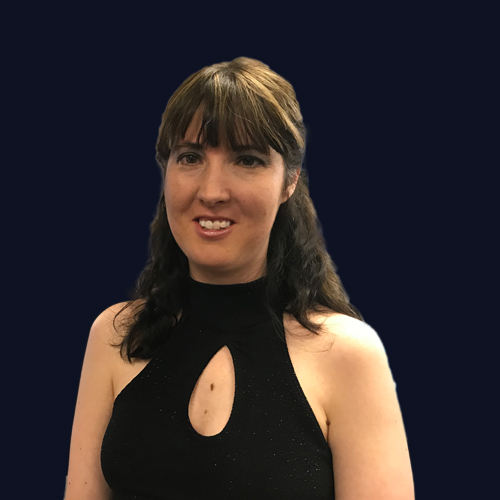 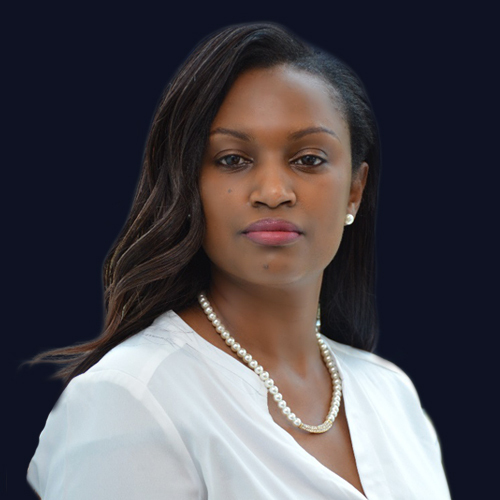 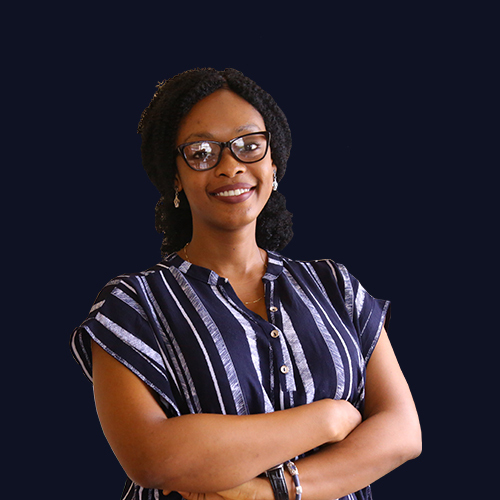 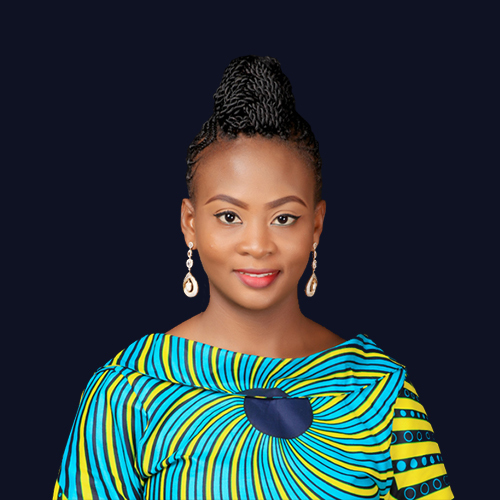 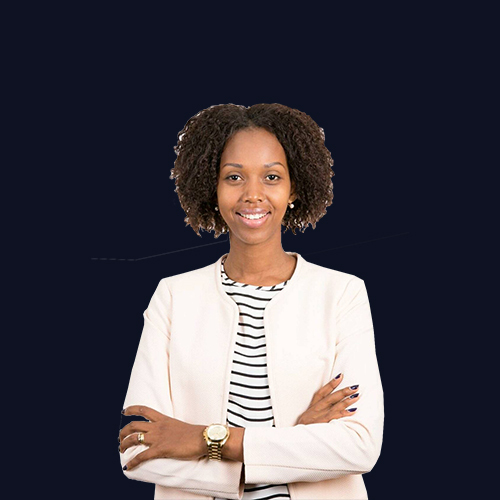 Sam is qualified with Honours in Economics, an MBA in Finance from Maastricht School of Management (Netherlands), Strategic Management in Banking from INSEAD (France) and an Advanced Management Program from Duke University (USA). 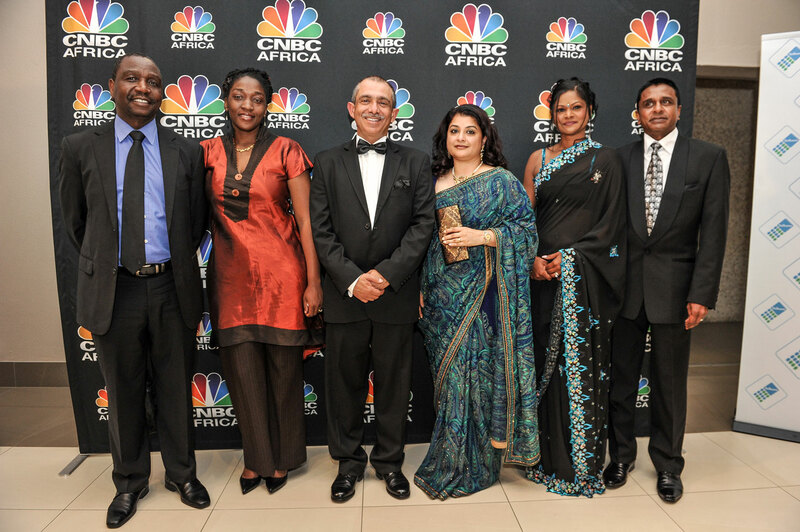 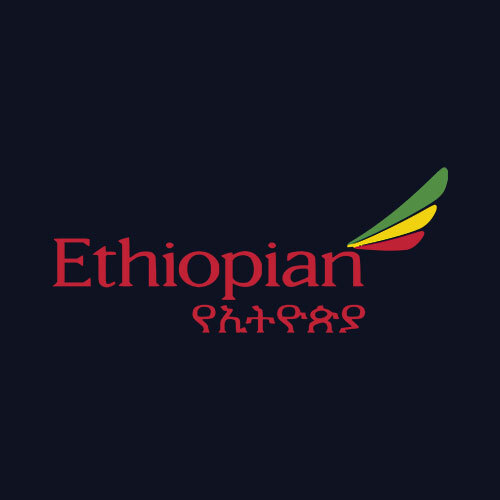 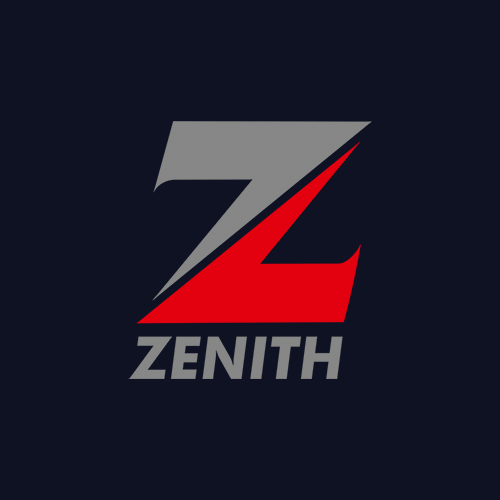 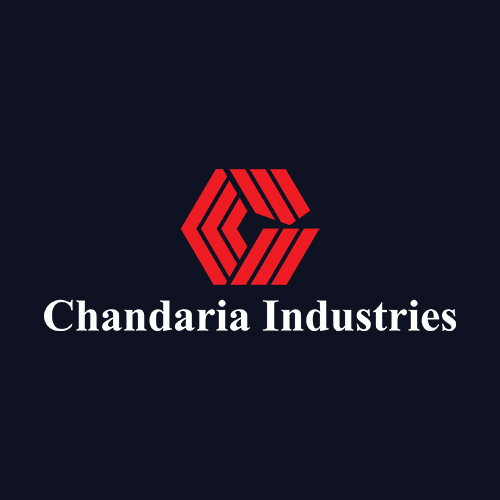 infrastructure development company that operates on the African continent. 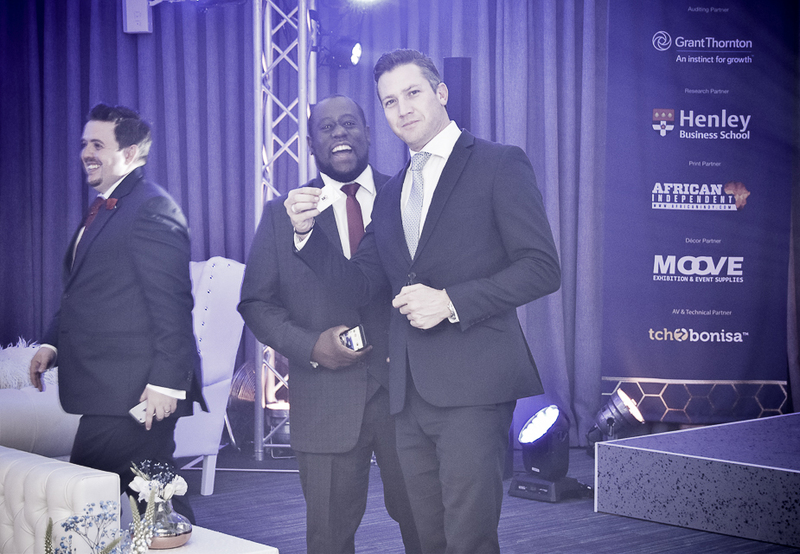 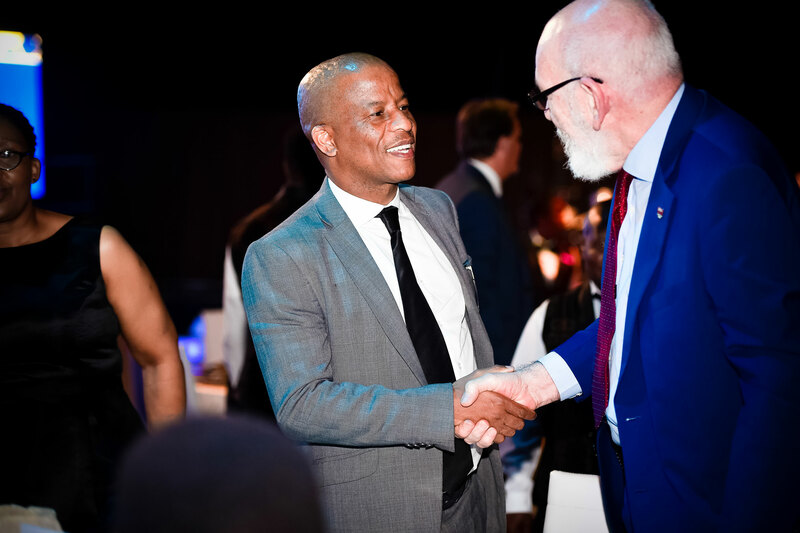 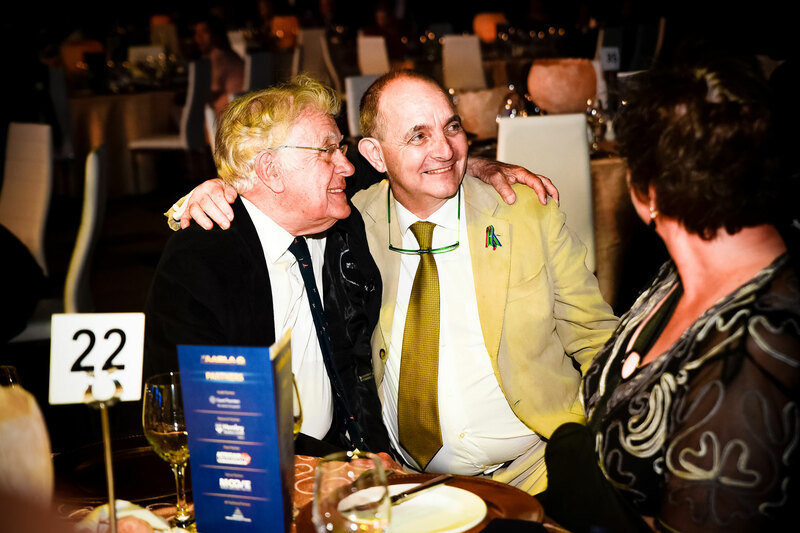 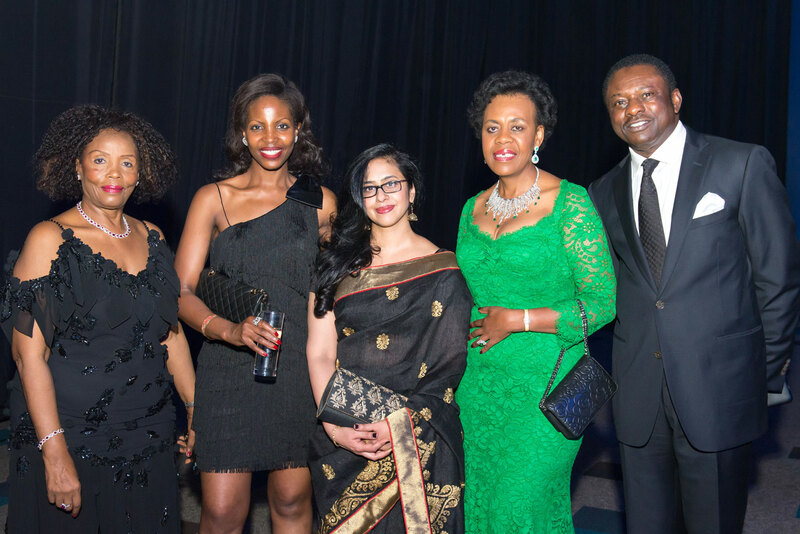 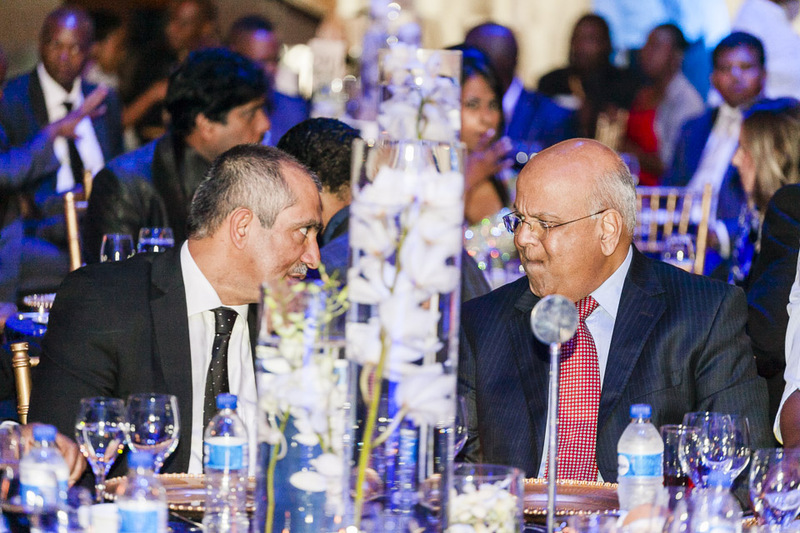 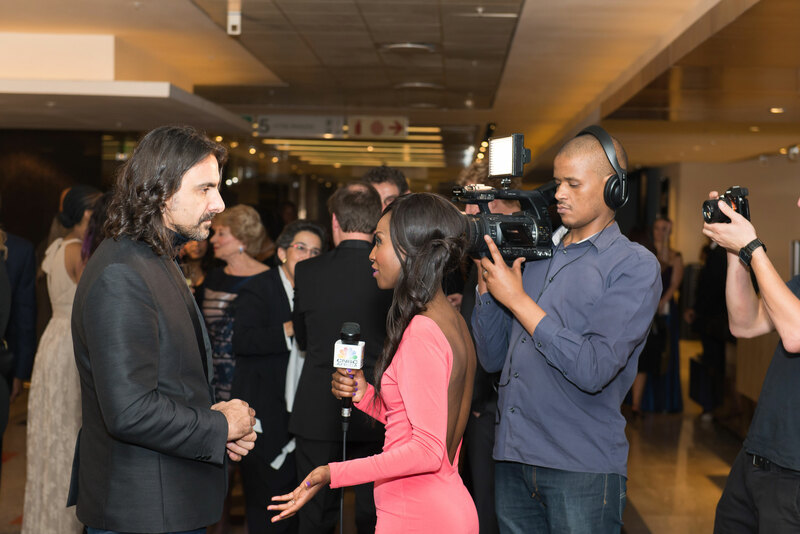 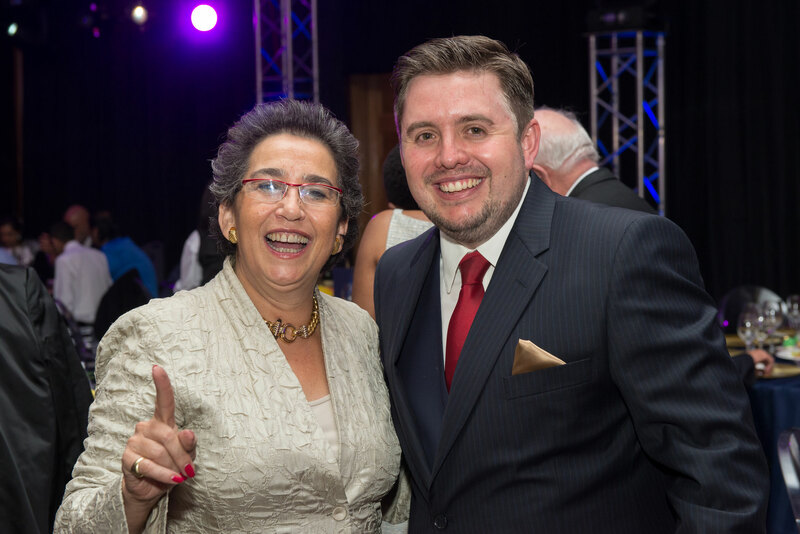 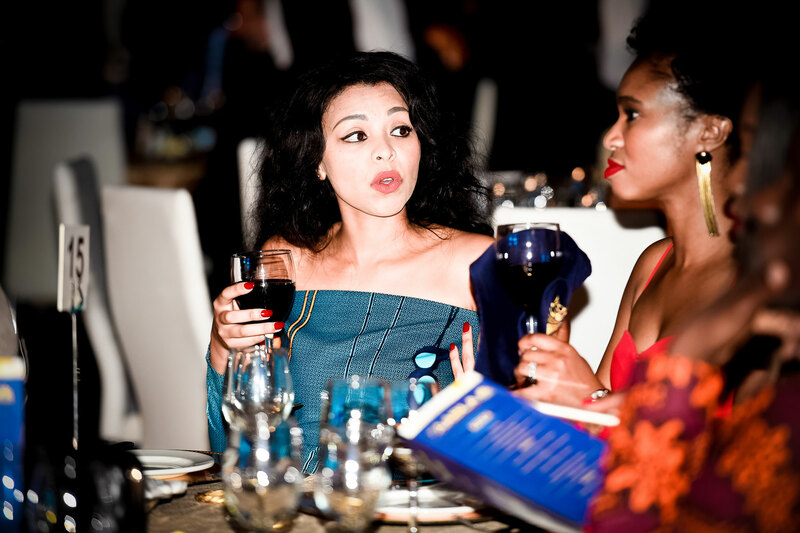 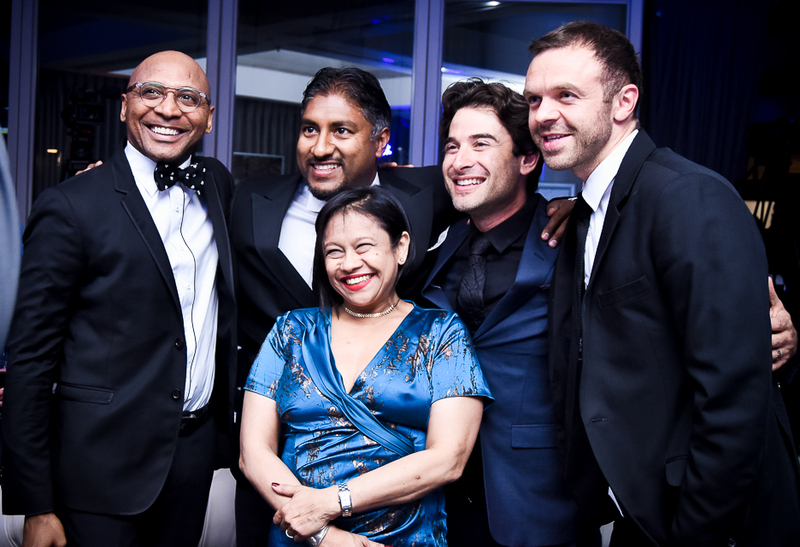 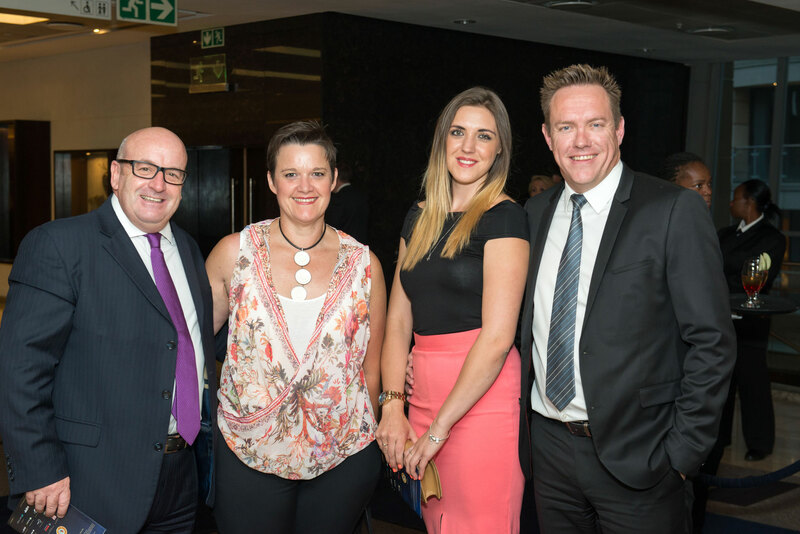 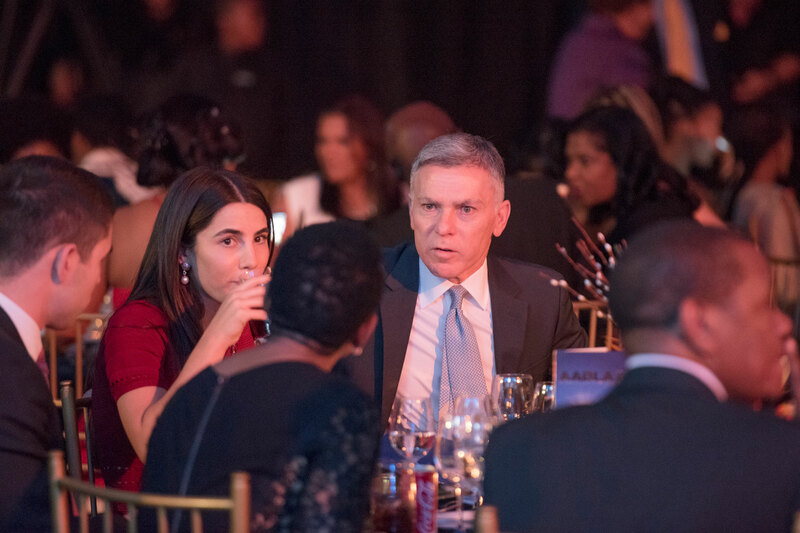 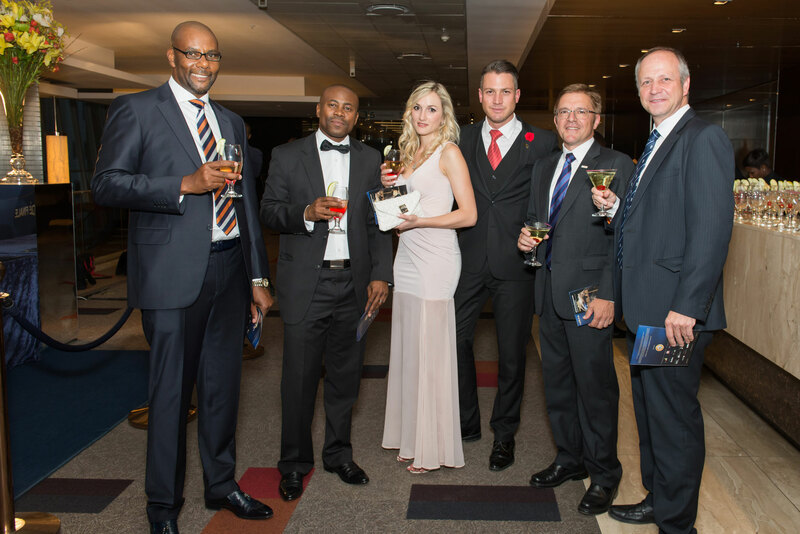 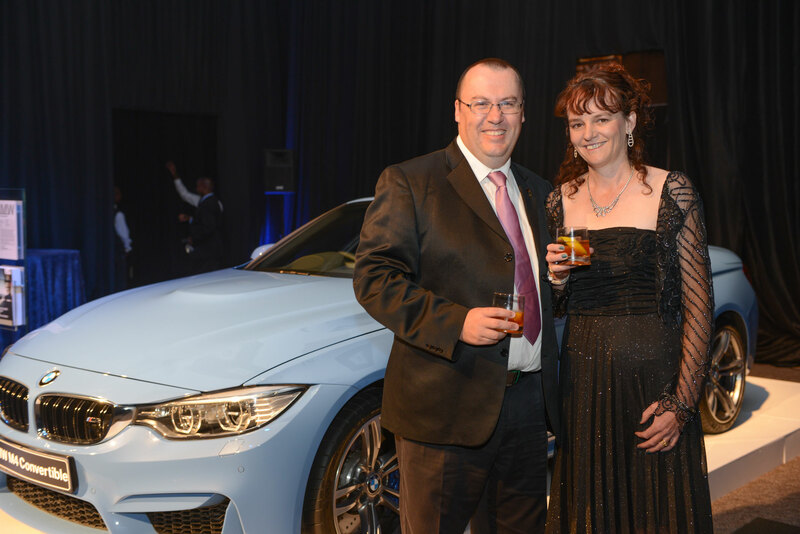 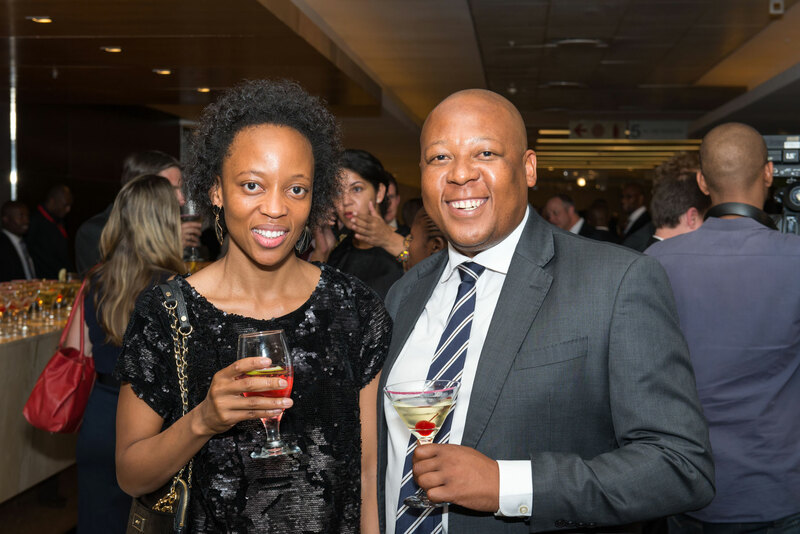 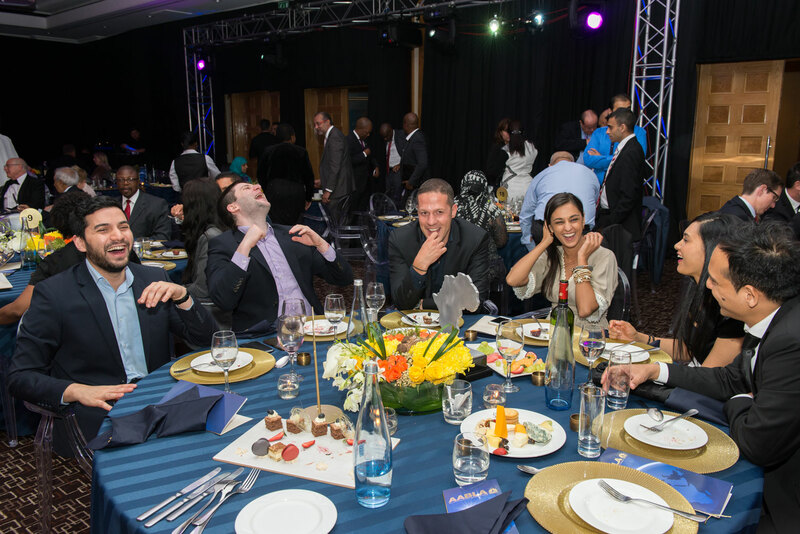 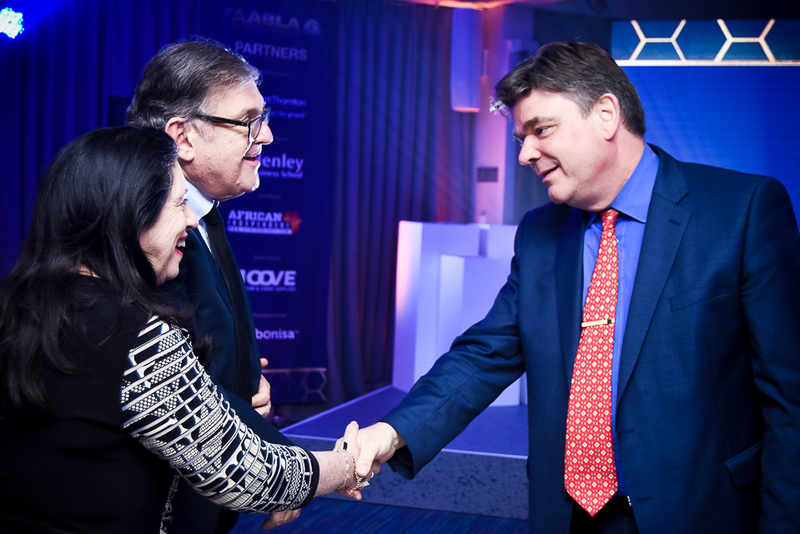 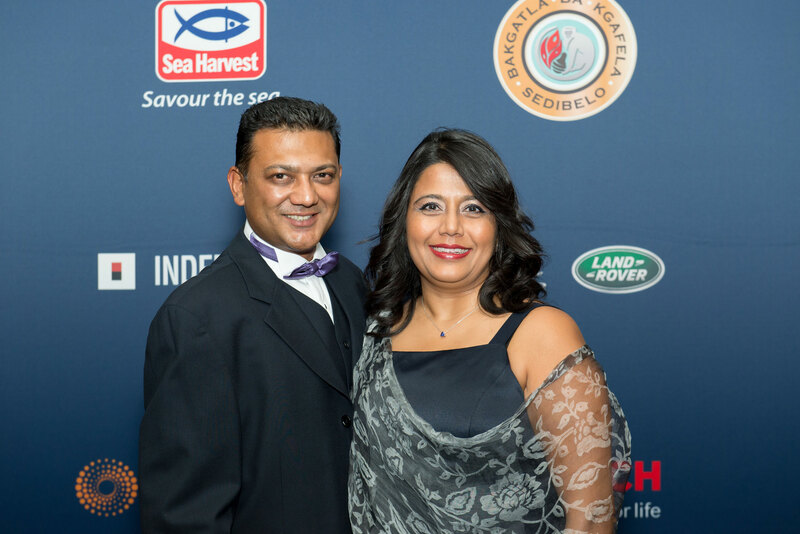 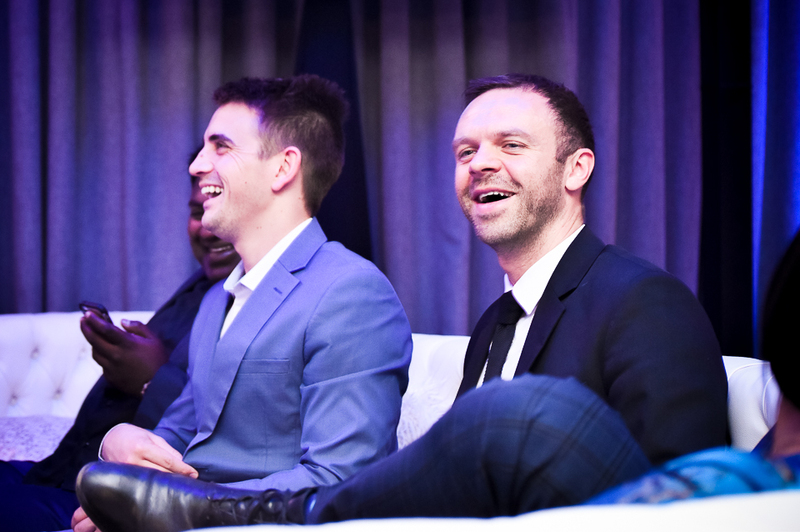 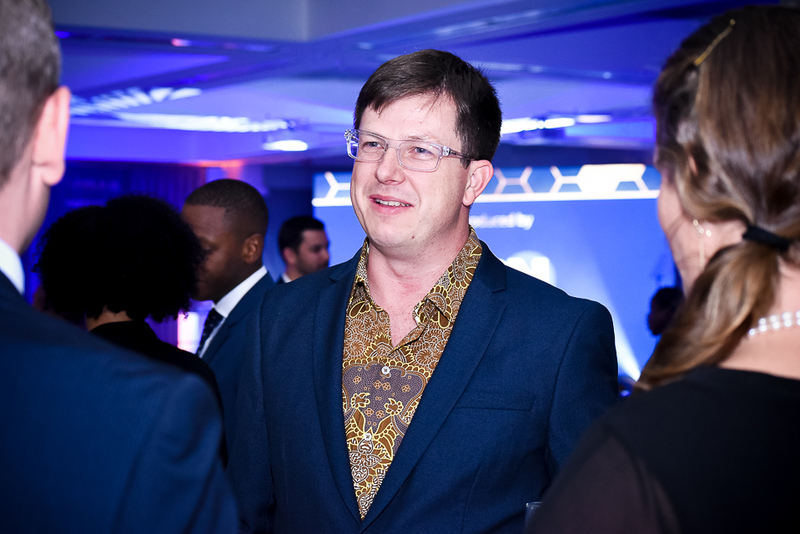 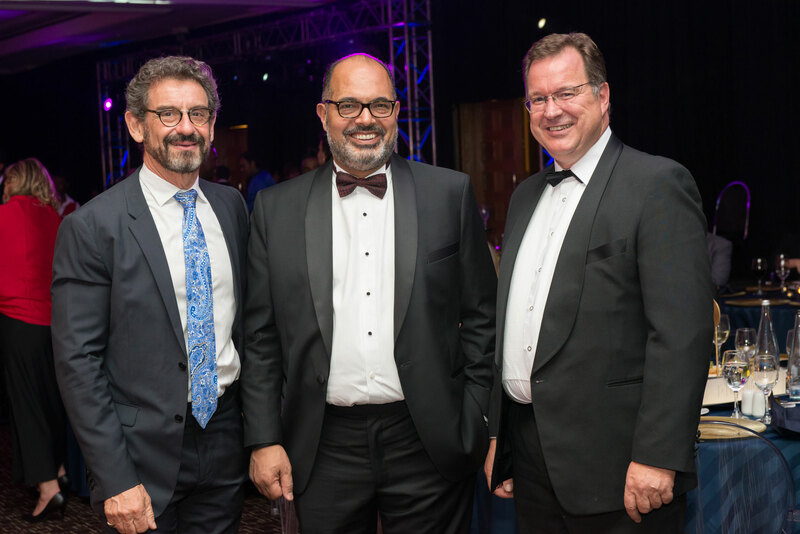 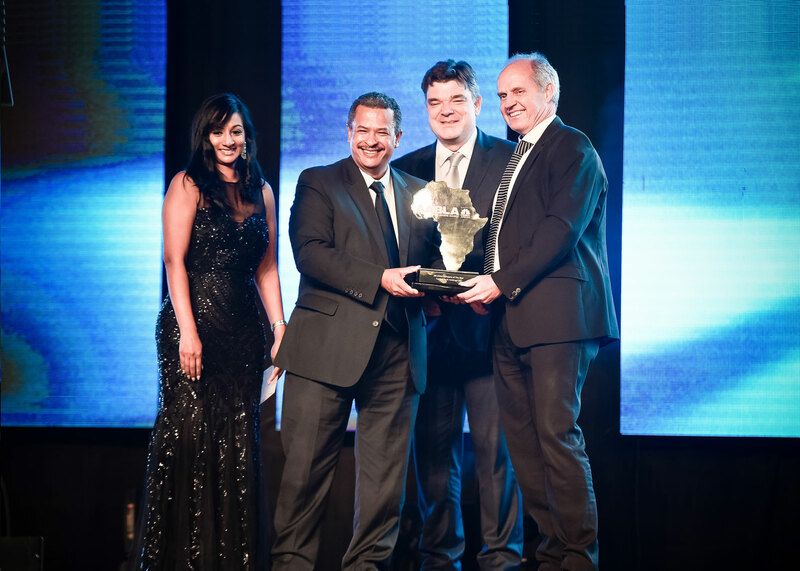 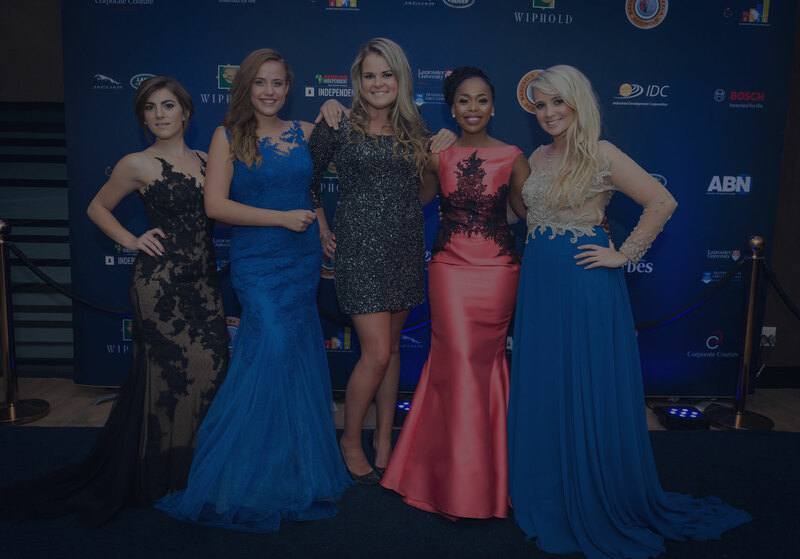 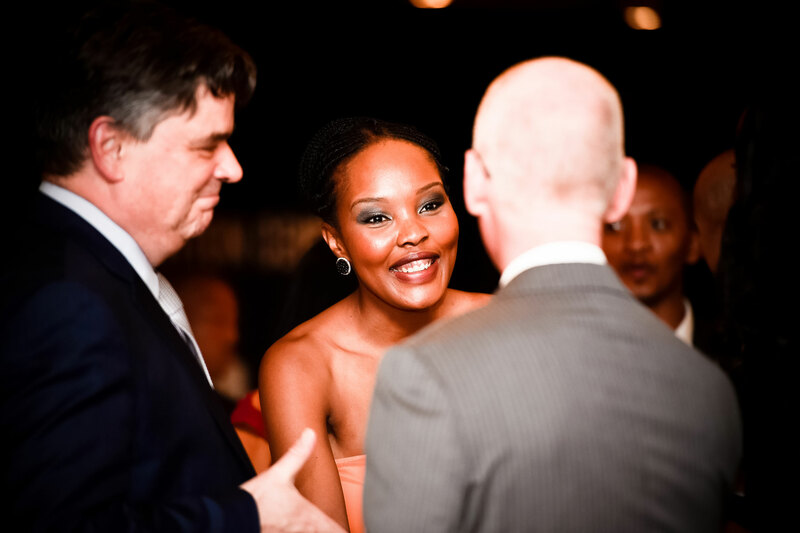 from SA Professional Services Awards [SAPSA] sponsored by Sanlam. 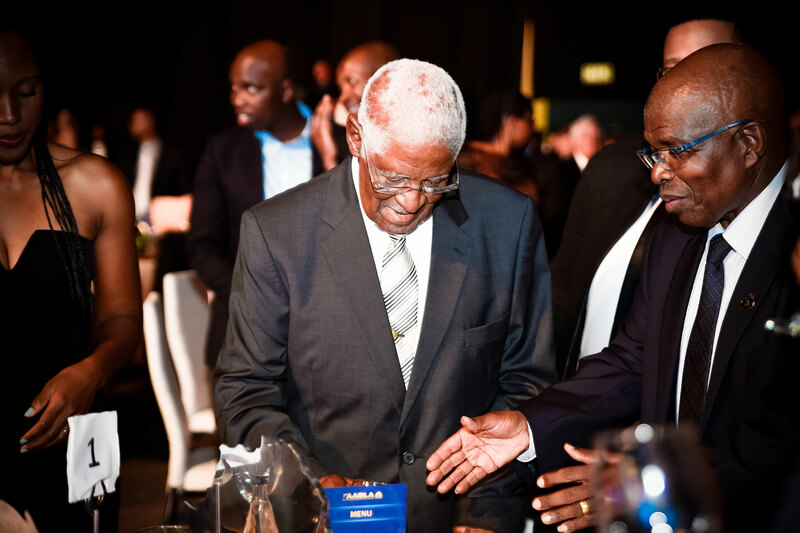 played a leadership role in the Black Management Forum (BMF) for over 33 years. 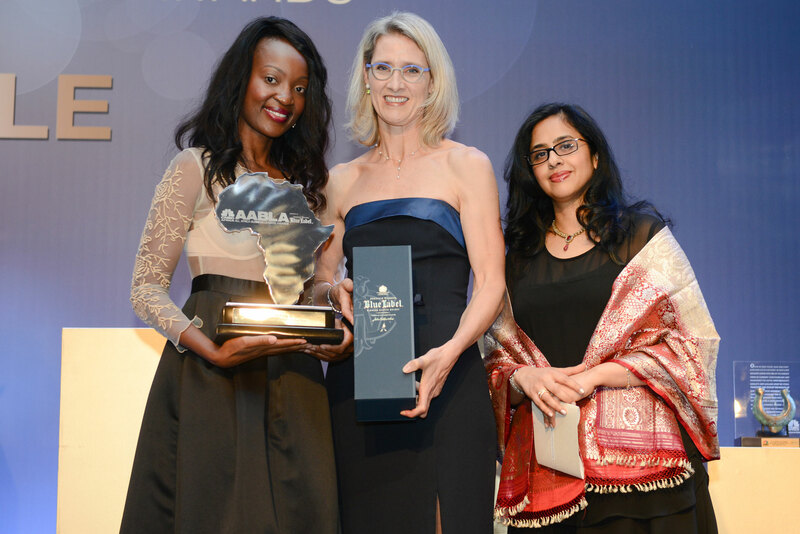 Journalist of the Year category at the Sanlam Awards for Excellence in Financial Journalism. 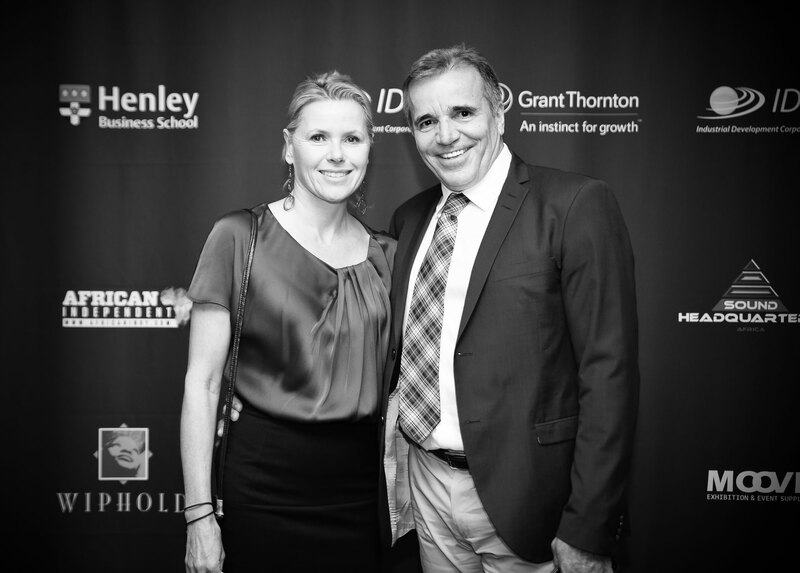 Ironman in Sweden, and is a trustee on the ASHA Early Childhood Development charity board. 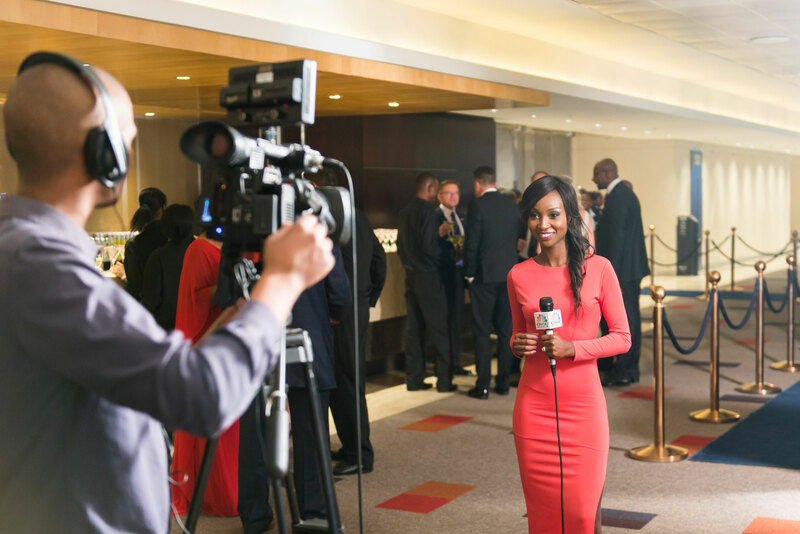 information services to help consumers and organisations make more informed decisions. 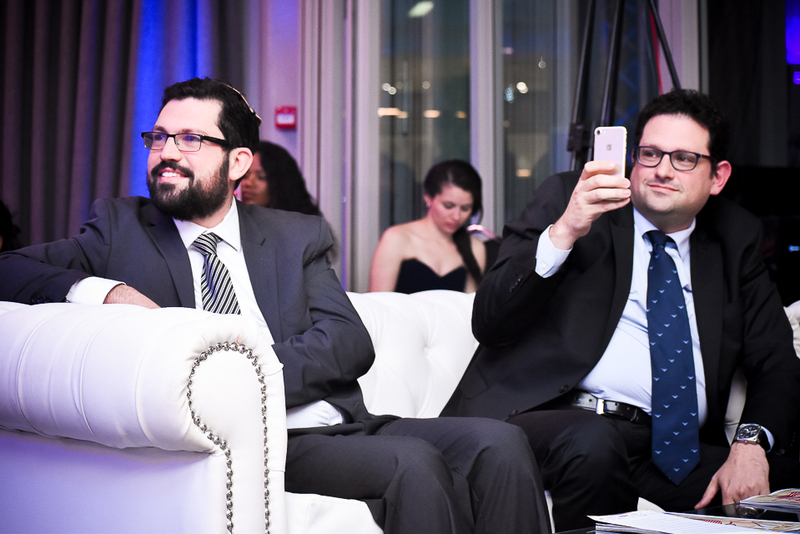 digital world. 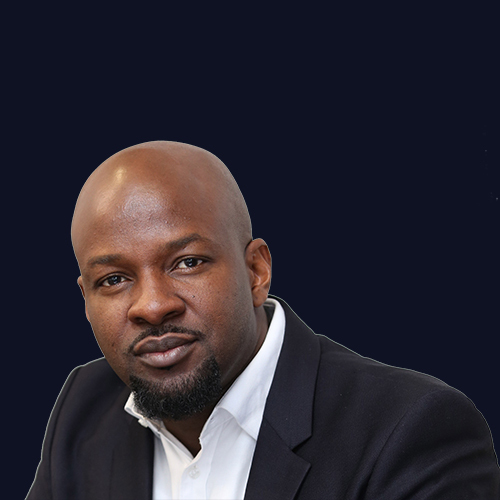 Prior to that Lee was the Managing Director of Accenture’s Technology Strategy business. 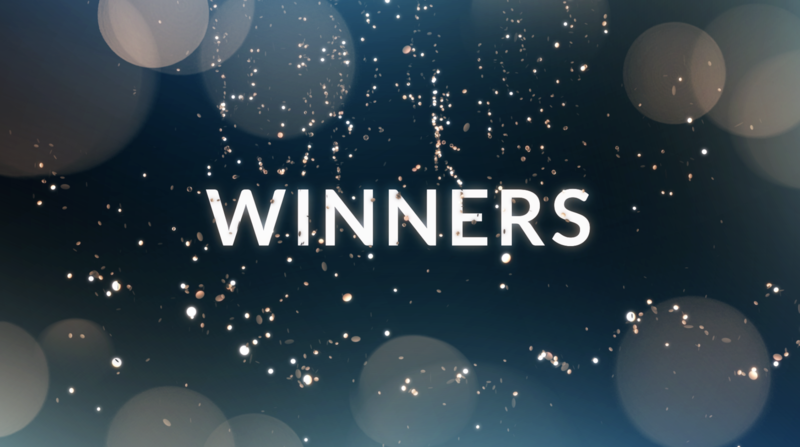 the 2015 LinkedIn Top Voices awards. 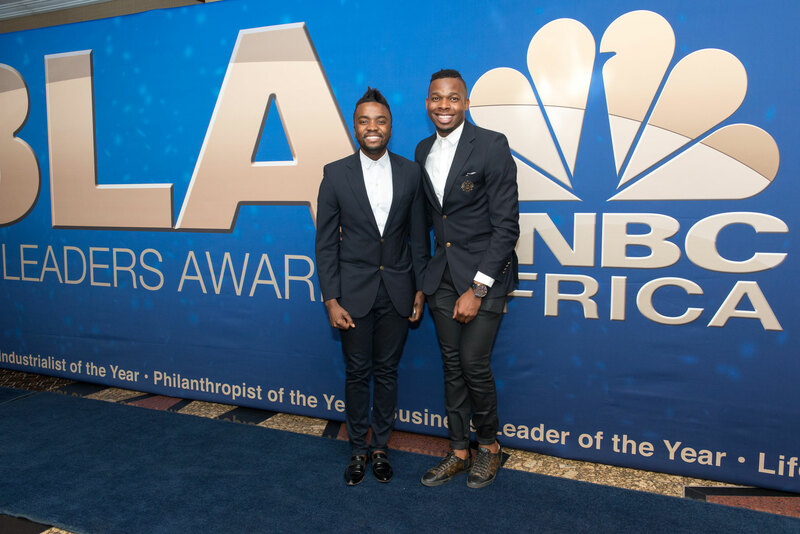 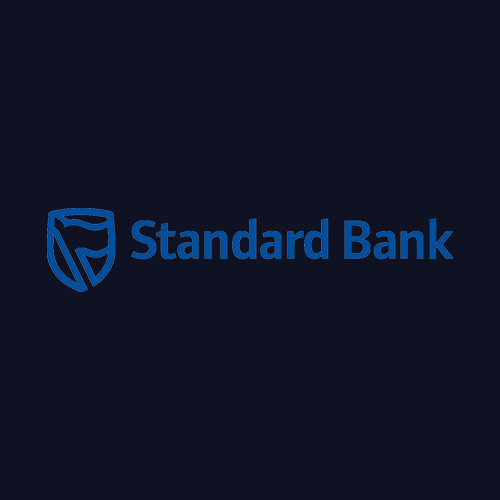 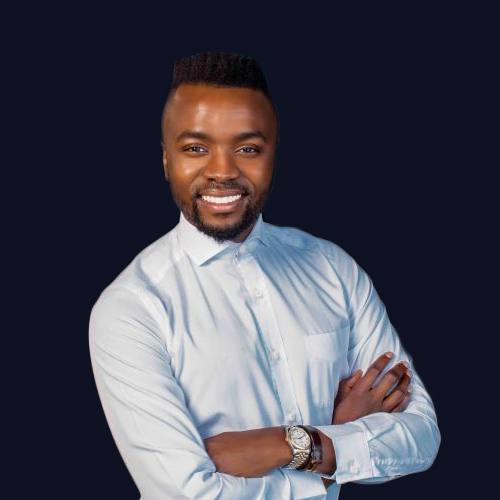 He is also a recipient of the 2015 Standard Bank Rising Stars award. 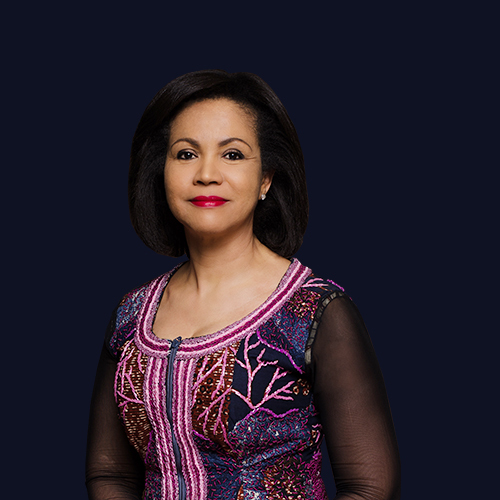 She was named to the United Nations Most Influential People of African Decent list for 2017. 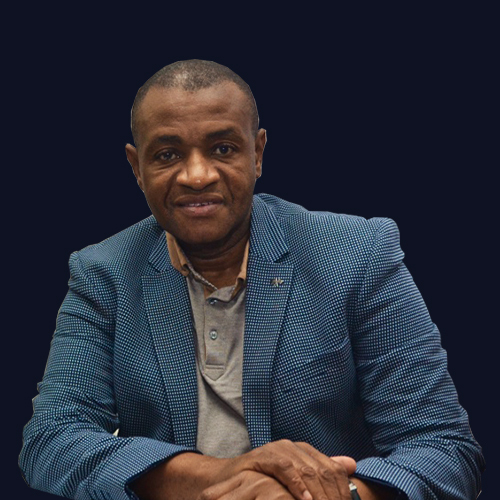 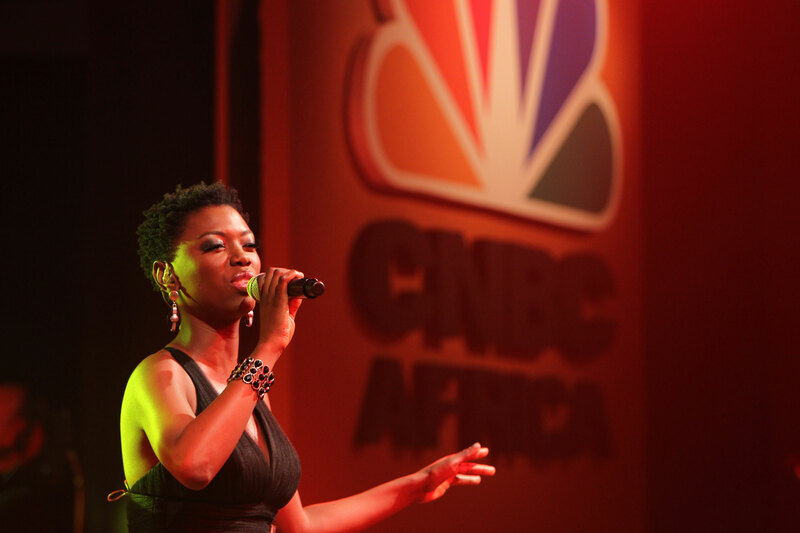 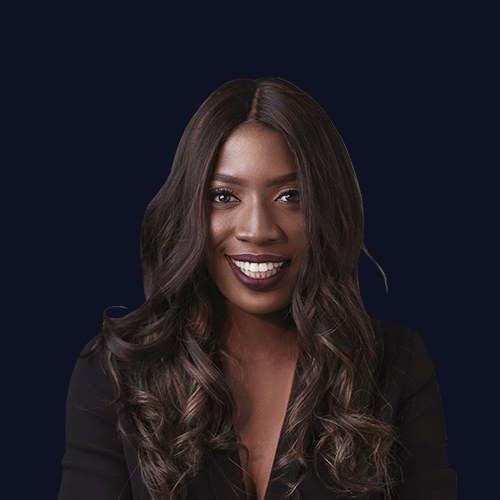 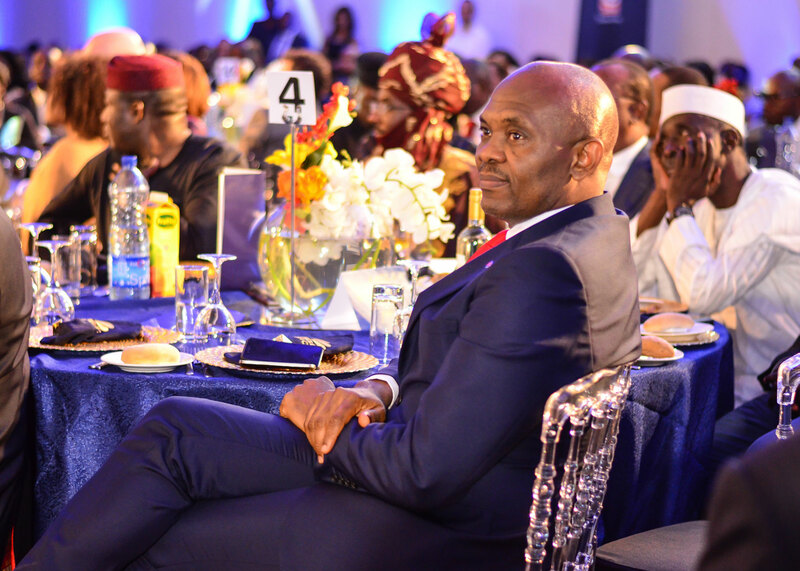 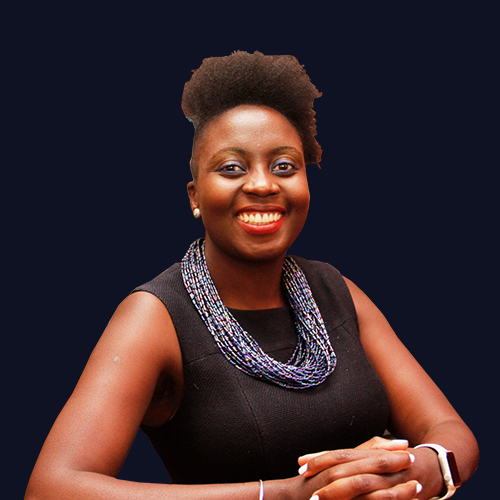 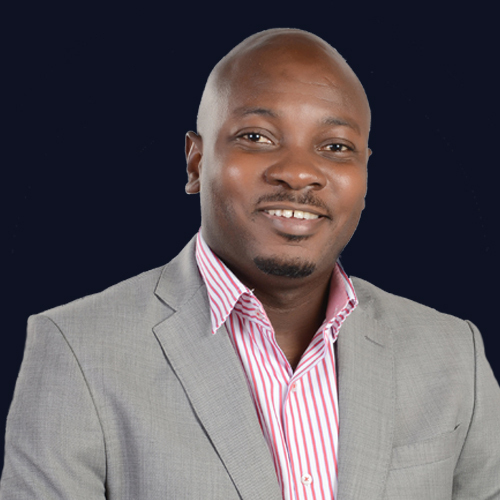 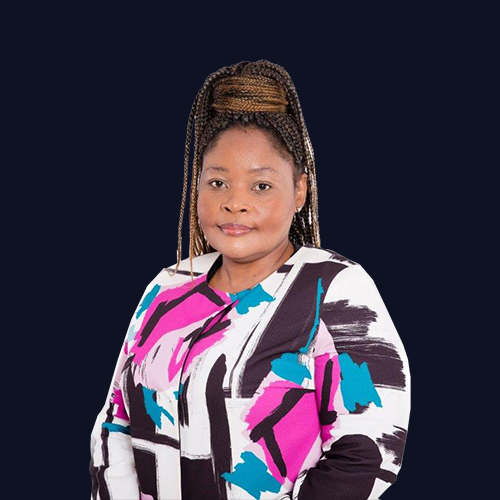 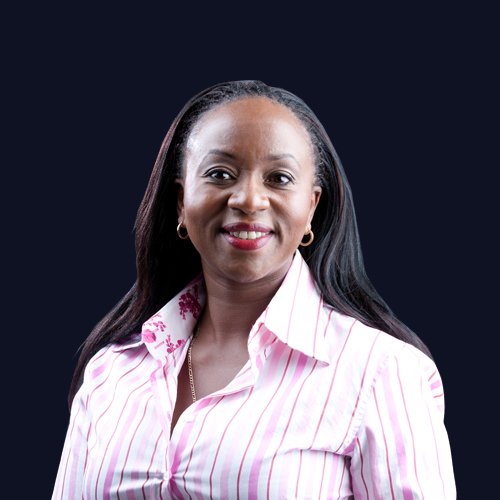 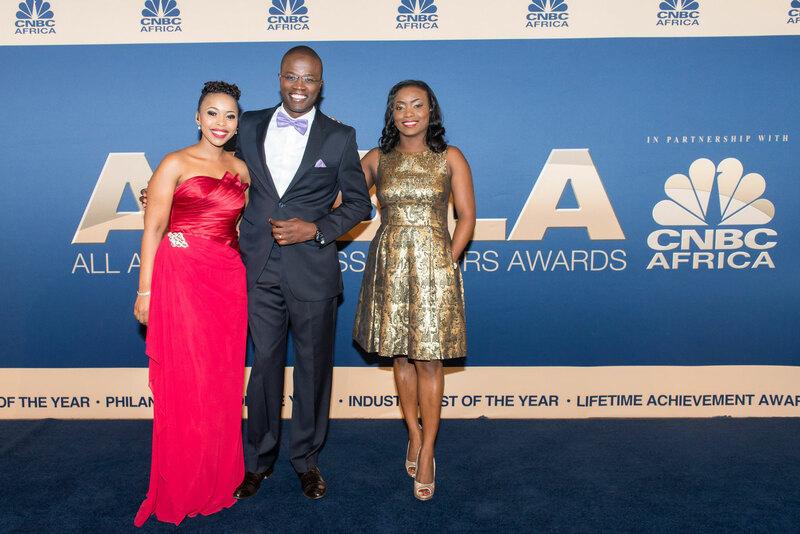 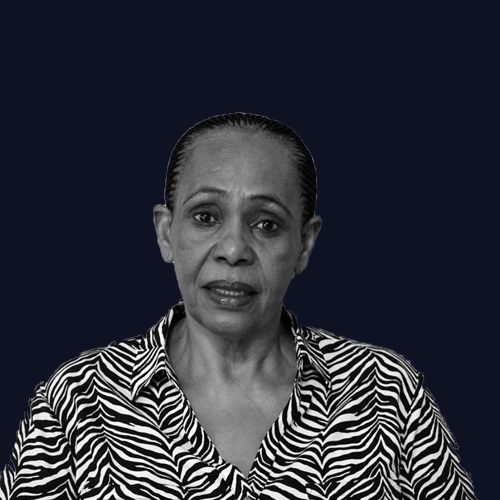 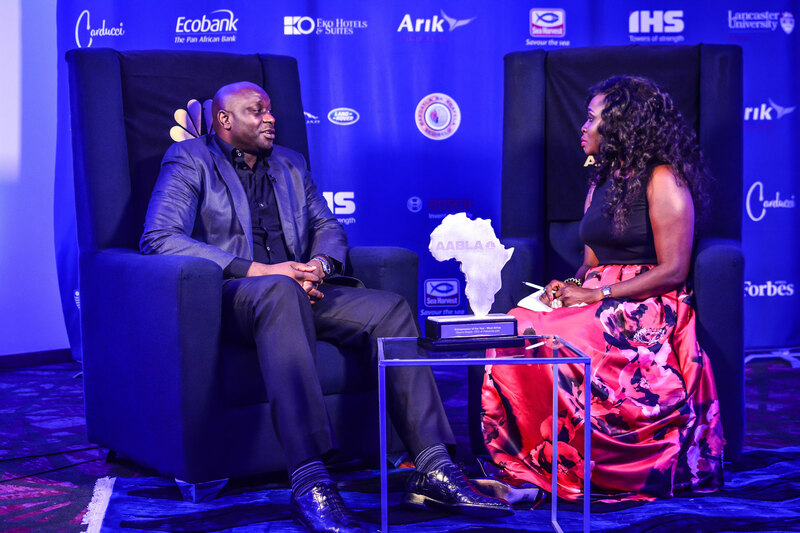 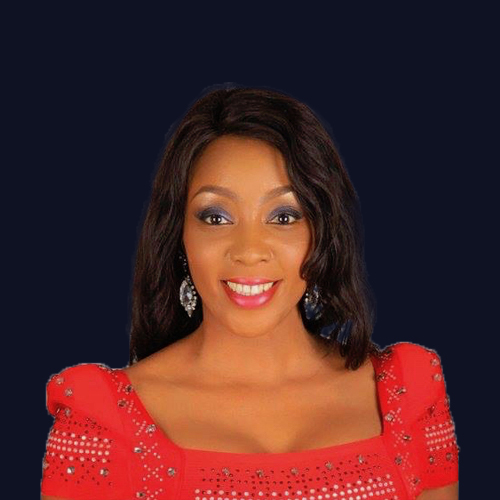 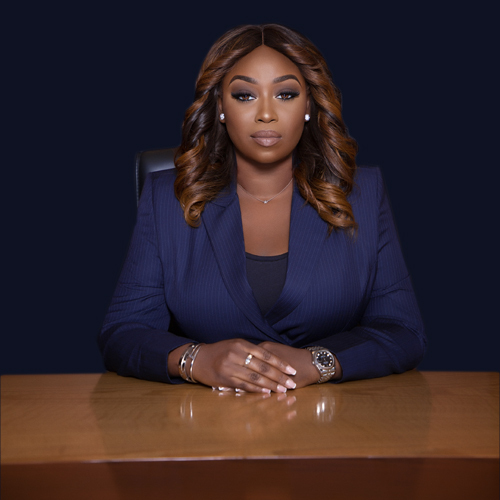 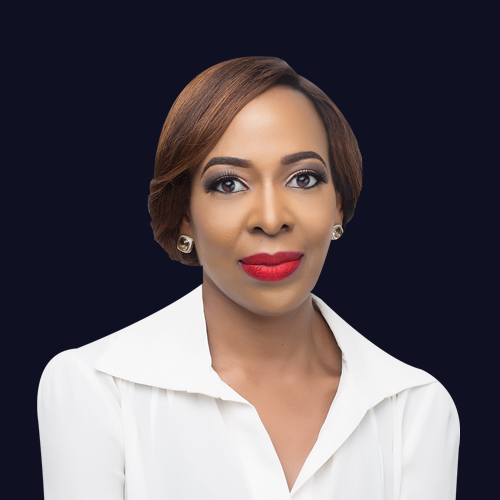 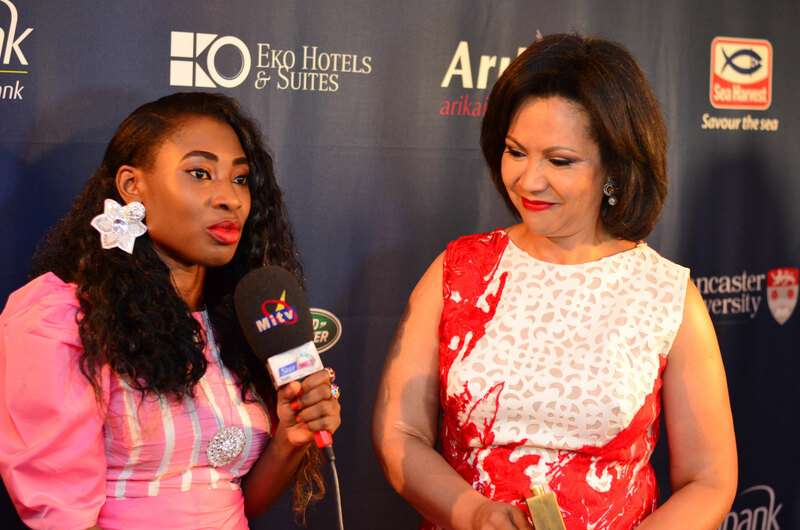 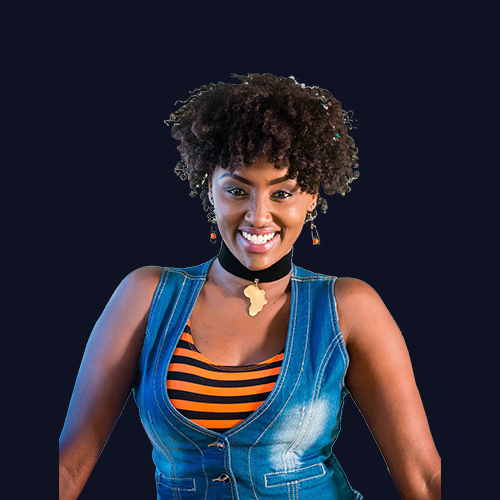 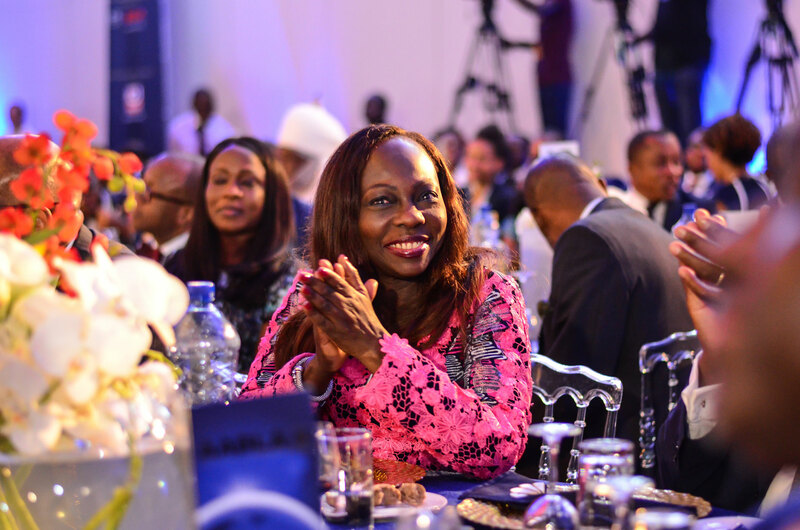 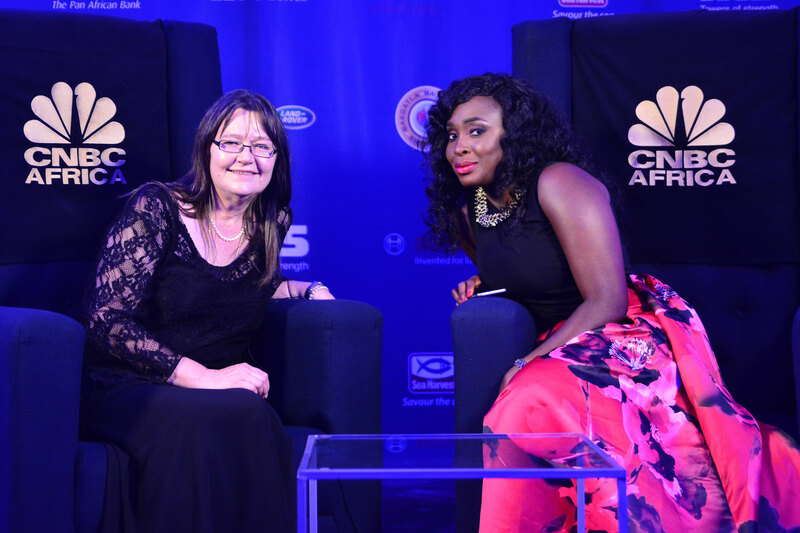 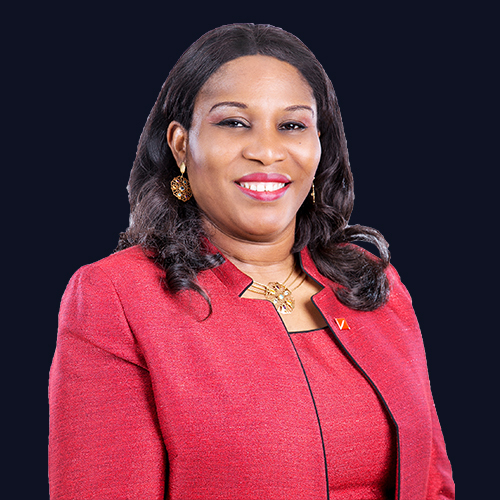 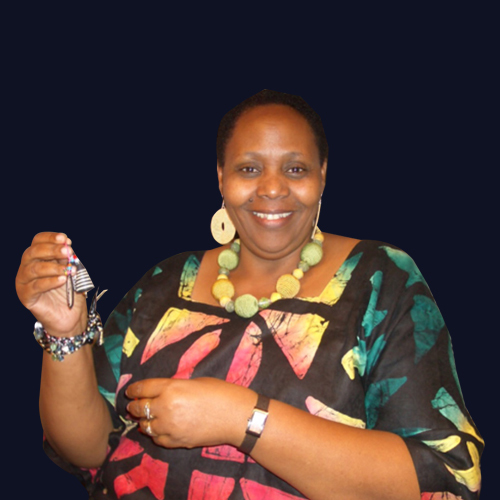 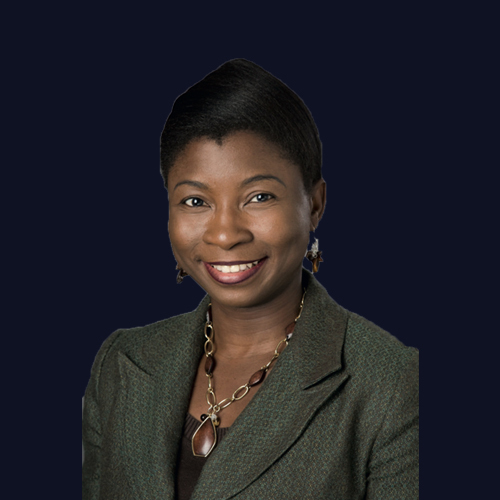 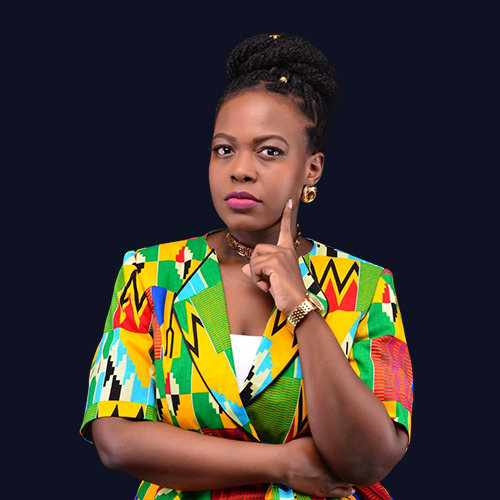 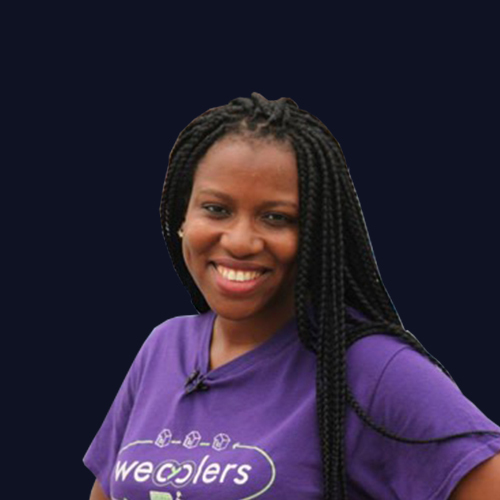 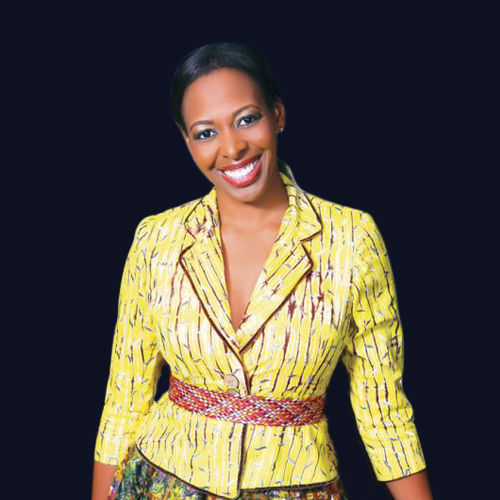 Biola is an African media expert who has served for the likes of (MNET) as Managing Director. 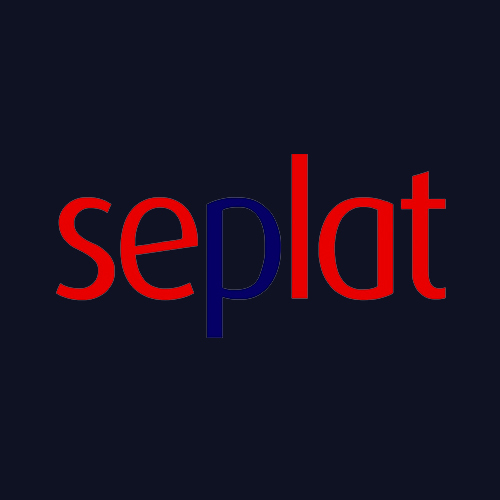 previously worked with leading brands Sesame Street, Bigwords.com and Daewoo Motors. 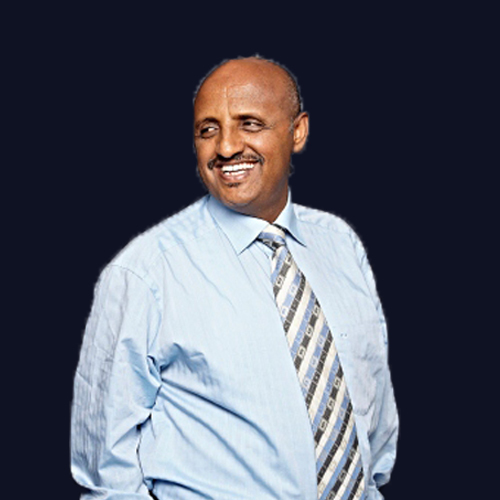 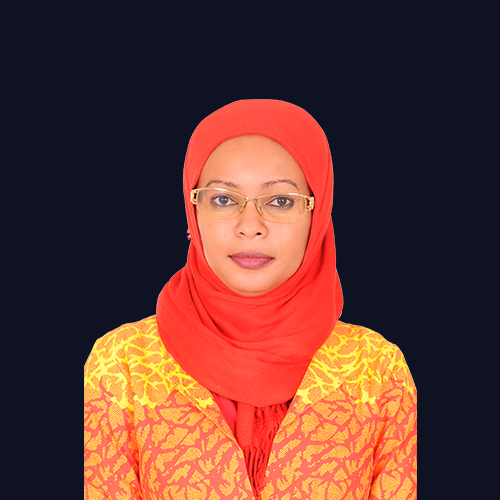 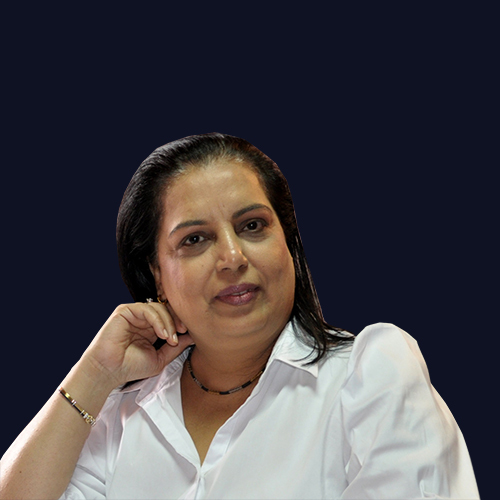 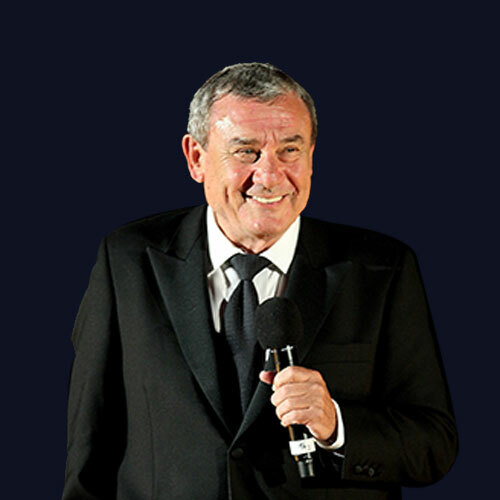 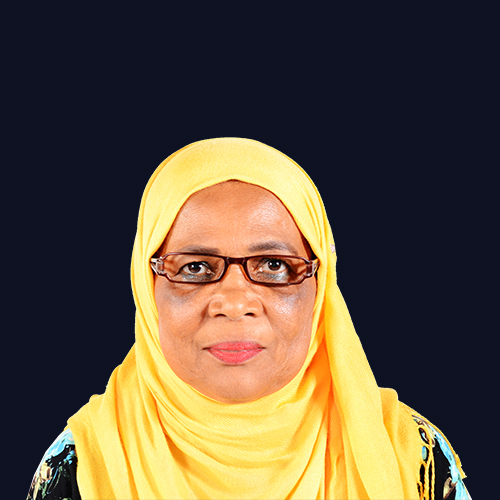 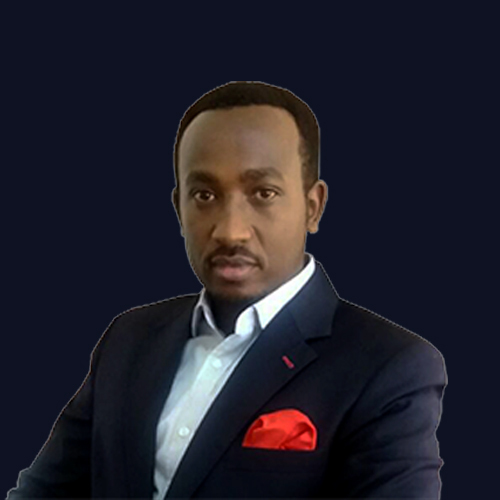 speaker, actively involved in many international seminars and conferences across Africa, Europe, and the USA. 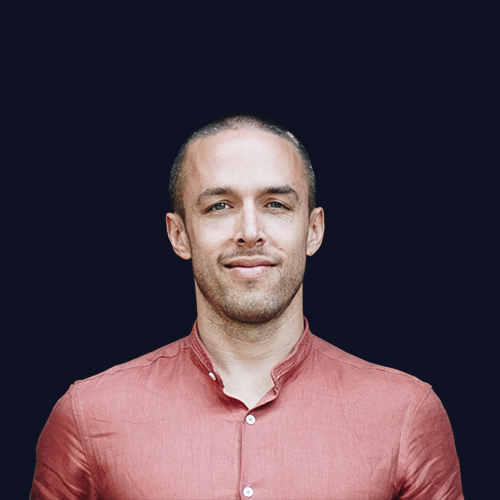 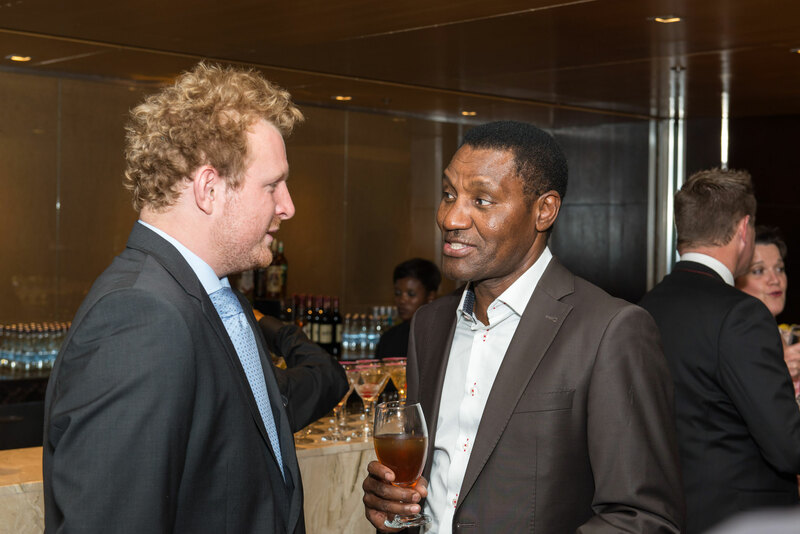 Frederic, a Belgian national, has 15 years’ experience in the media Industry in Africa. 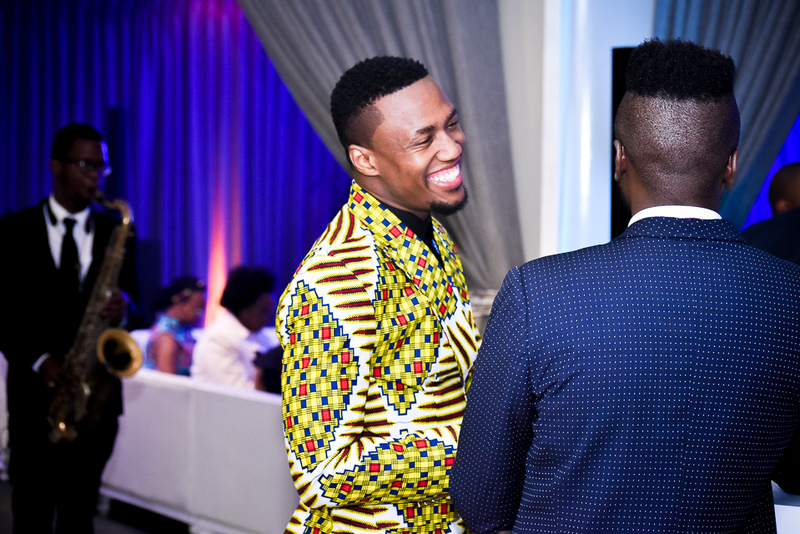 Africa’s only certified dowry negotiator. 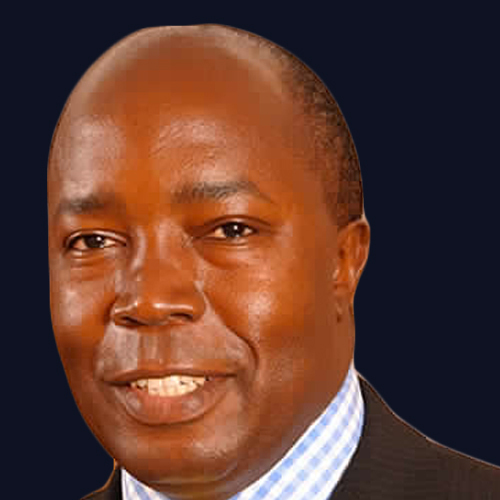 focusing on Strategy-University of Nairobi. privately owned multinational corporation in the world, dealing in agricultural commodities. 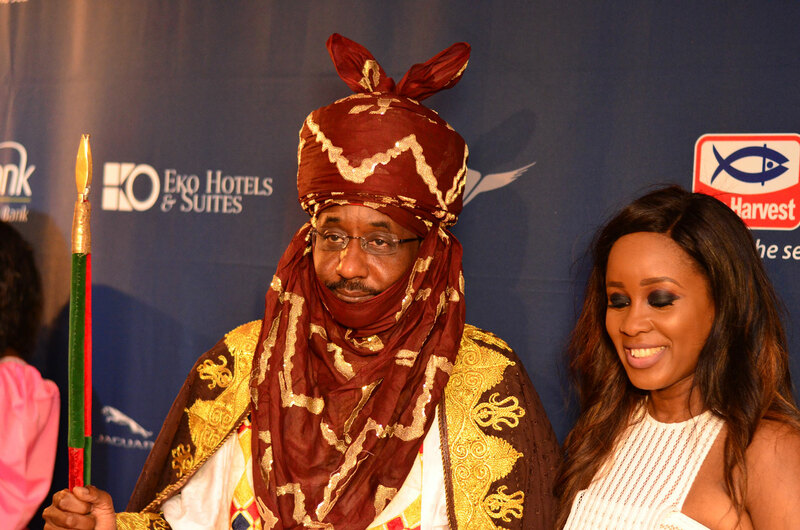 of management. 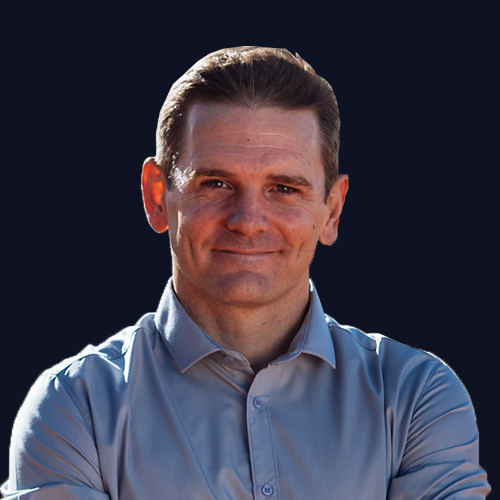 The ratios could be better, but not just for the sake of the numbers in themselves. 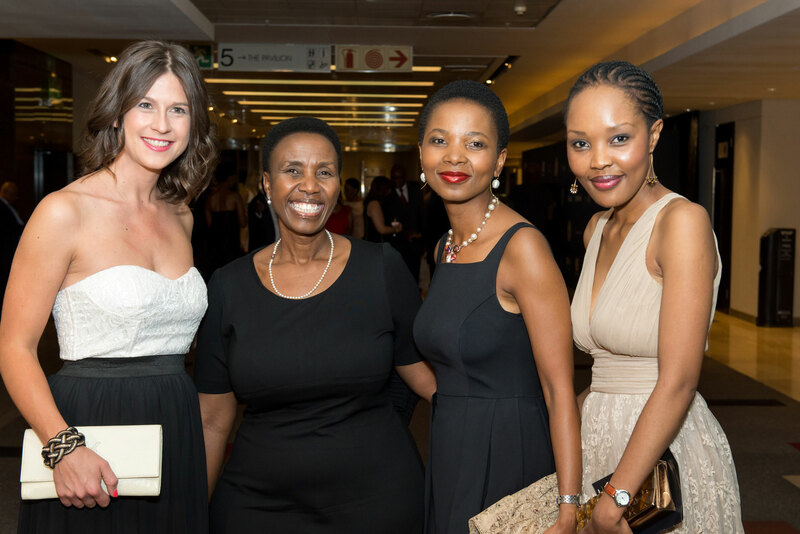 Women need to ensure they bring a different dynamic and balanced approach to the corporate table. 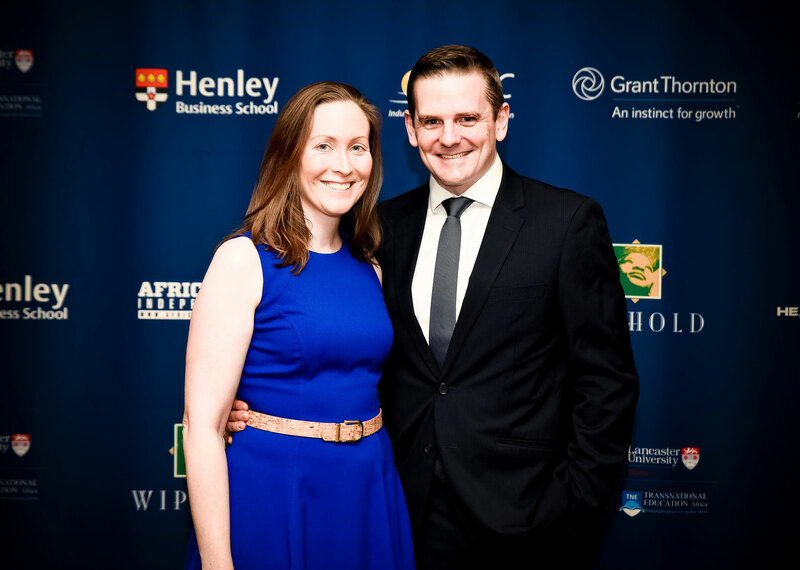 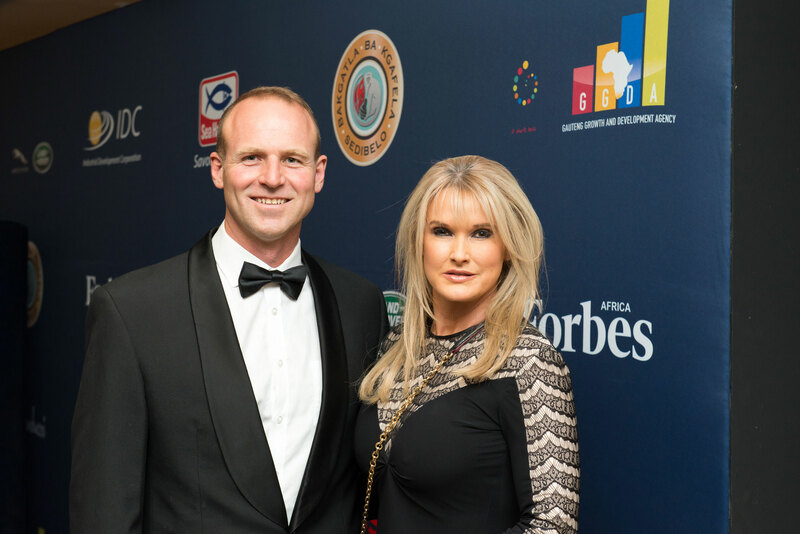 Caroline was awarded Business Daily ‘Top40under40 women 2015’. 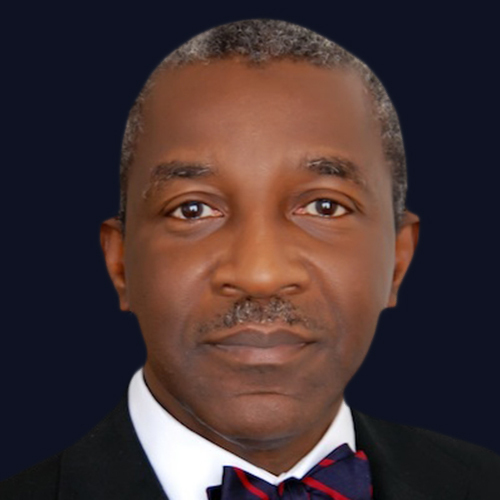 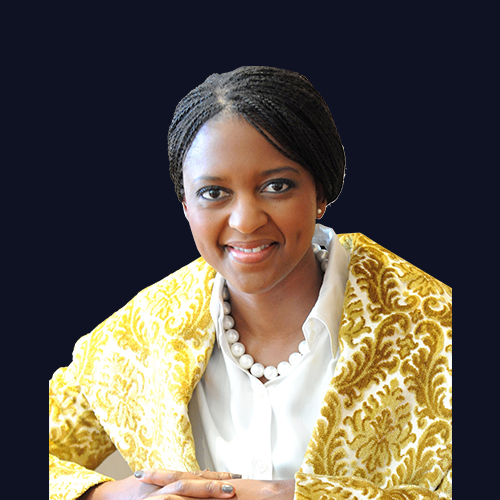 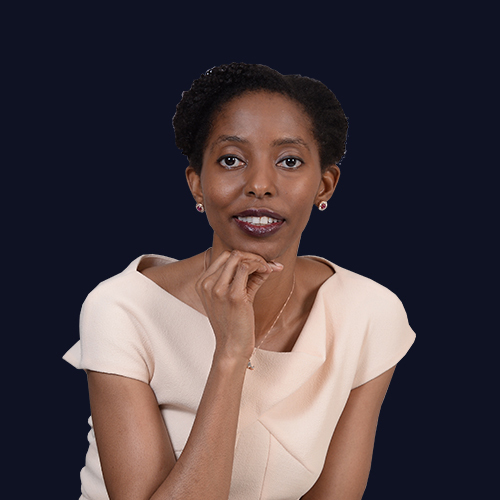 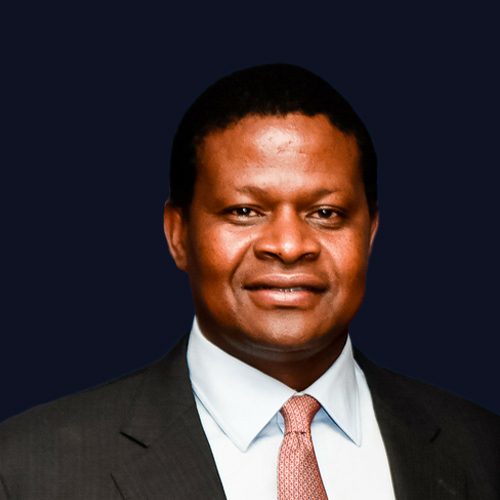 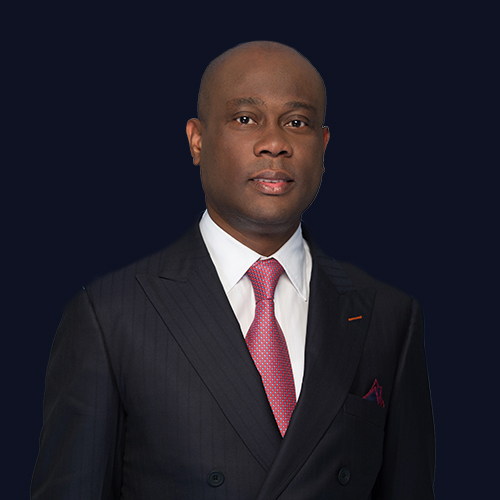 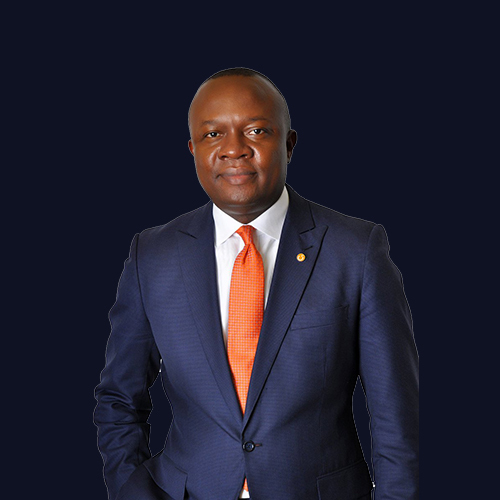 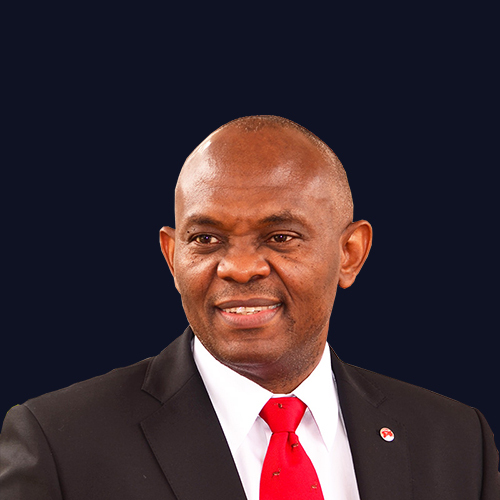 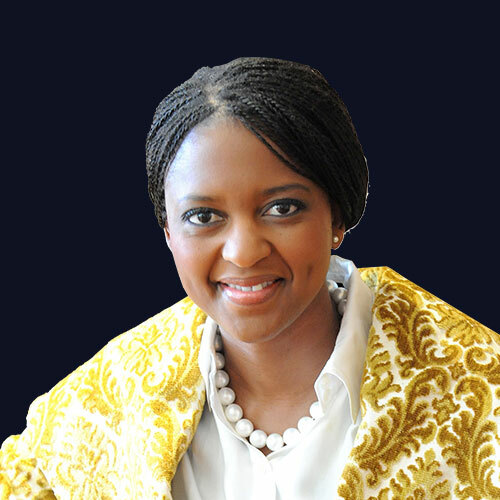 Francis is also a member of the PwC Africa Governance Board. 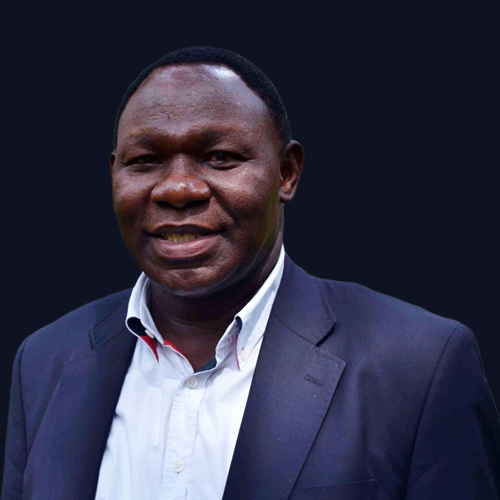 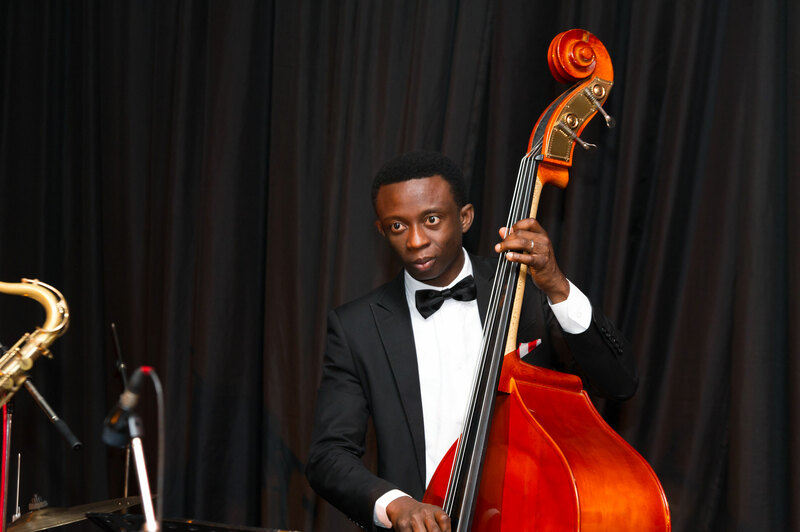 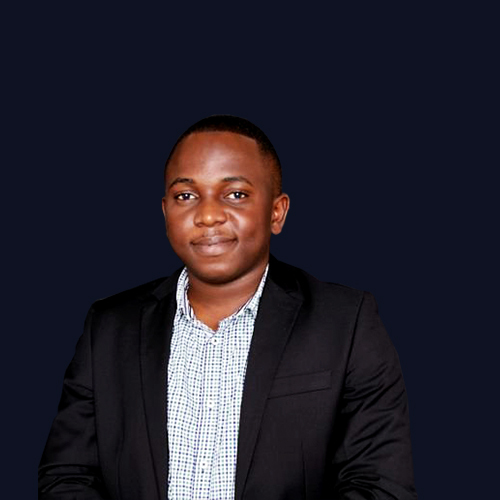 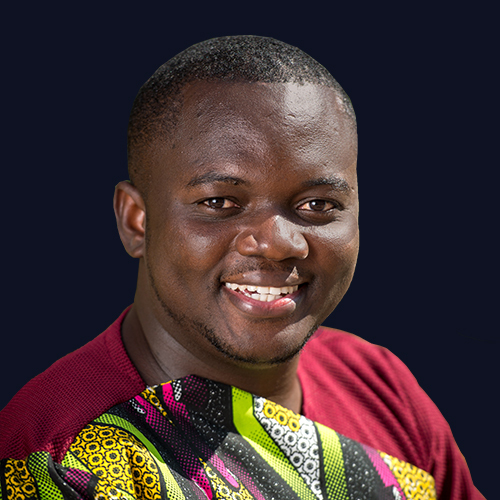 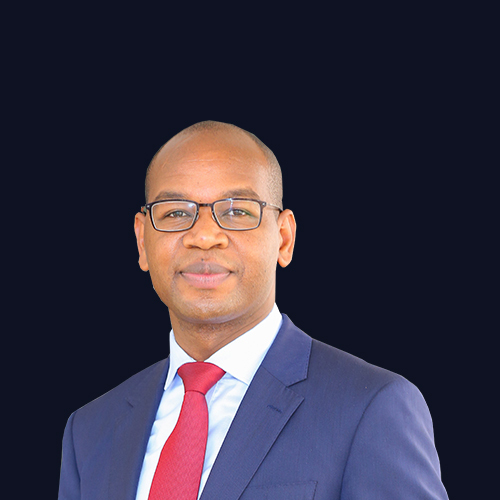 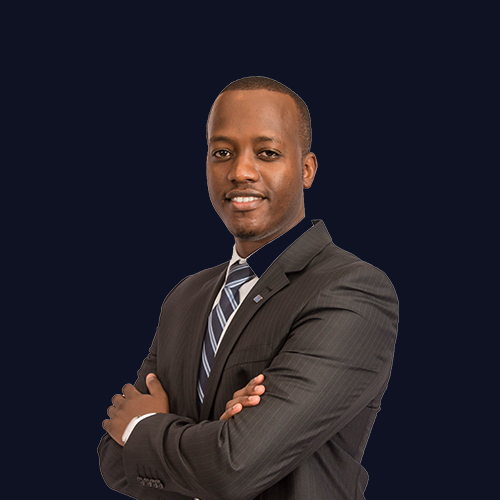 After graduating from Makerere University, Uganda, Francis trained as a Chartered Certified Accountant (ACCA) with a small firm in London, where he worked for five years. 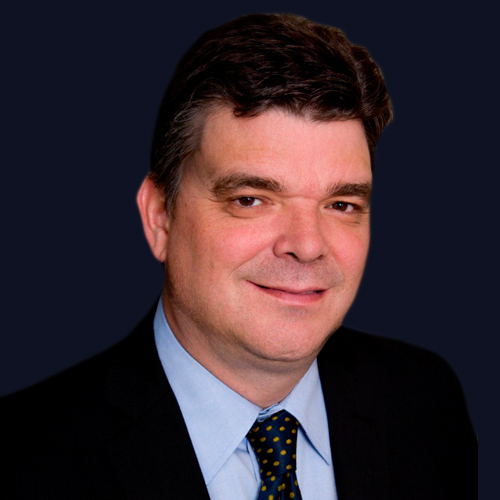 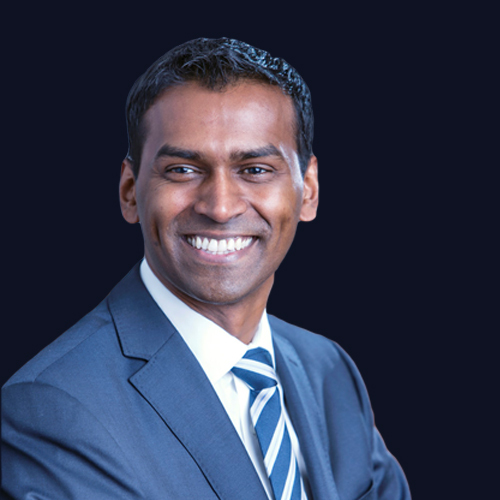 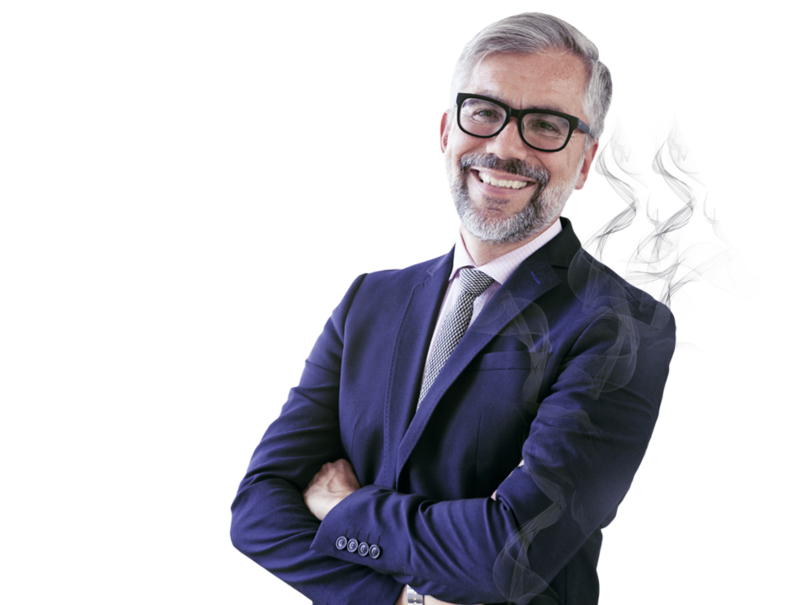 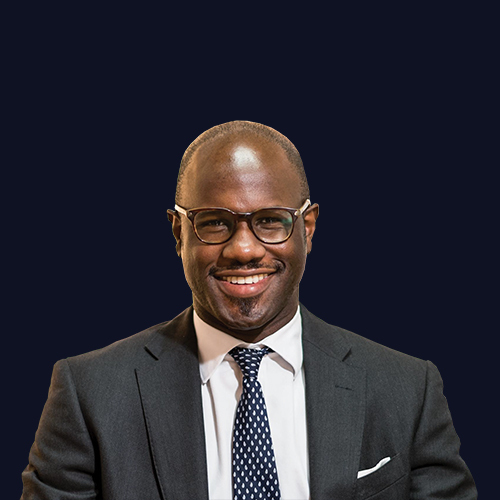 He then moved into tax, joining PwC London in 1996 qualifying as Chartered Tax Advisor (CTA) in 1999, and has been a Partner in the firm since 2005. 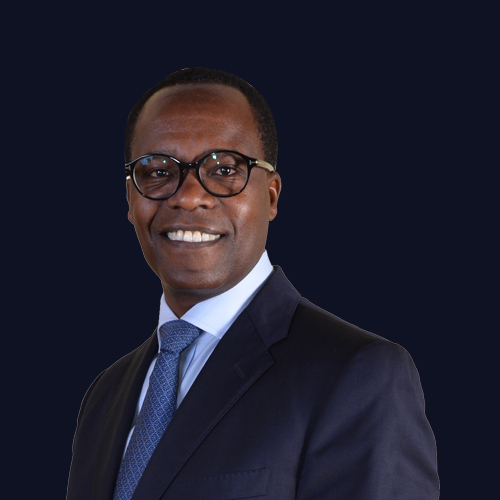 Francis’ professional work extends to both corporate and personal taxation, financial, commercial and investment advice working mainly with a wide a range of clients which include PwC’s global multinational clients with operations in East Africa, mainly in the manufacturing, telecoms, financial services and the emerging oil and gas sector. 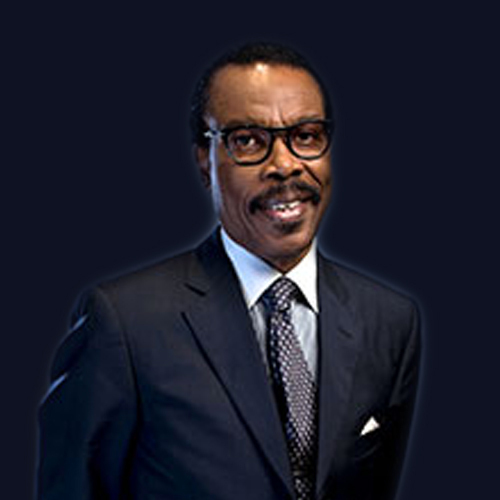 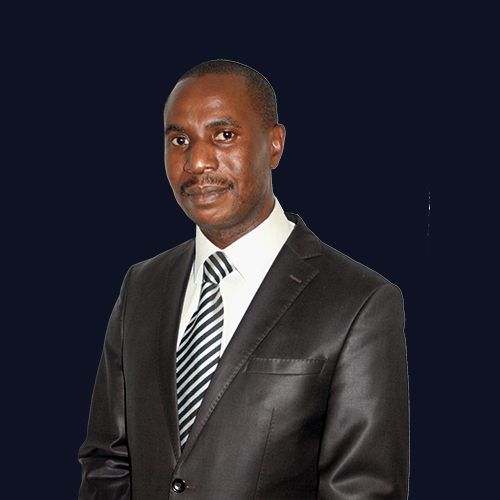 Professor Nshuti Manasseh is a Professor of Finance. 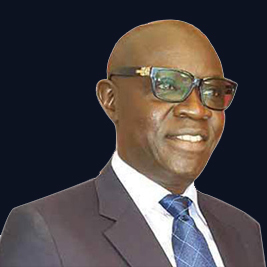 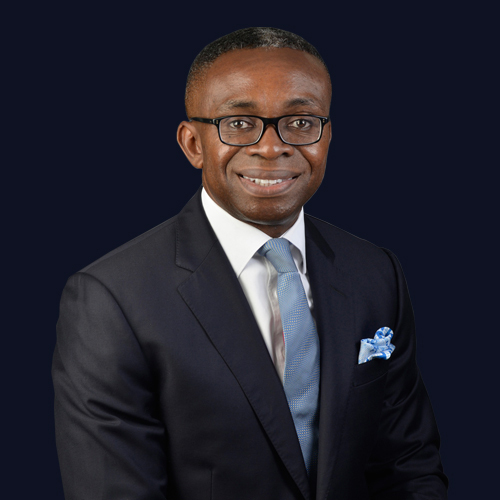 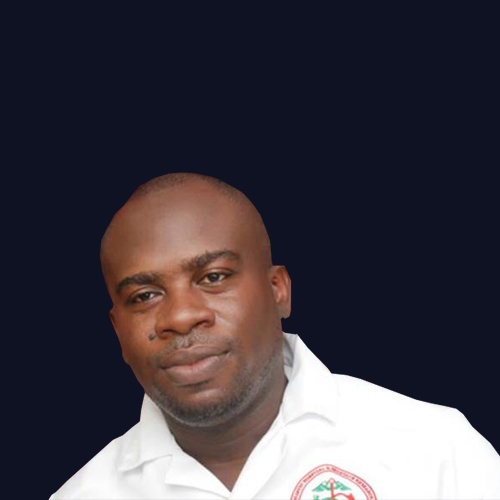 He holds a PhD in Finance from Aberdeen University, UK, a Masters of Business Administration in Accounting, Aberdeen University, UK, and A Bachelor of Commerce (Hons.) 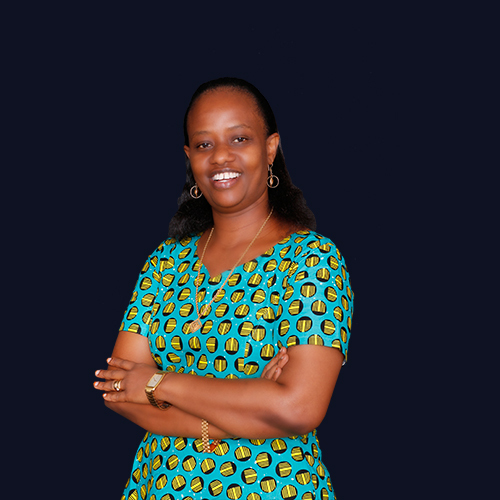 from Makerere University. 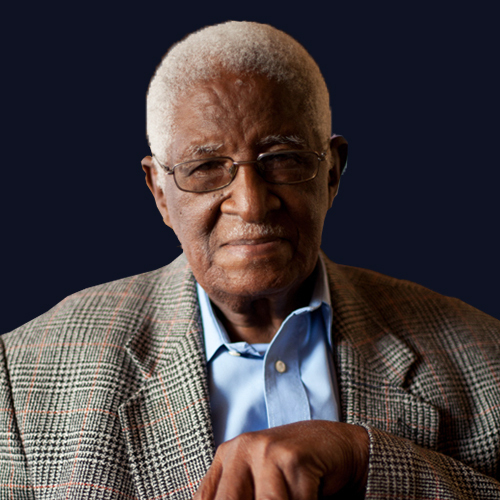 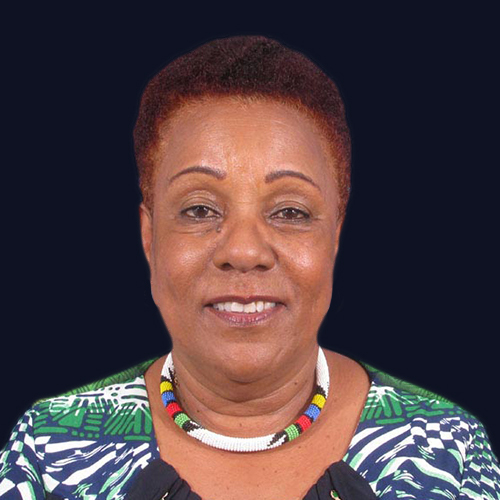 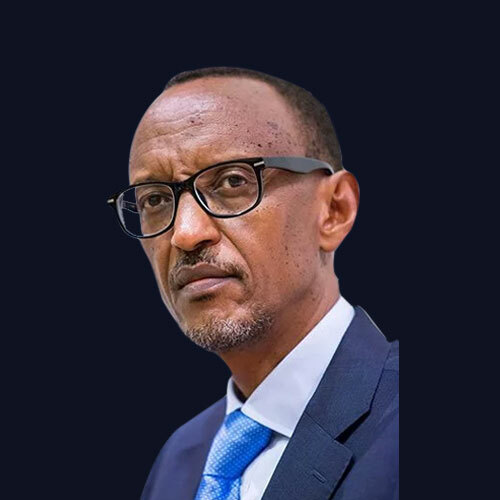 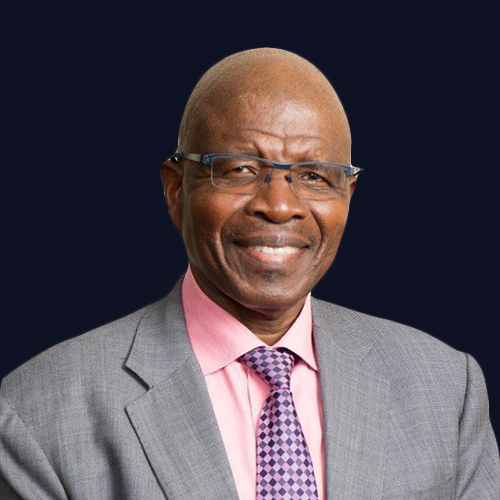 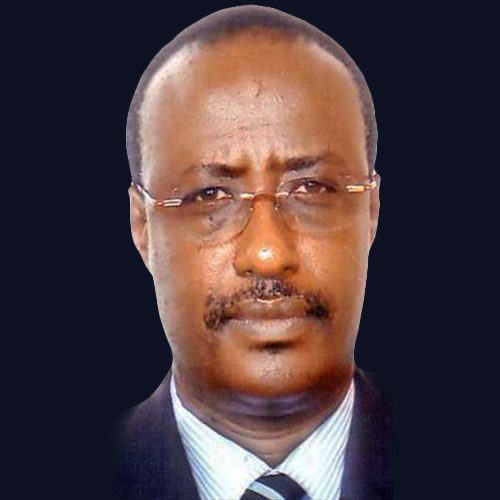 Professor Nshuti was Minister of Commerce, Industry, Cooperatives and Tourism, a Minister of Finance and Finally, a Minister of Public Service and Labour of Republic of Rwanda. 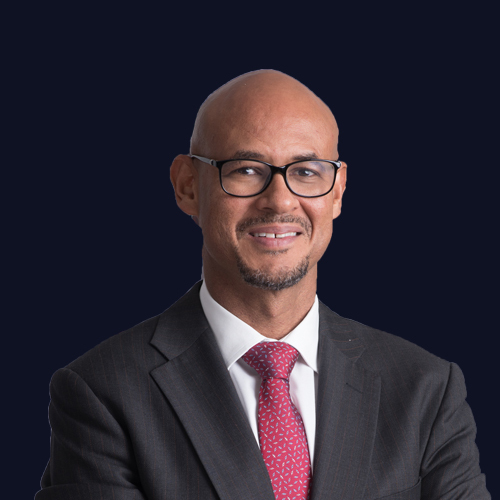 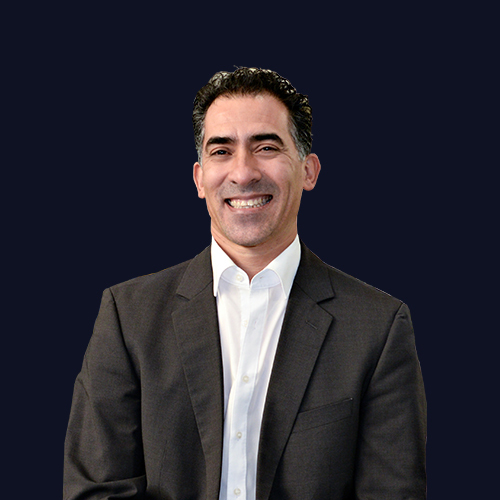 Ike has over 25 years of investment banking experience involving strategic advisory in corporate finance including mergers & acquisitions project, structured finance and equity capital markets activities. 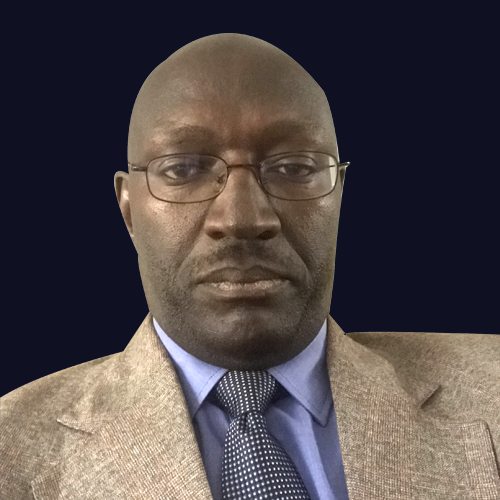 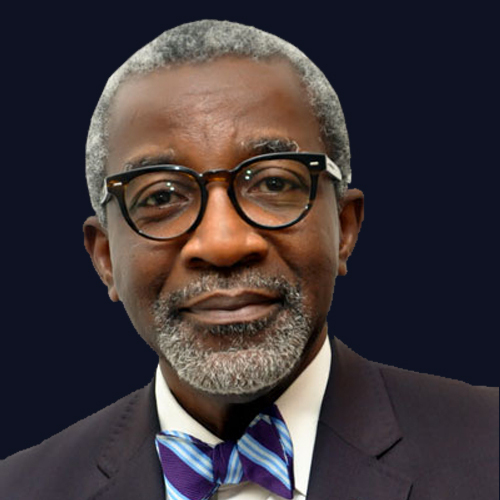 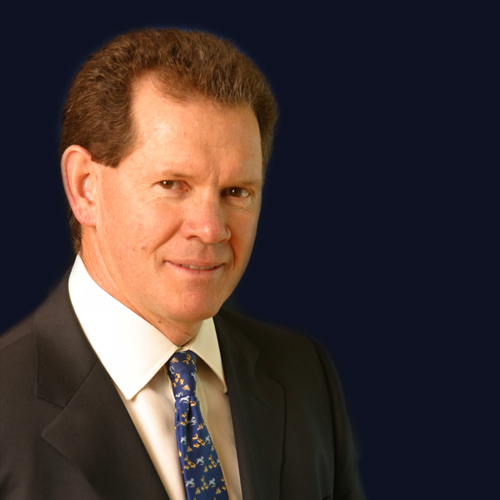 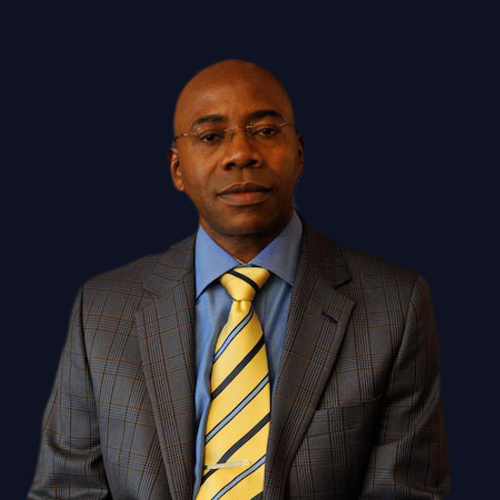 His industry specializations include the telecommunications, media, financial services and general industrial sectors. 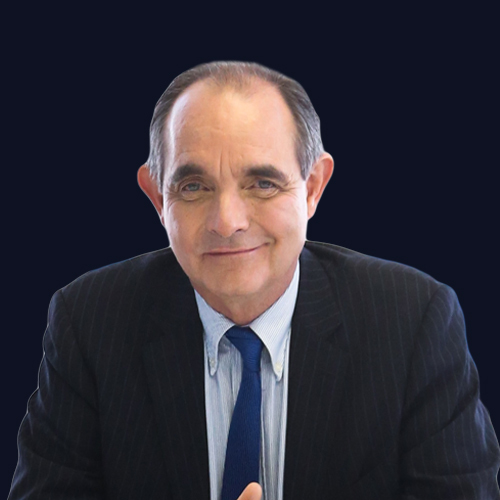 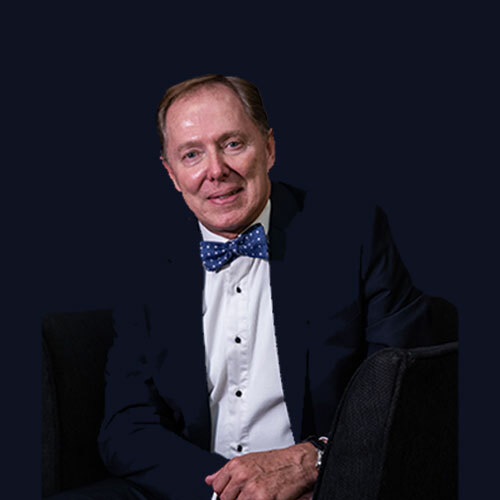 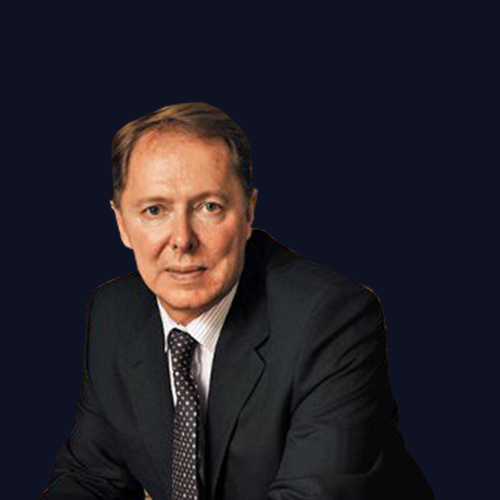 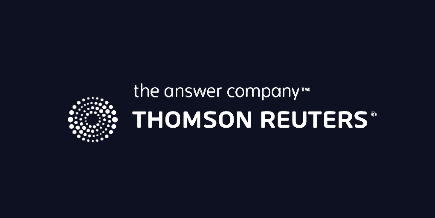 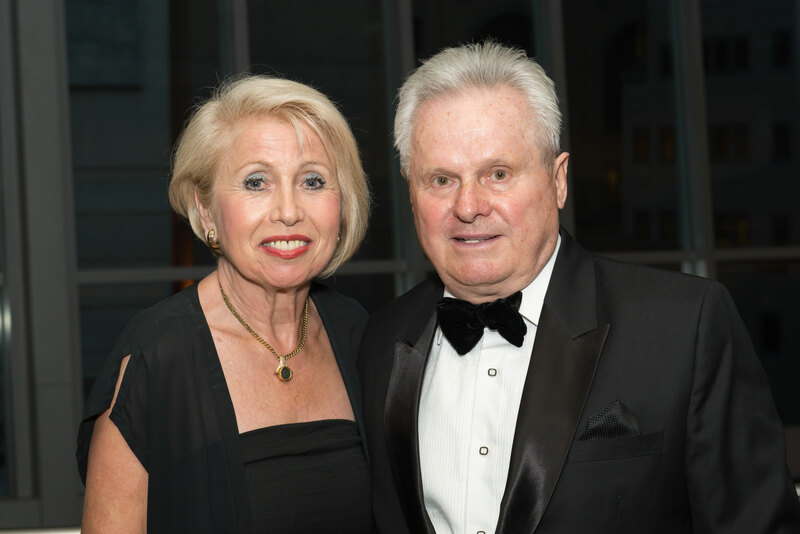 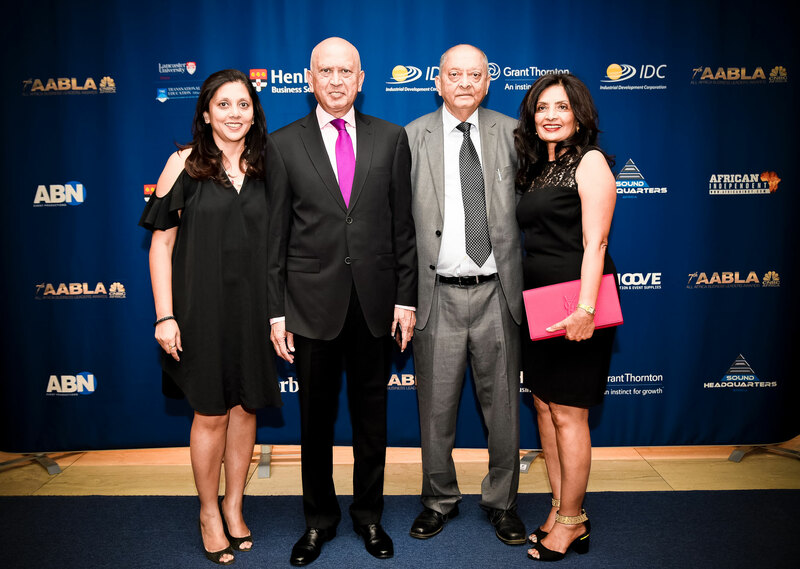 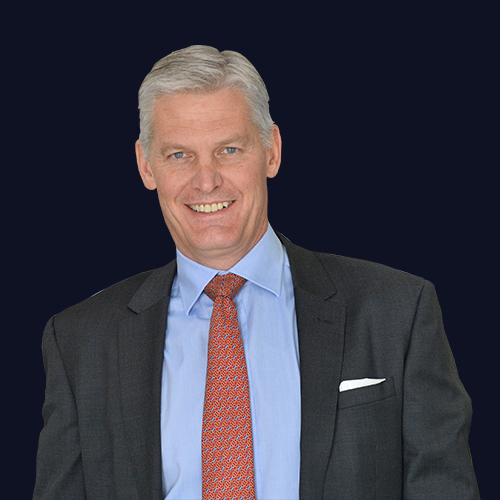 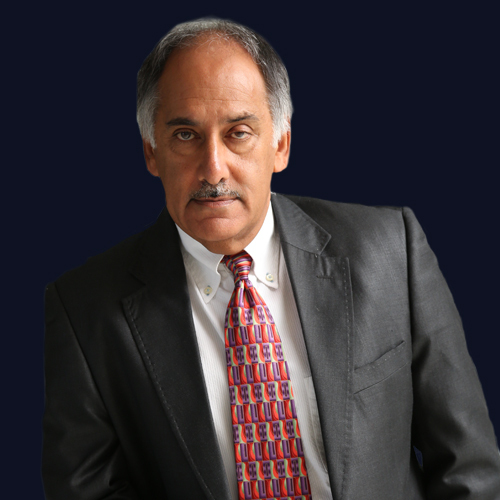 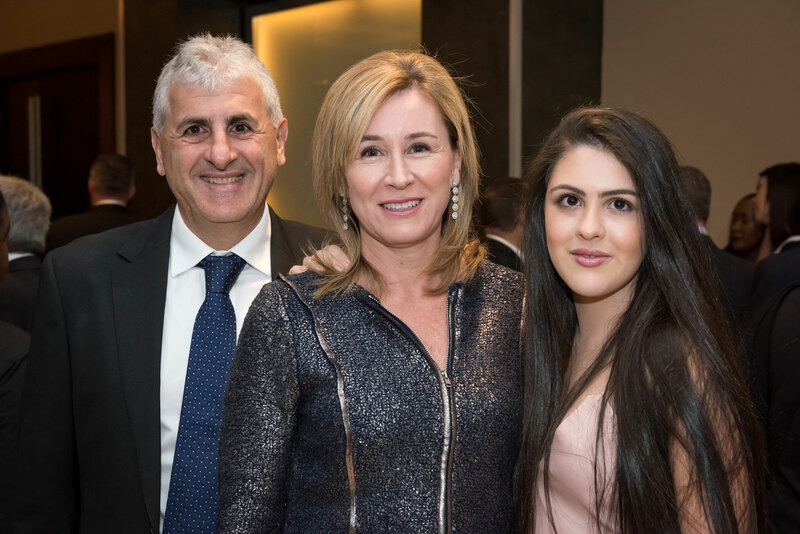 His professional experience cuts across renowned financial institutions including Arthur Andersen, Goldman Sachs and Salomon Smith Barney Inc. worked internationally for 30 years – principally in Europe, Africa, the Middle East, Australasia and the Americas. 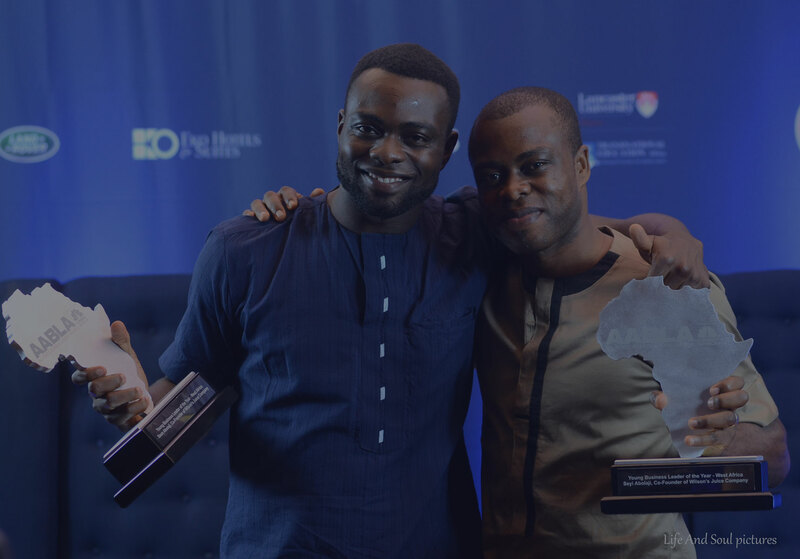 Lancaster's journey has been a remarkable one, and it is now one of the top universities in the world, with an ambitious strategic plan. 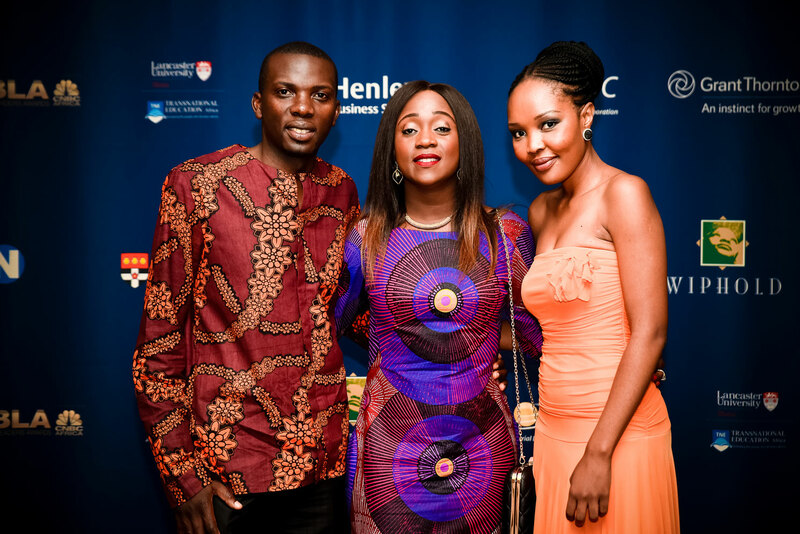 Lancaster University has been named University of the Year by The Times and The Sunday Times Good University Guide 2018. 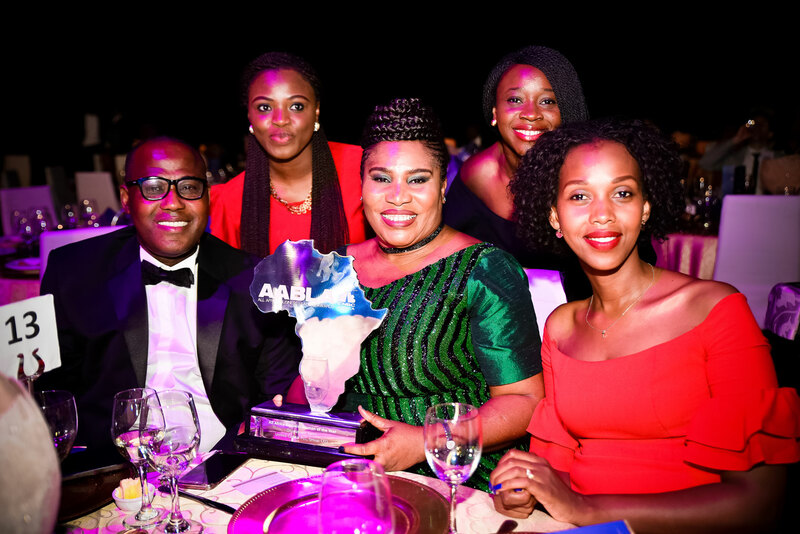 It has also taken the top spot for Best Campus University and Best University in the North West. 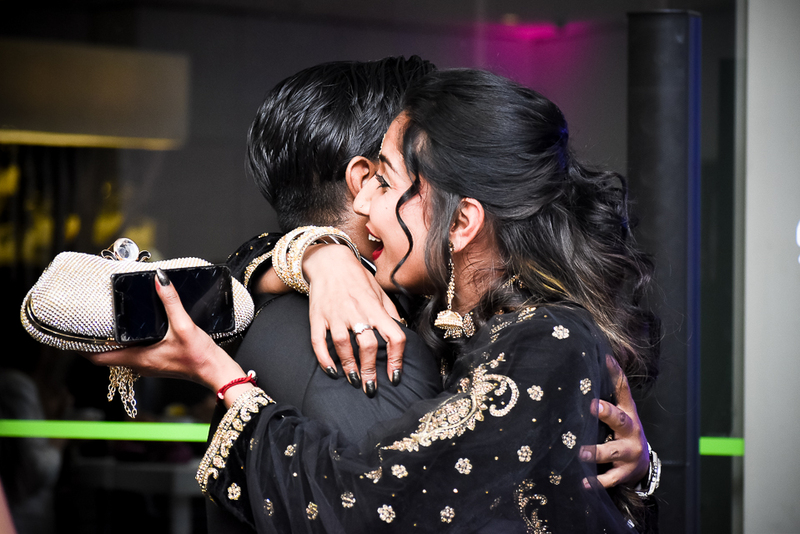 Lancaster has been the top university in the northwest of England for over a decade and this year rose three places to finish sixth place in the national league table, securing it a top 10 finish for the second consecutive year and its highest ever ranking.